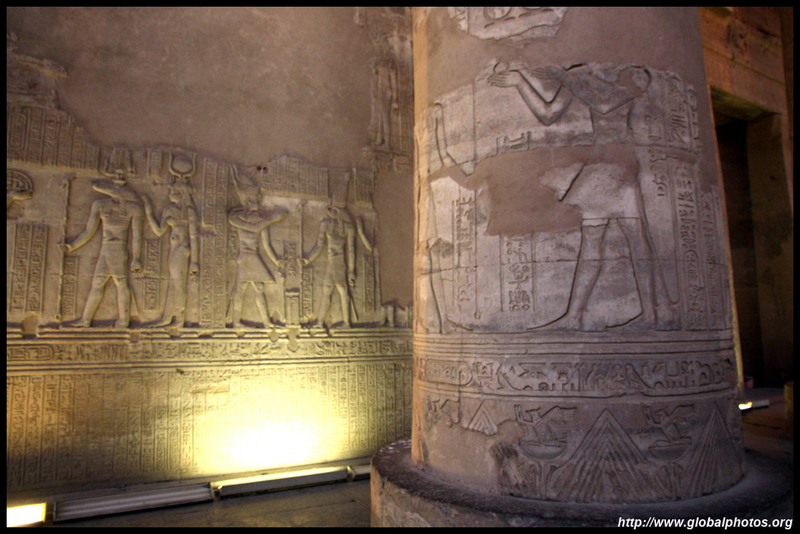 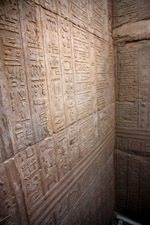 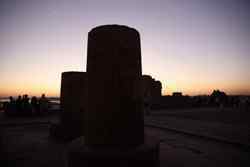 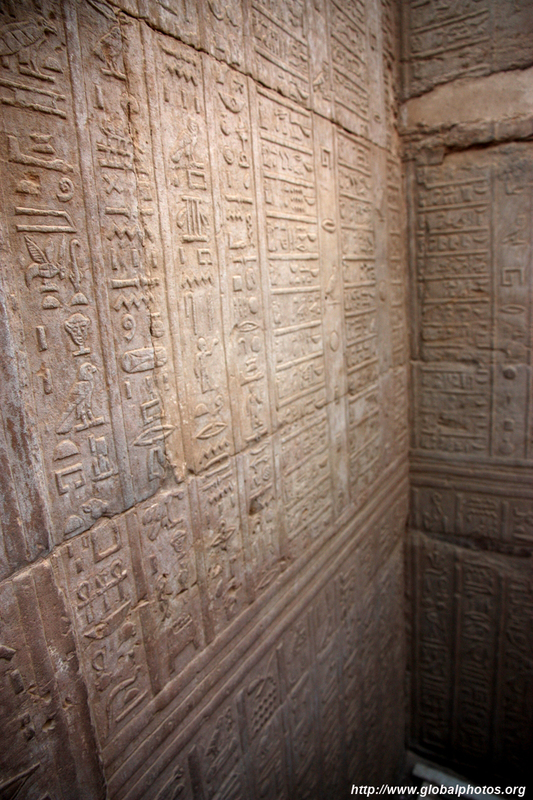 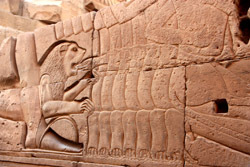 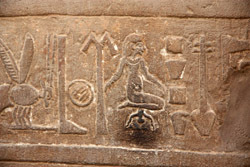 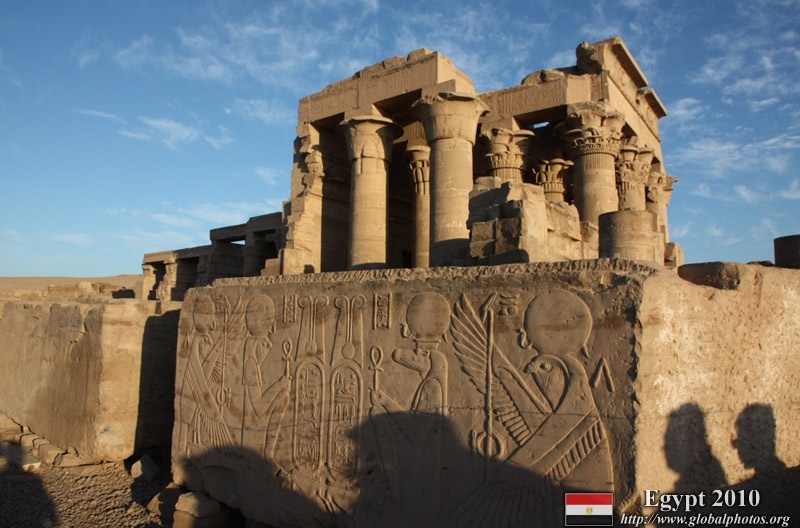 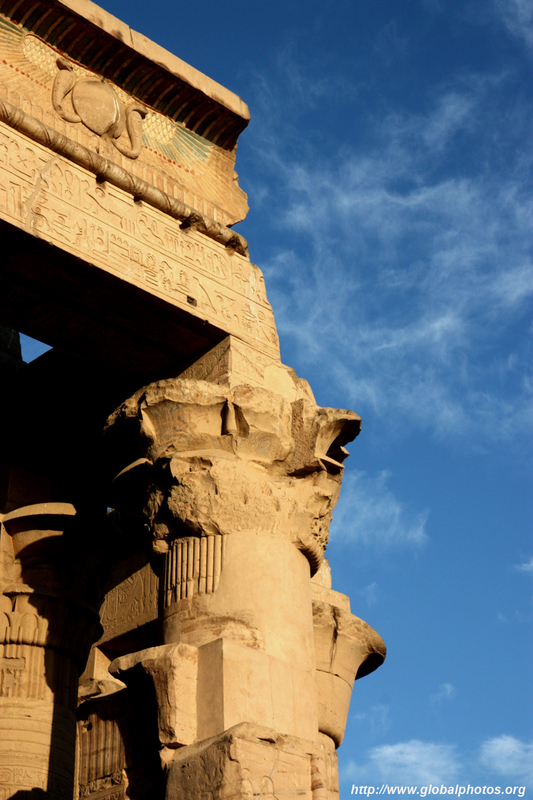 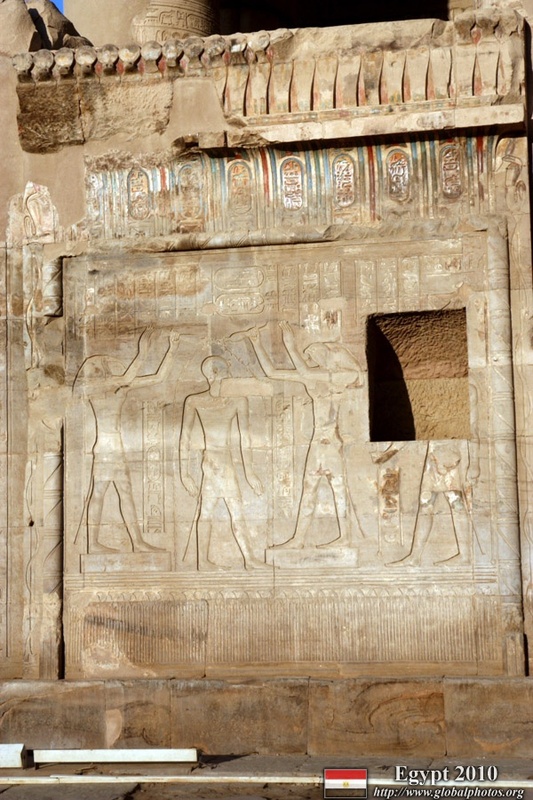 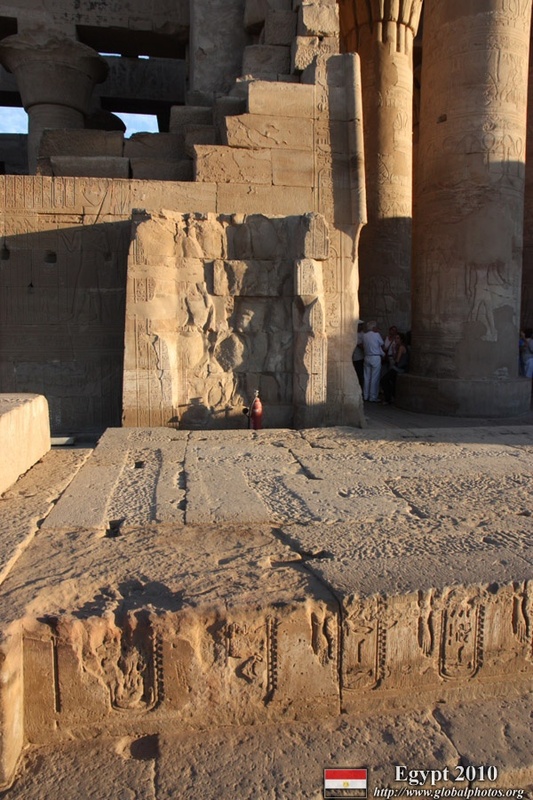 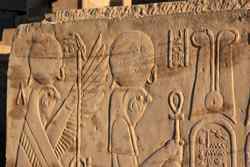 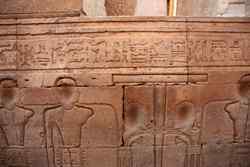 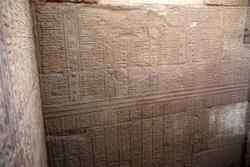 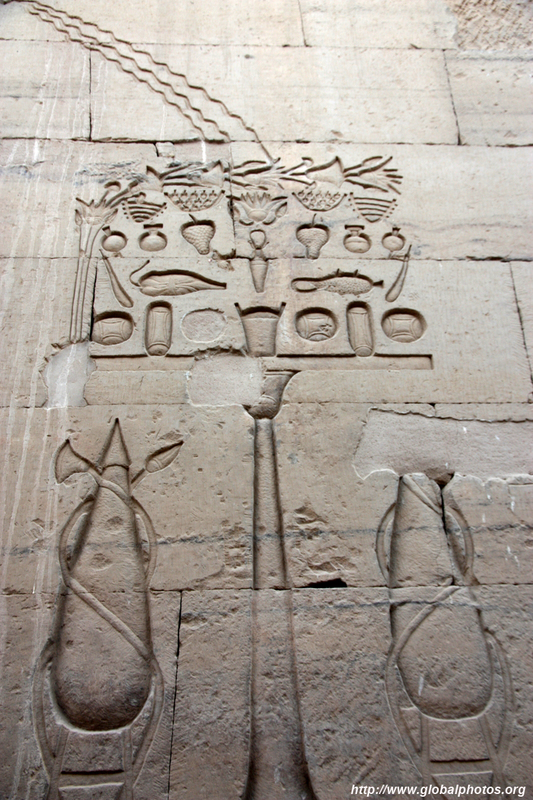 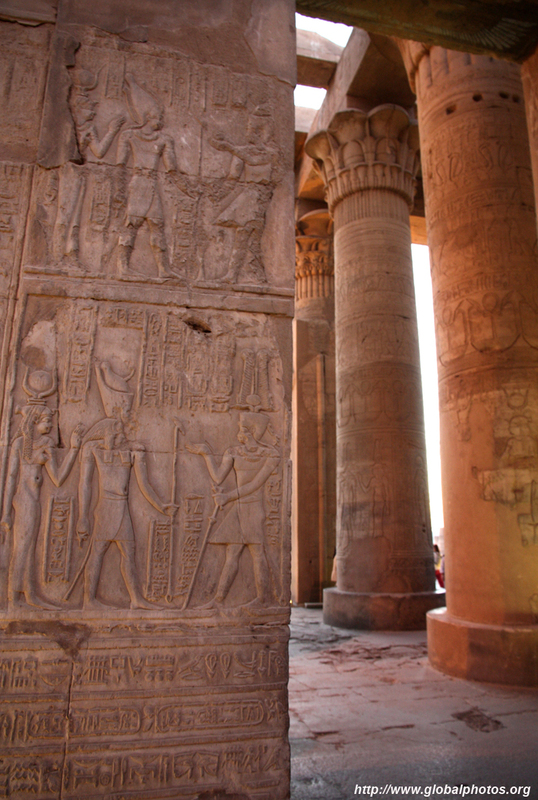 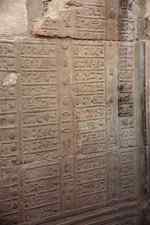 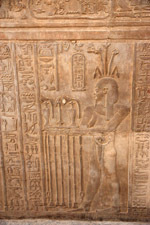 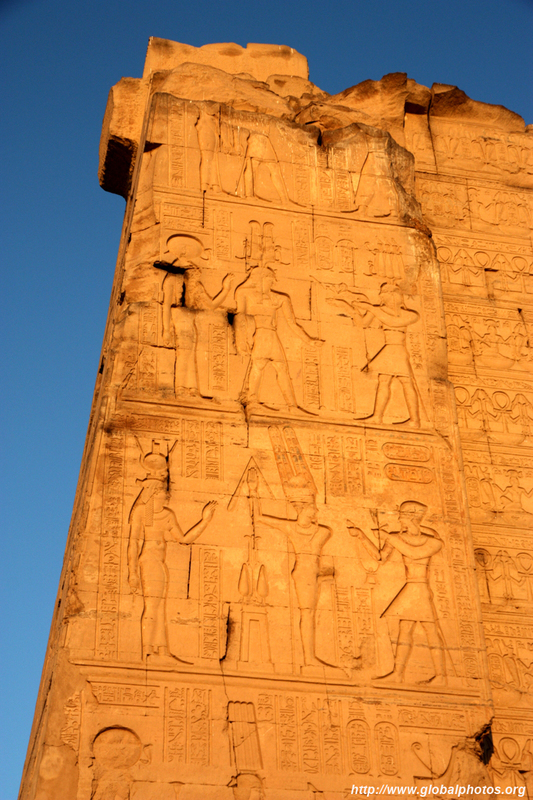 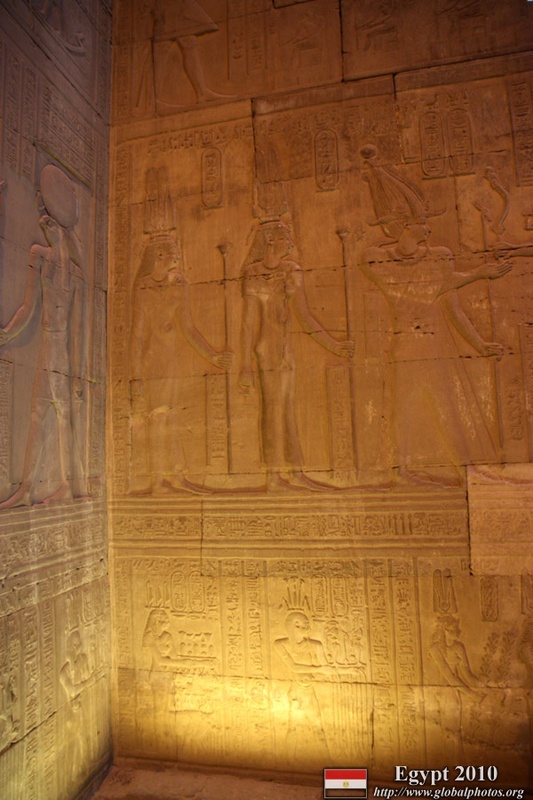 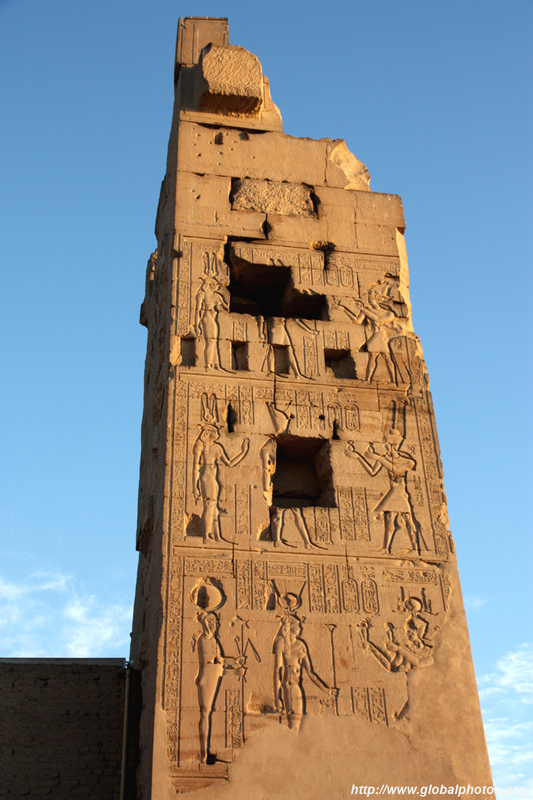 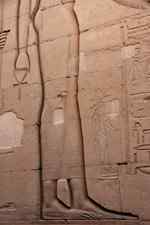 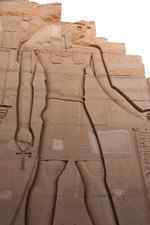 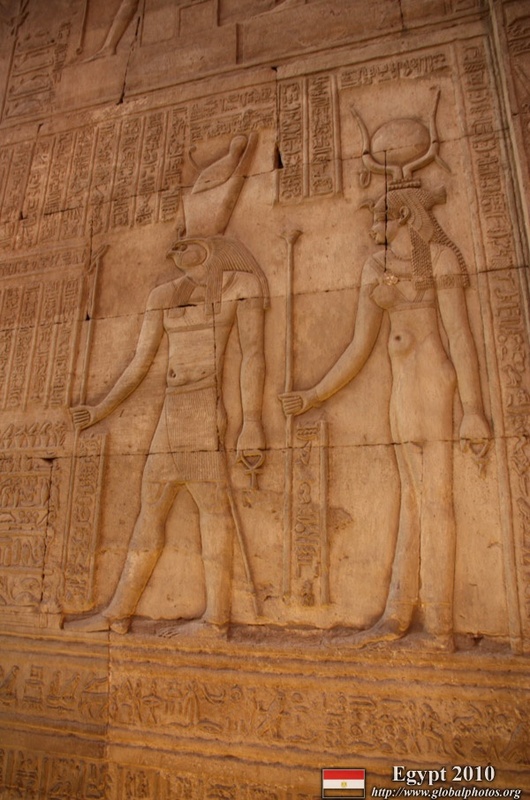 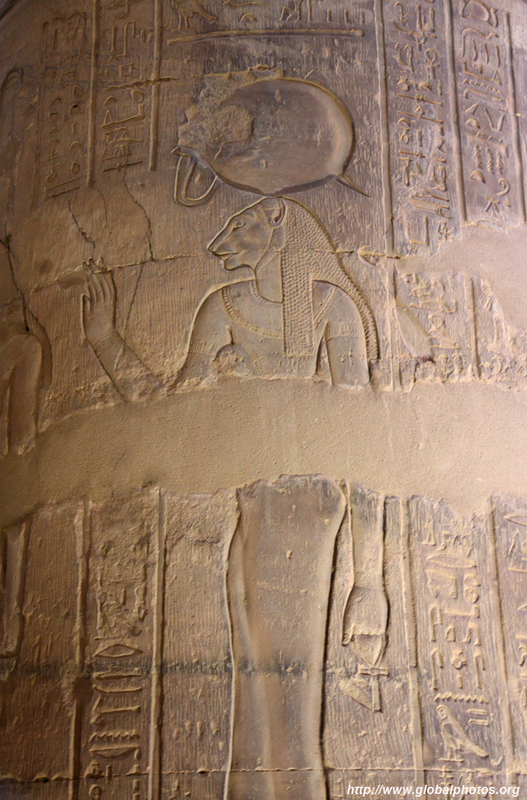 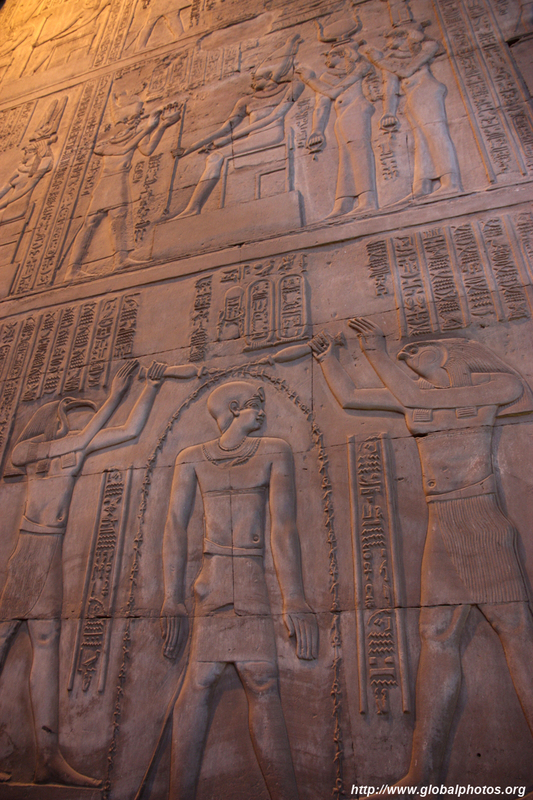 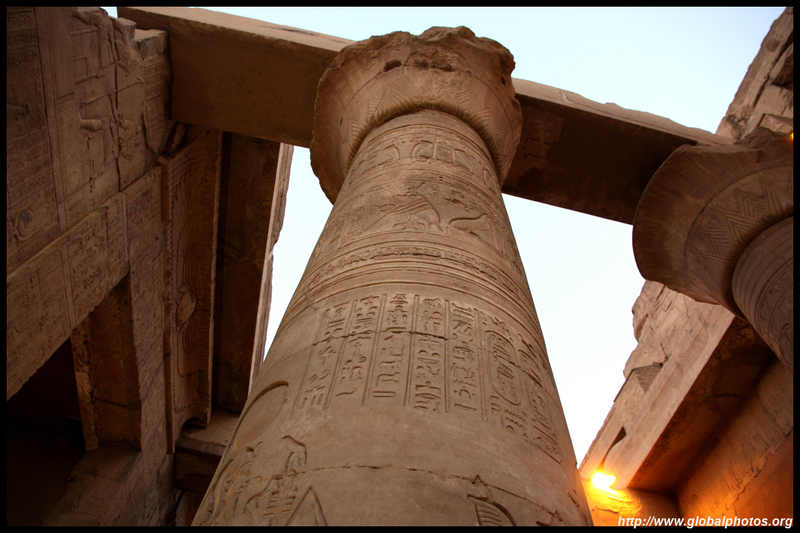 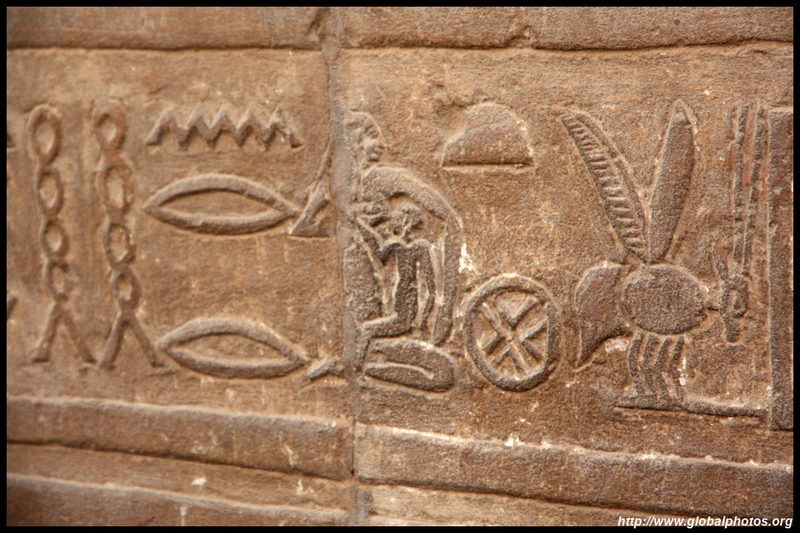 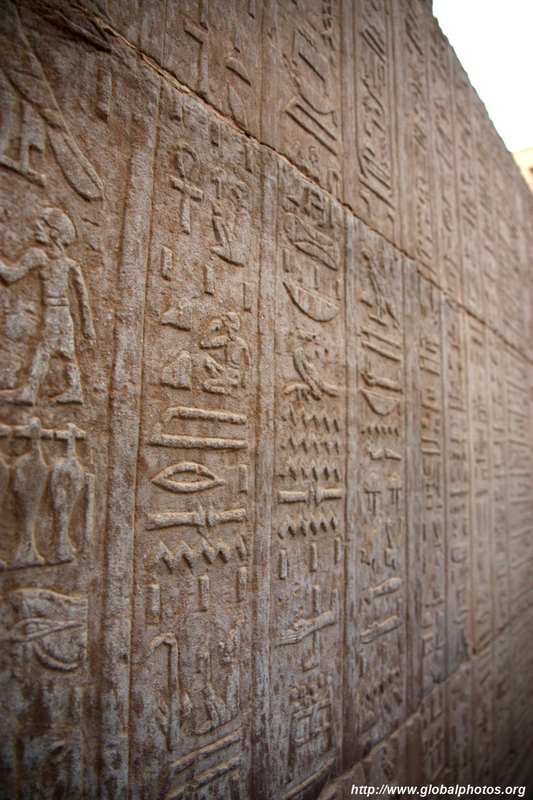 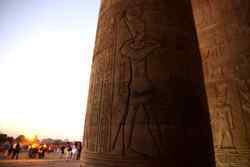 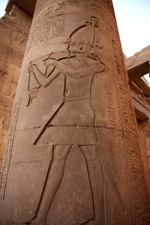 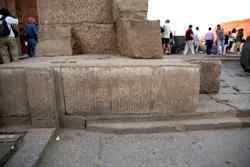 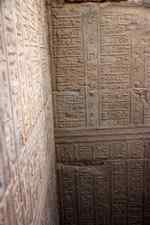 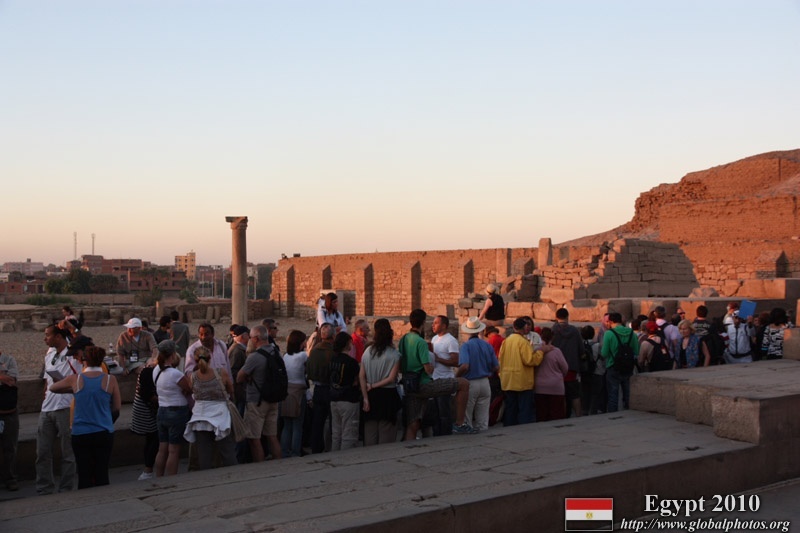 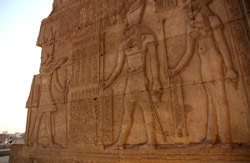 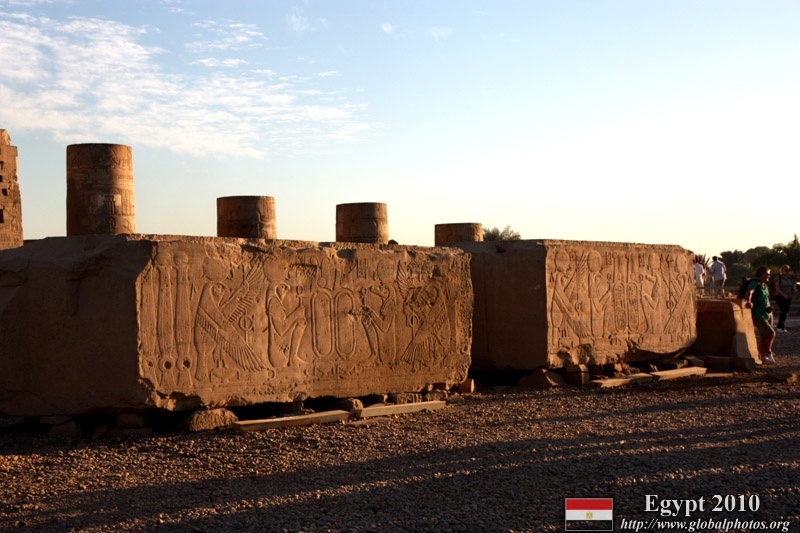 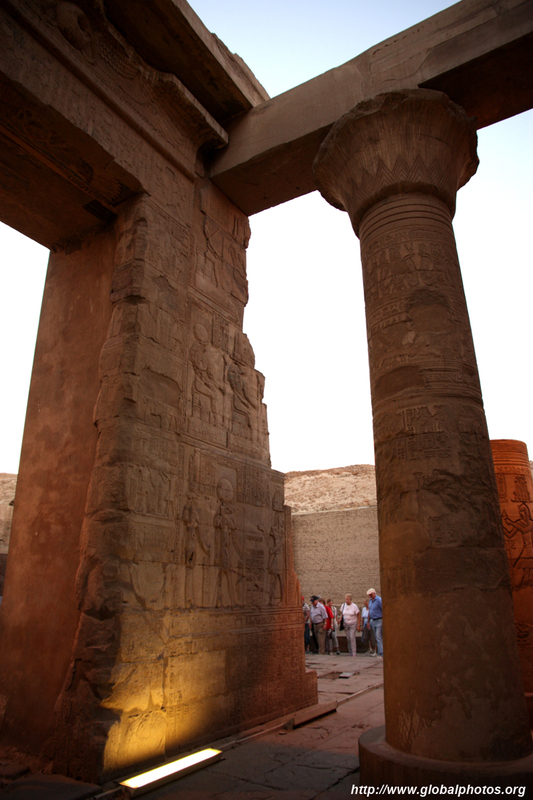 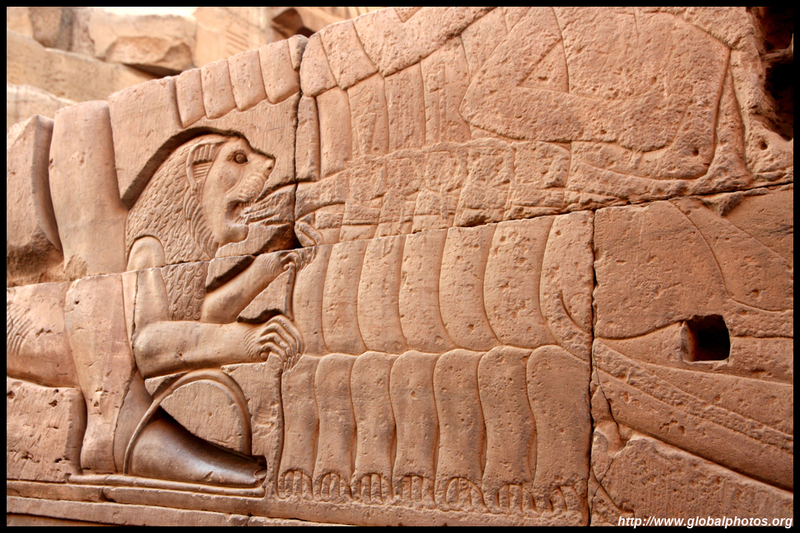 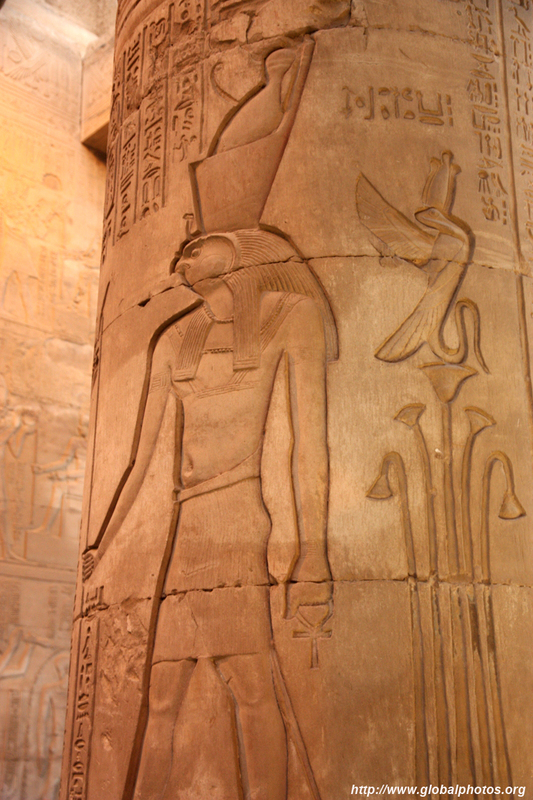 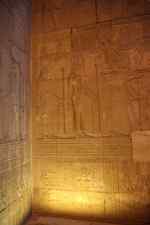 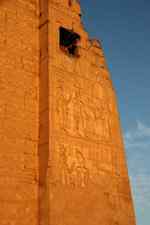 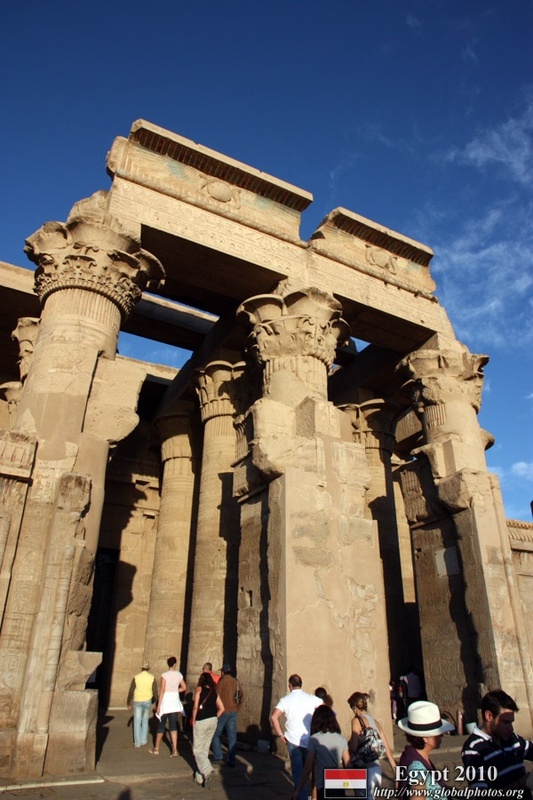 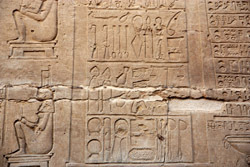 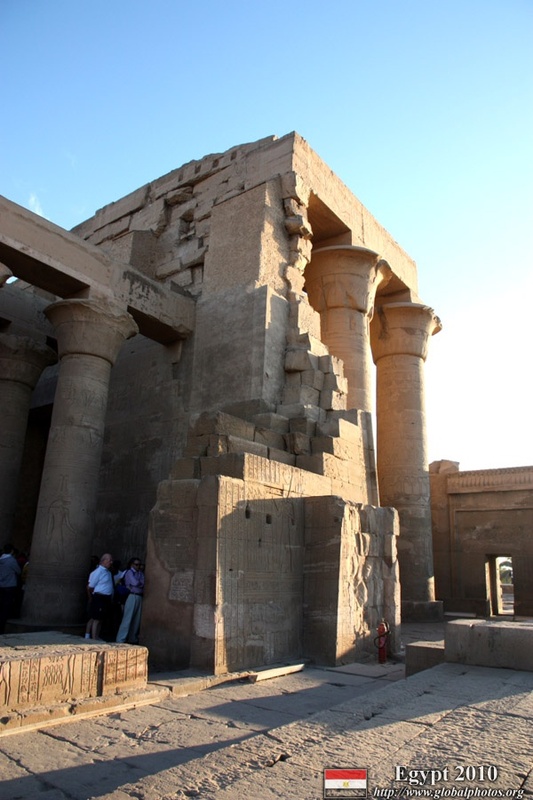 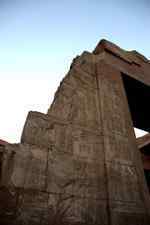 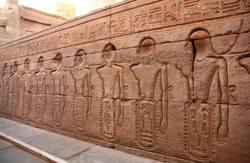 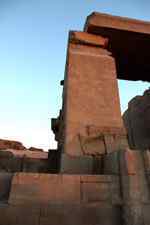 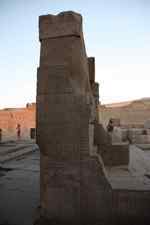 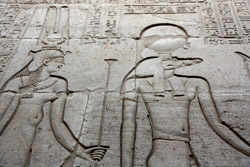 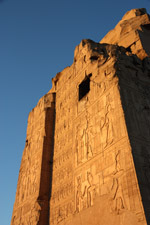 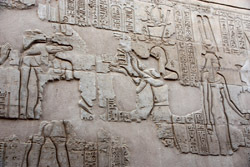 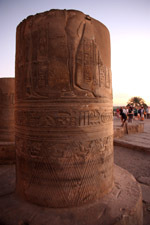 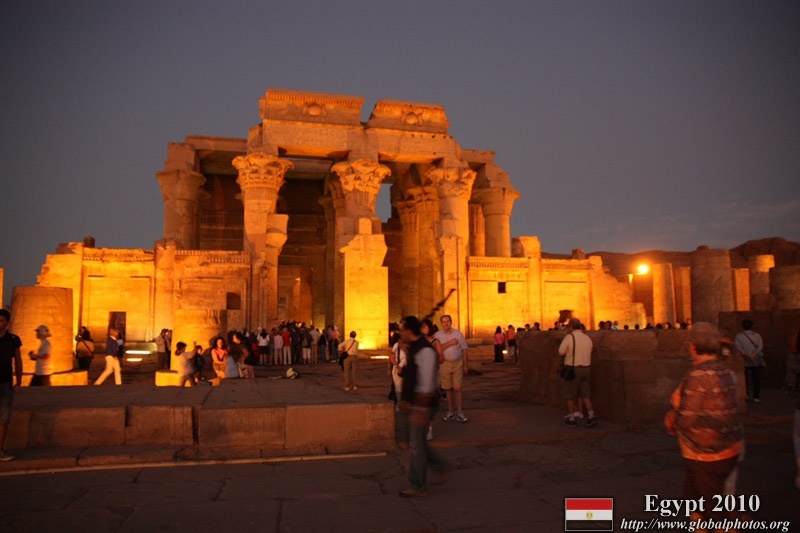 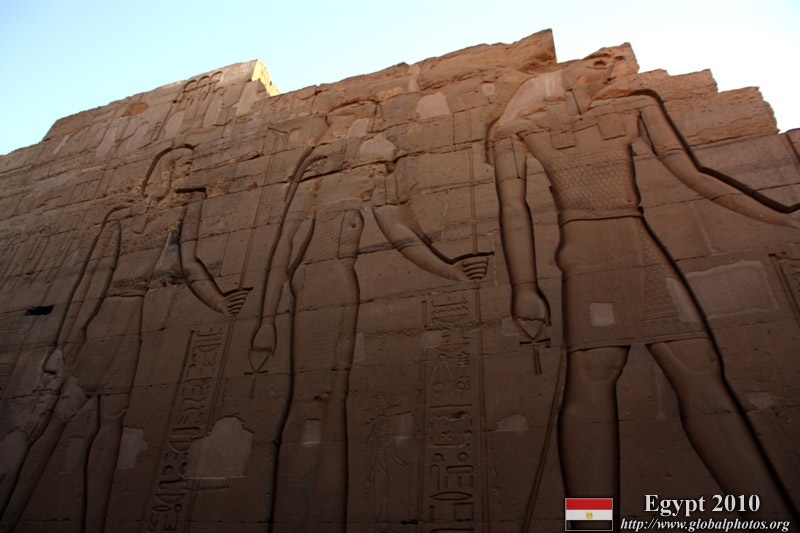 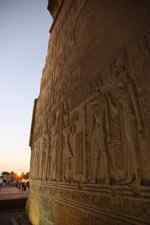 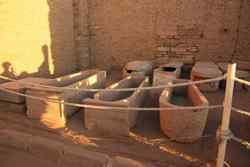 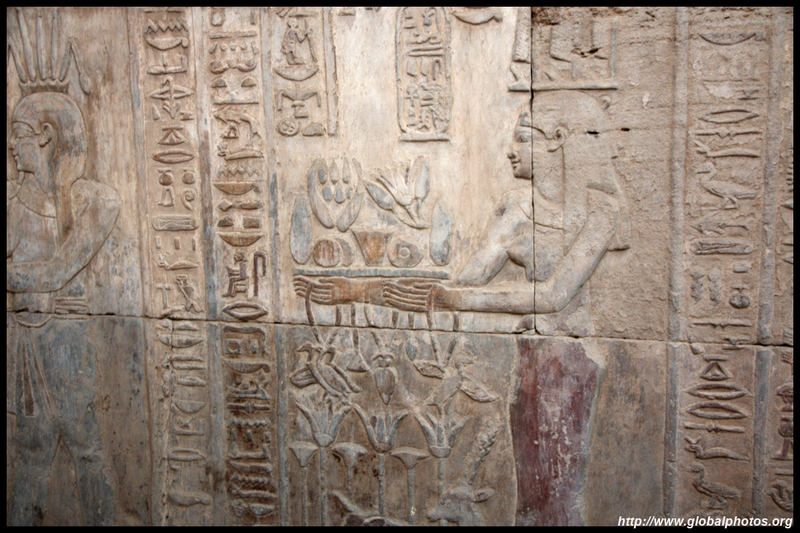 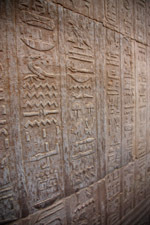 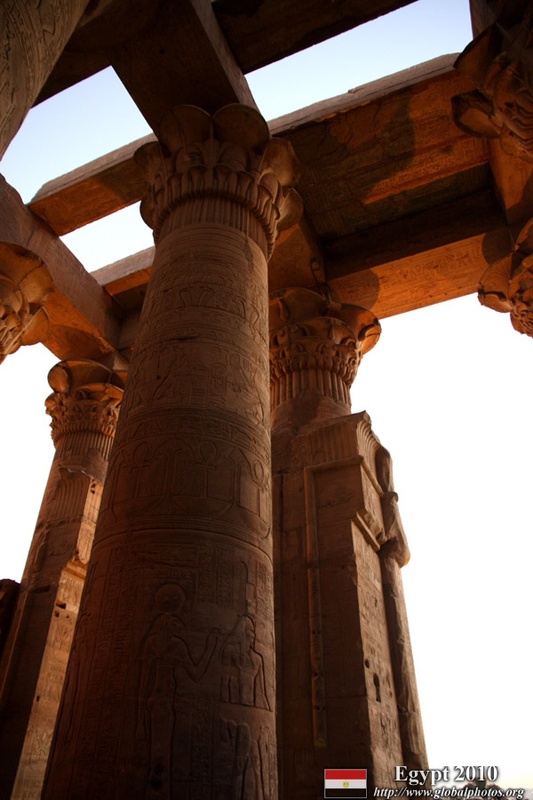 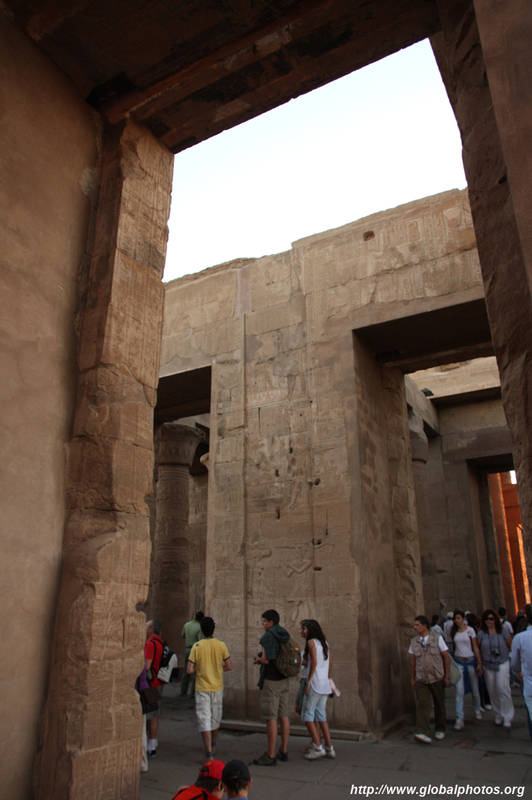 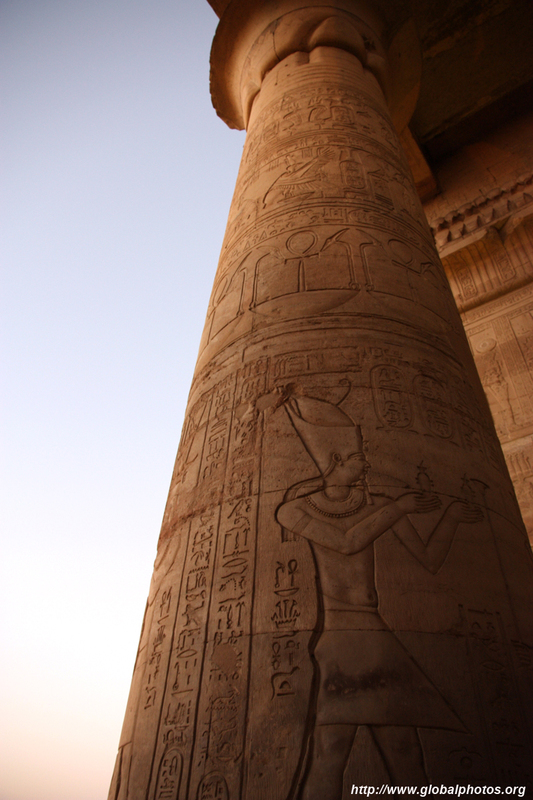 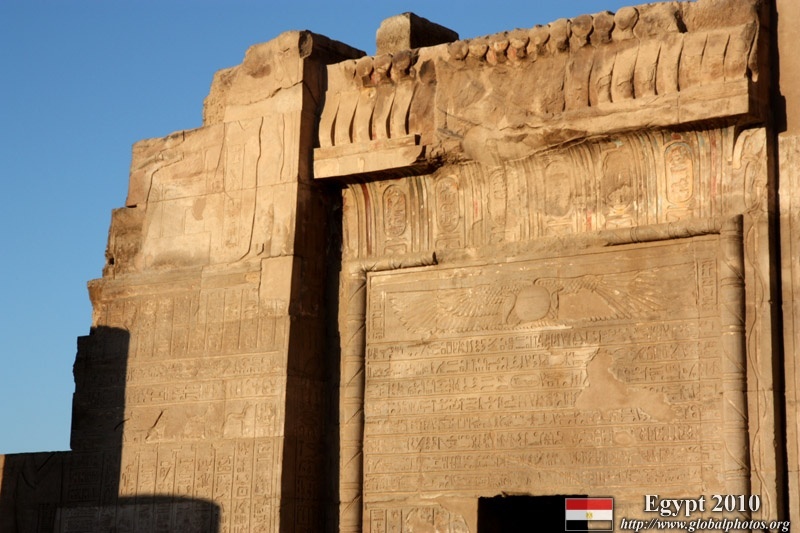 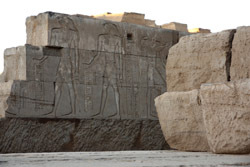 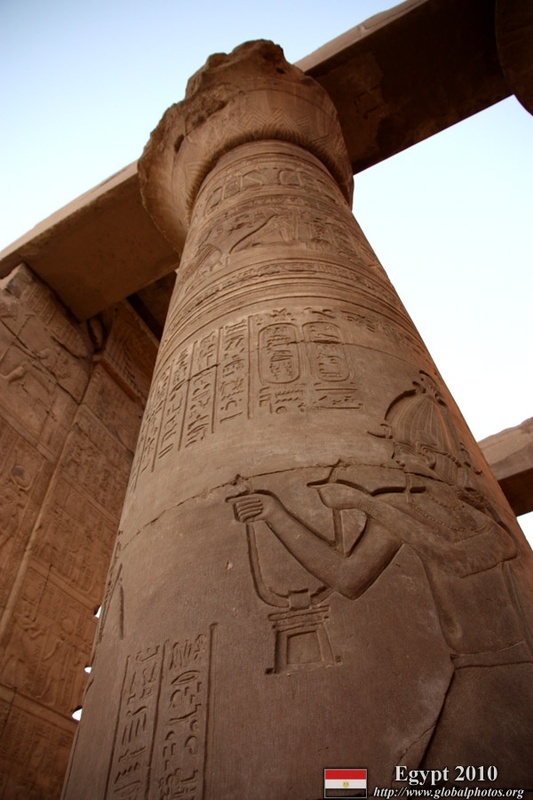 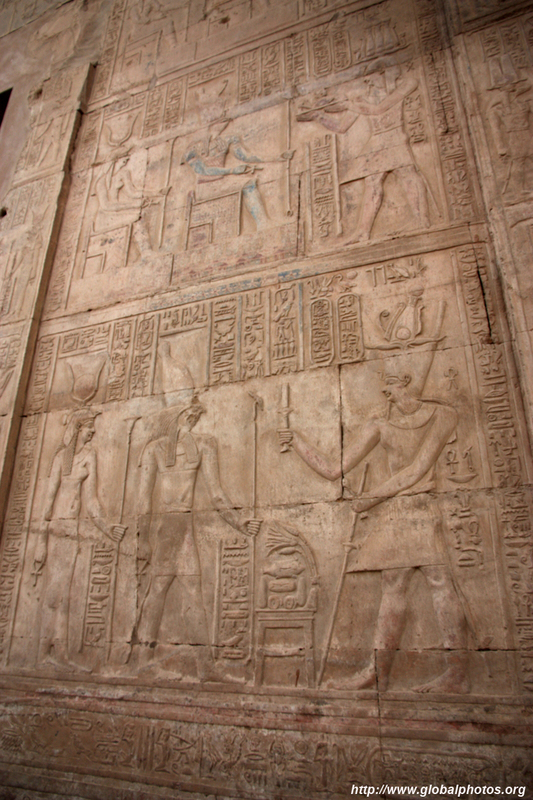 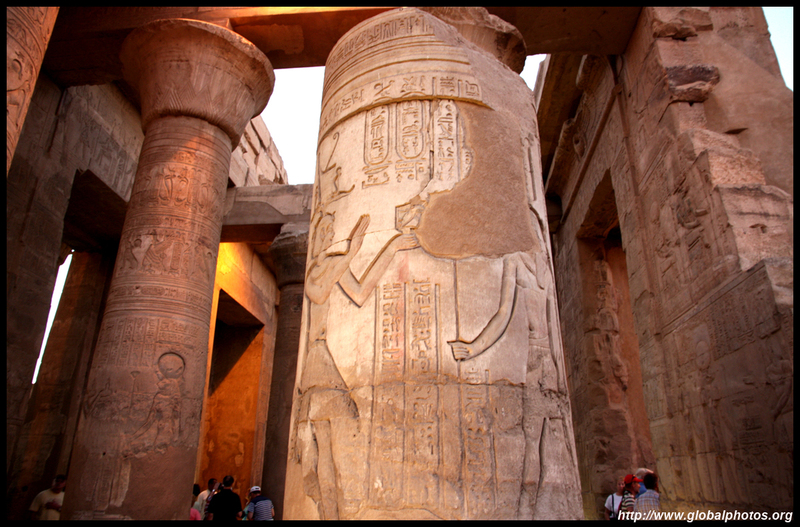 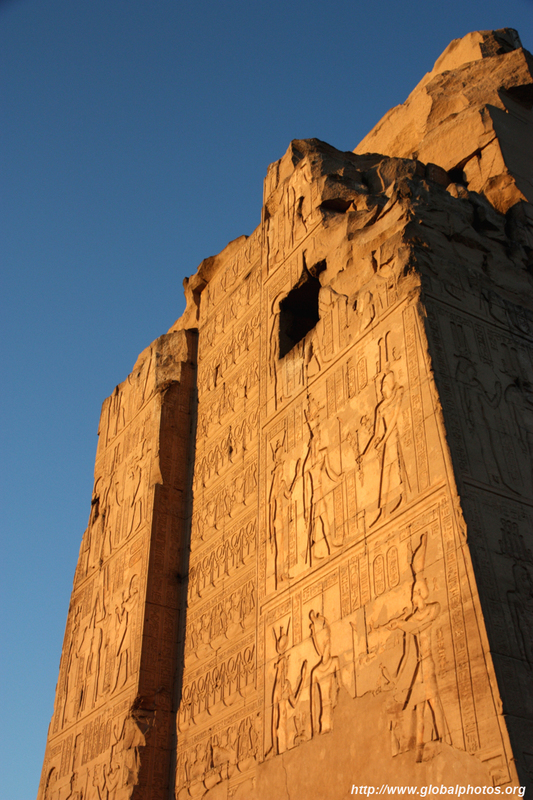 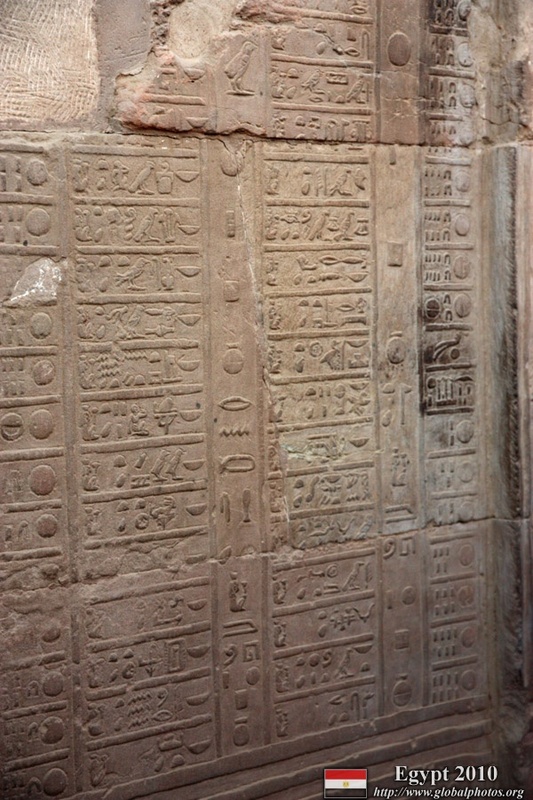 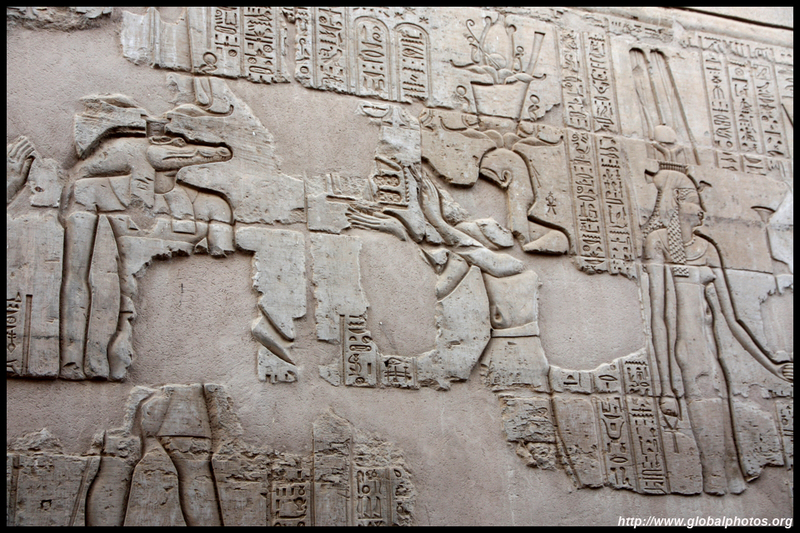 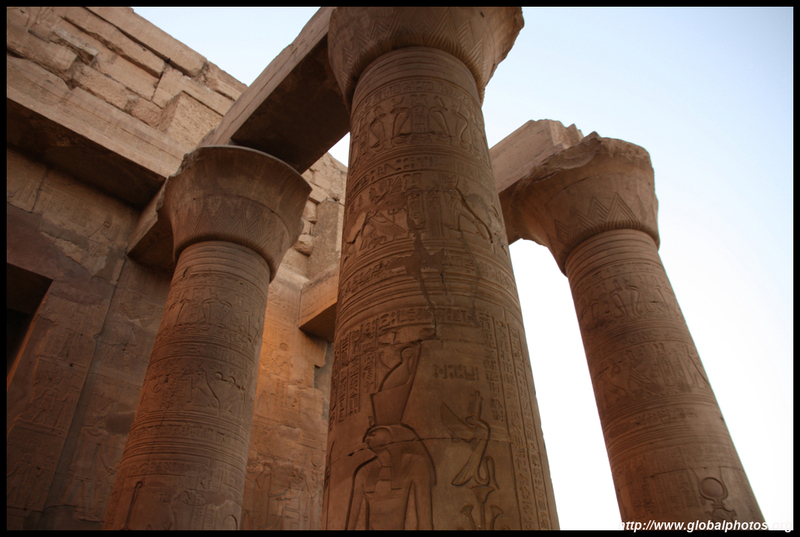 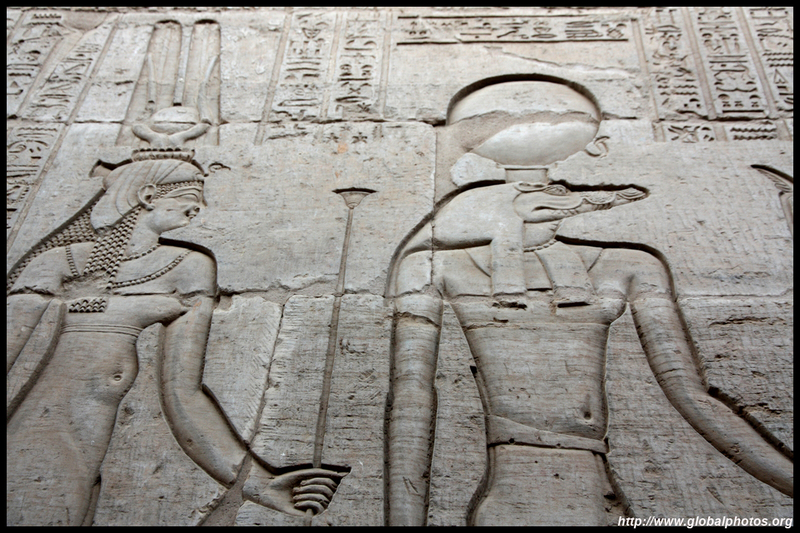 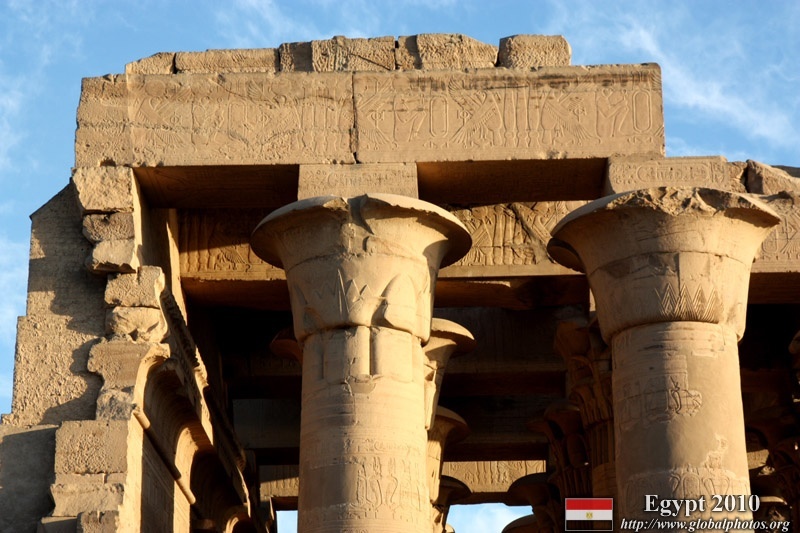 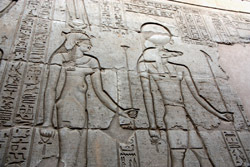 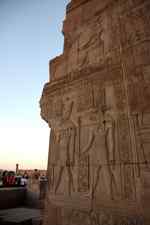 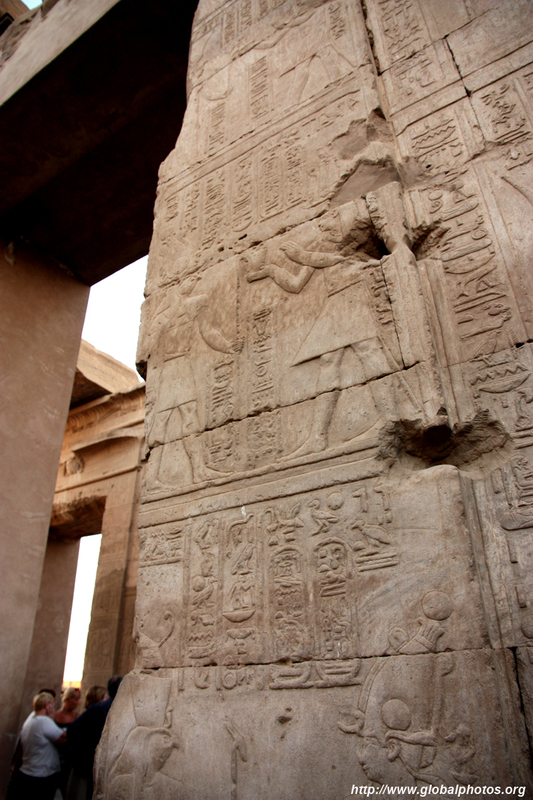 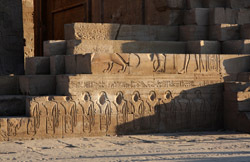 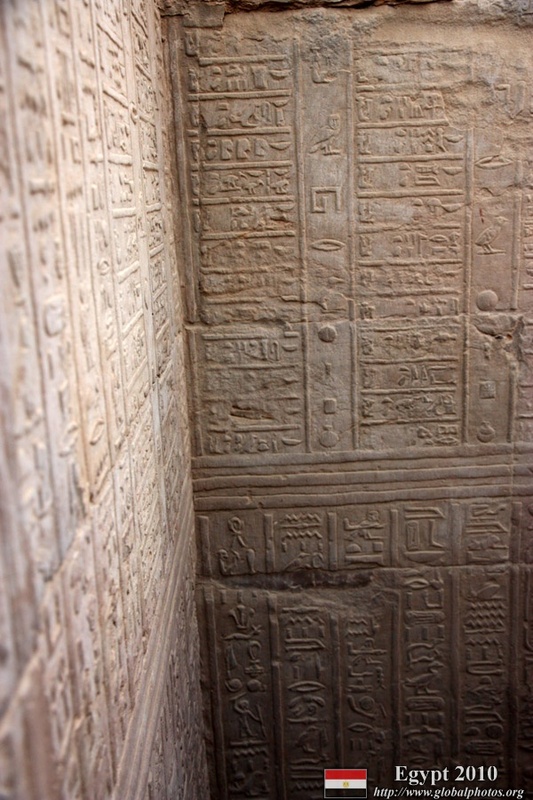 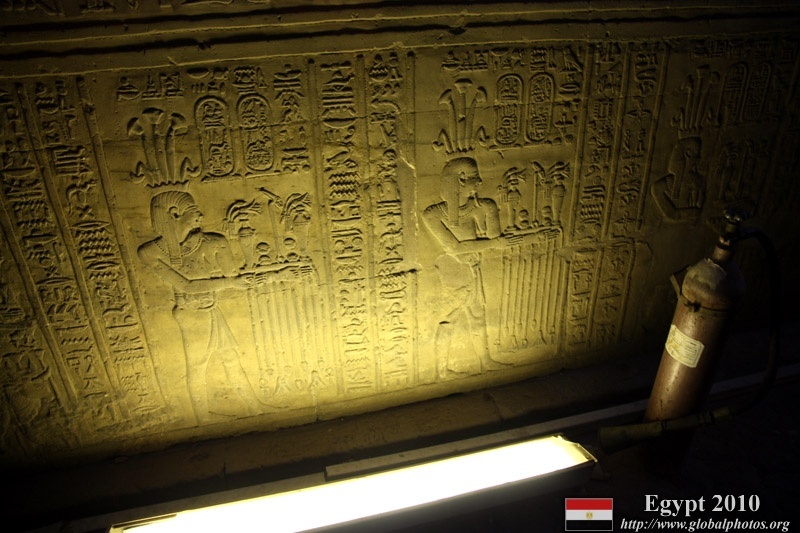 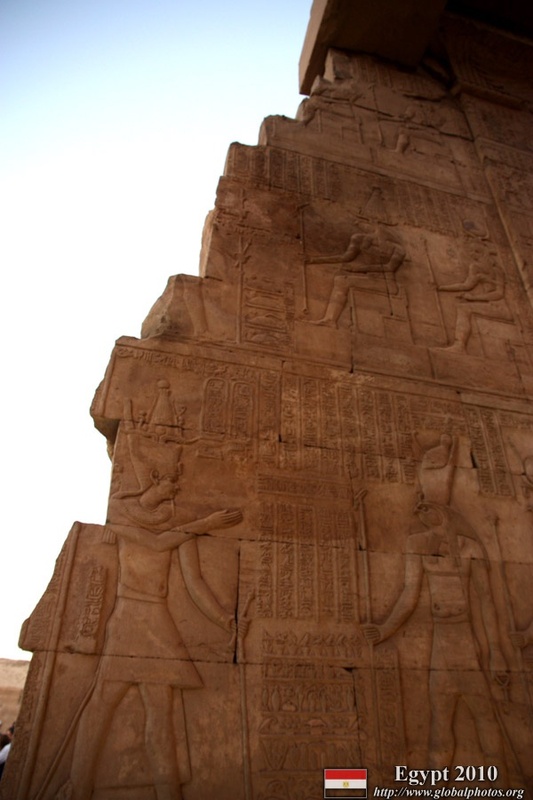 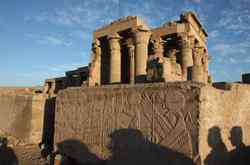 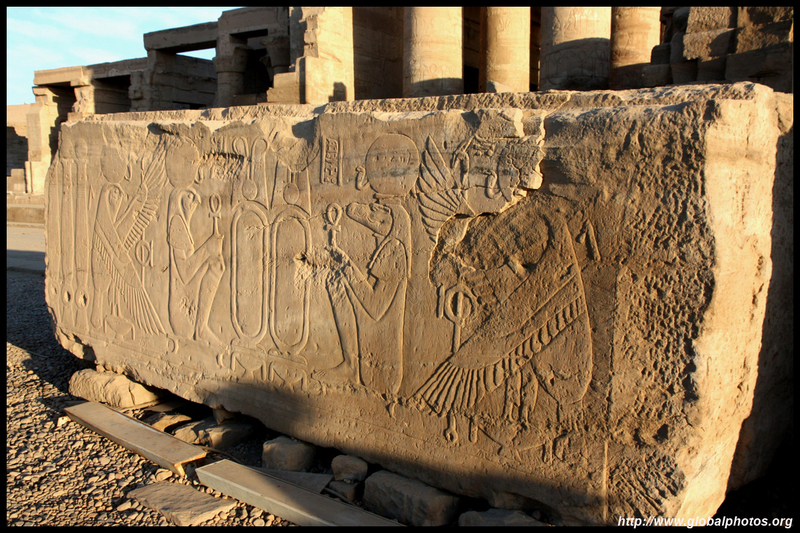 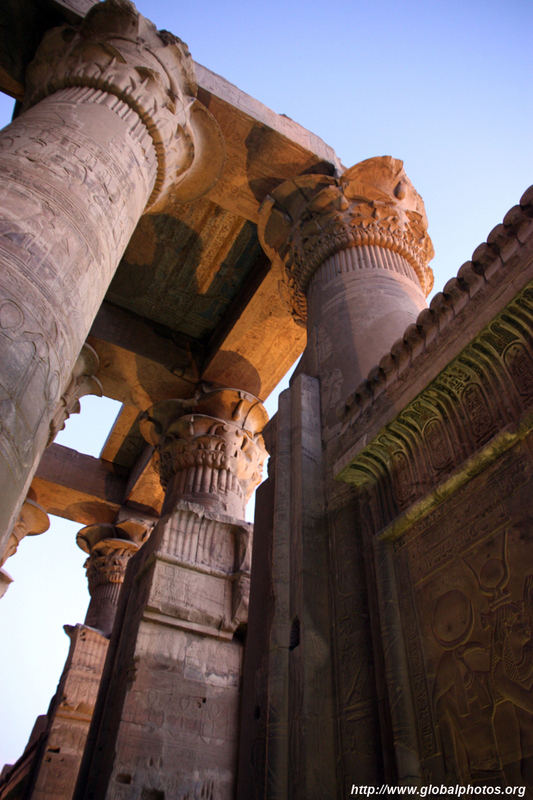 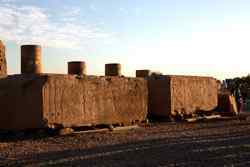 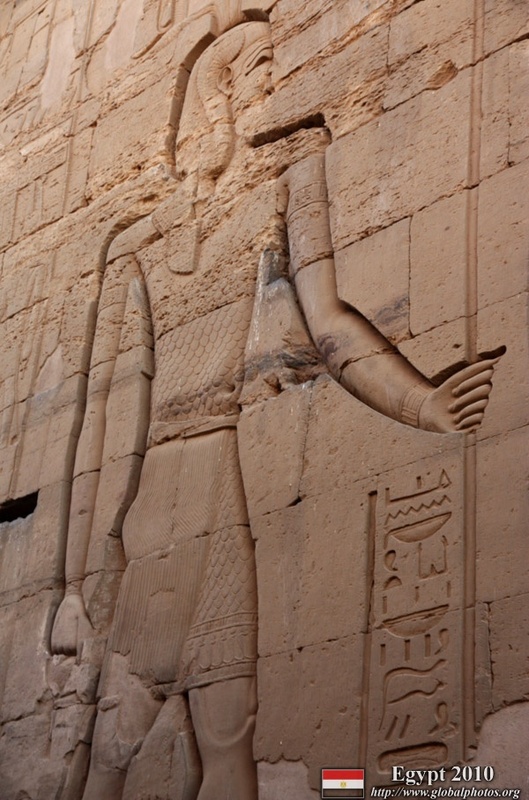 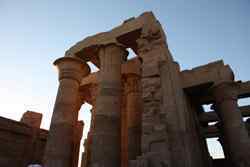 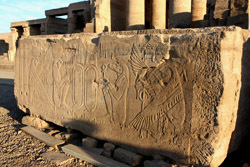 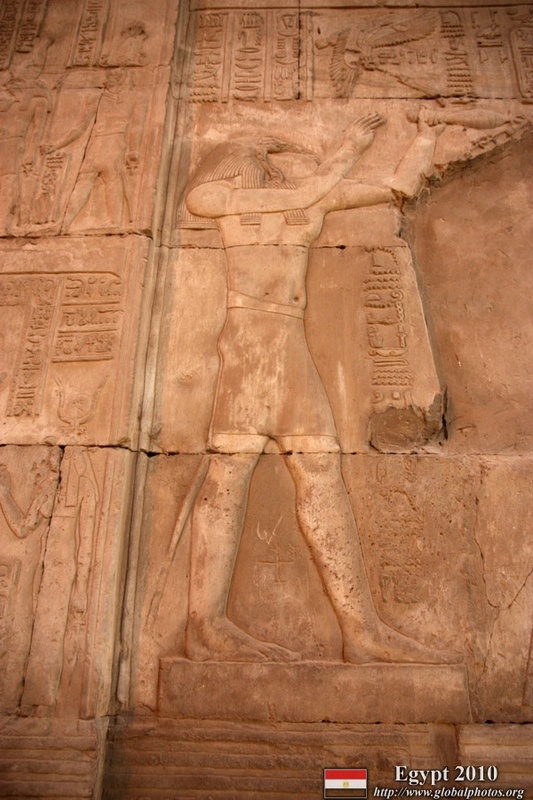 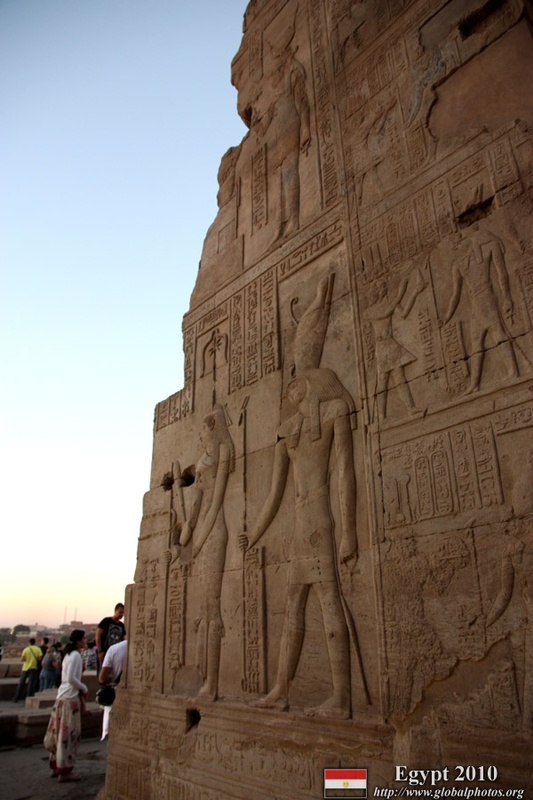 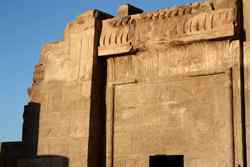 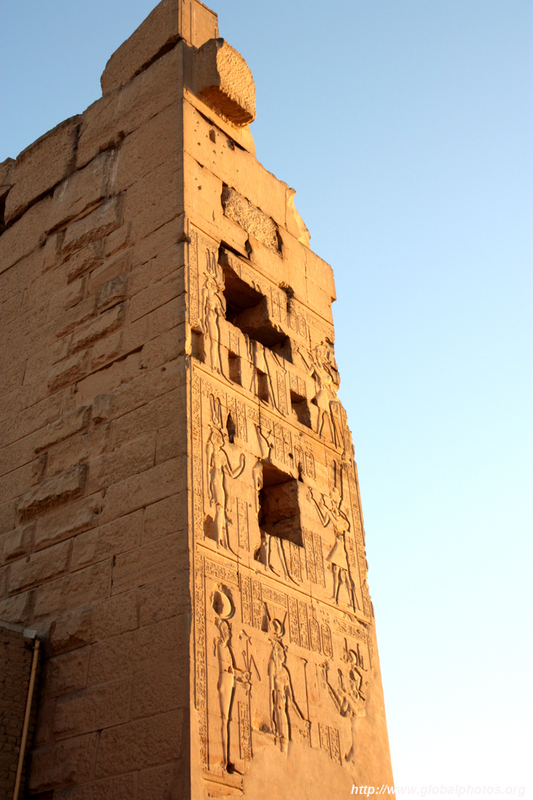 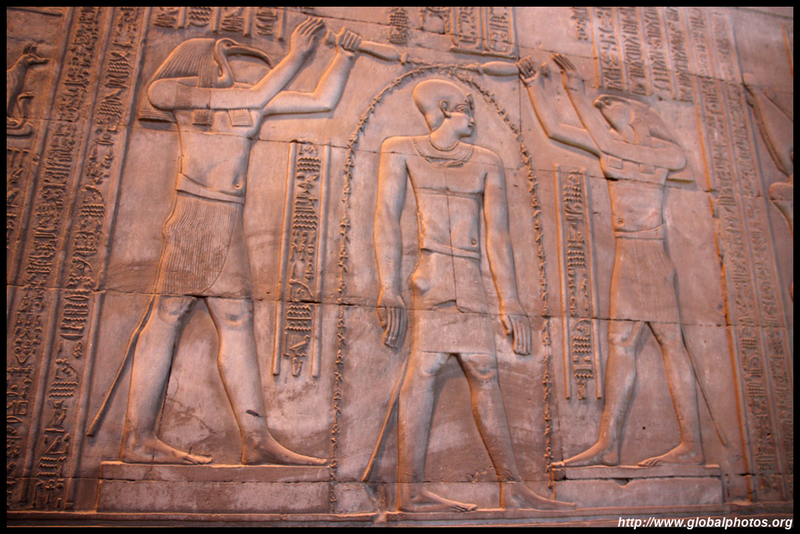 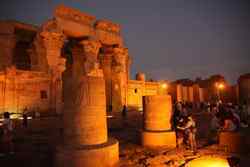 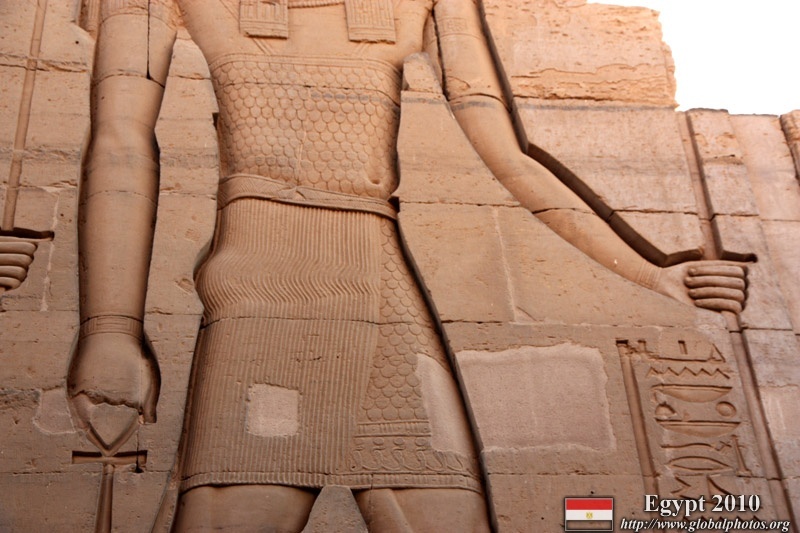 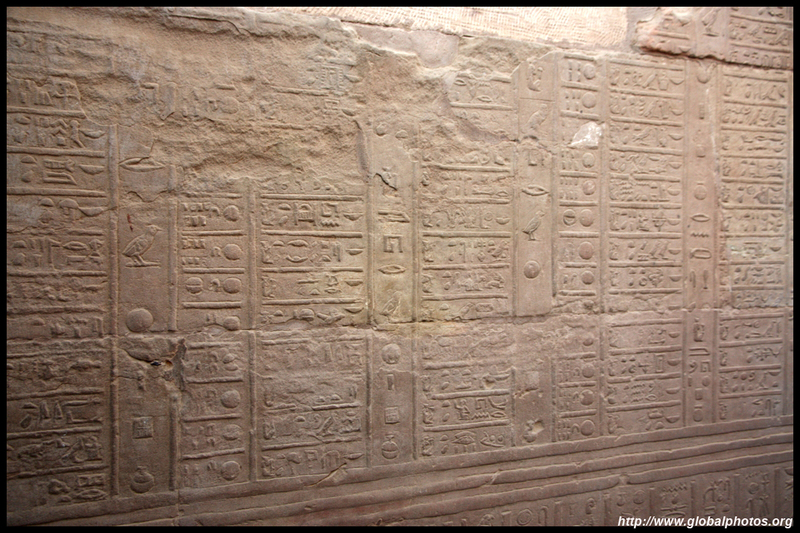 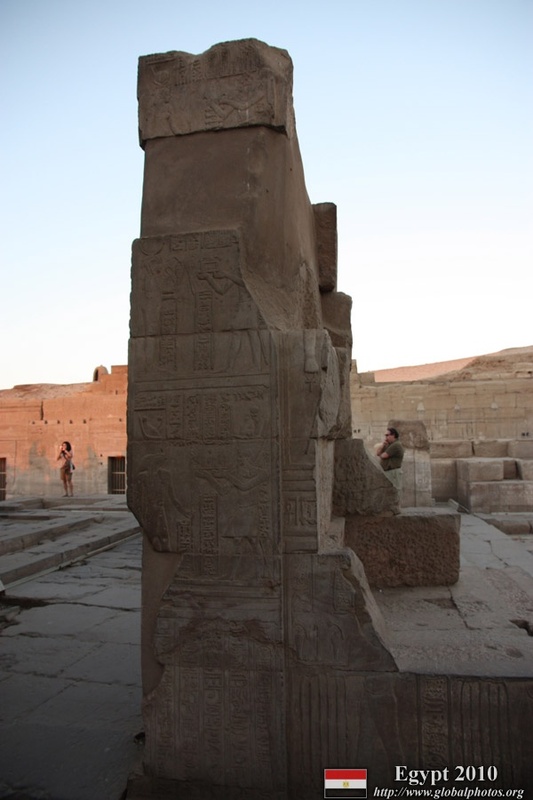 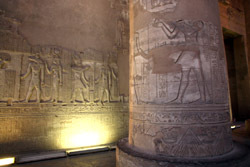 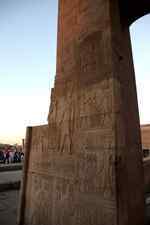 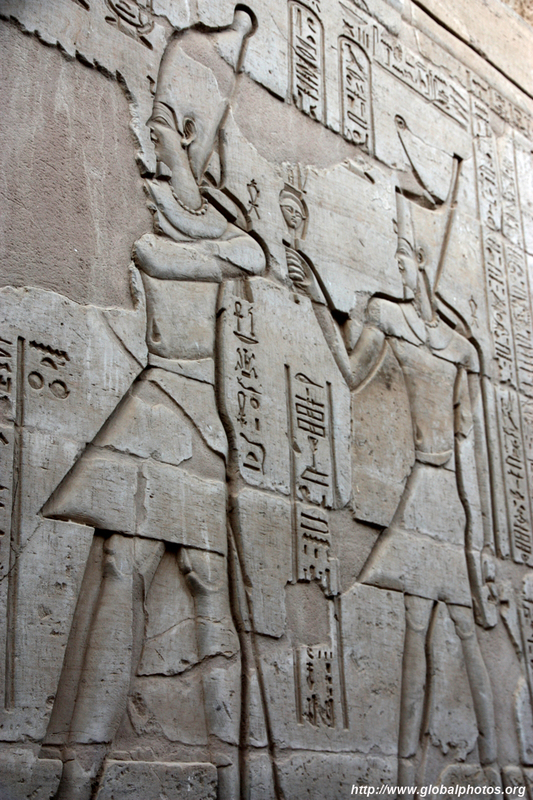 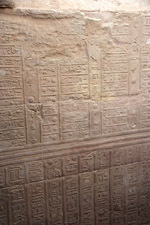 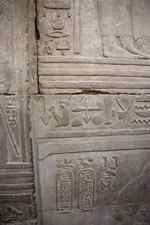 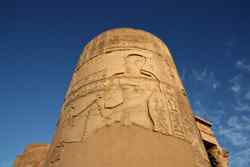 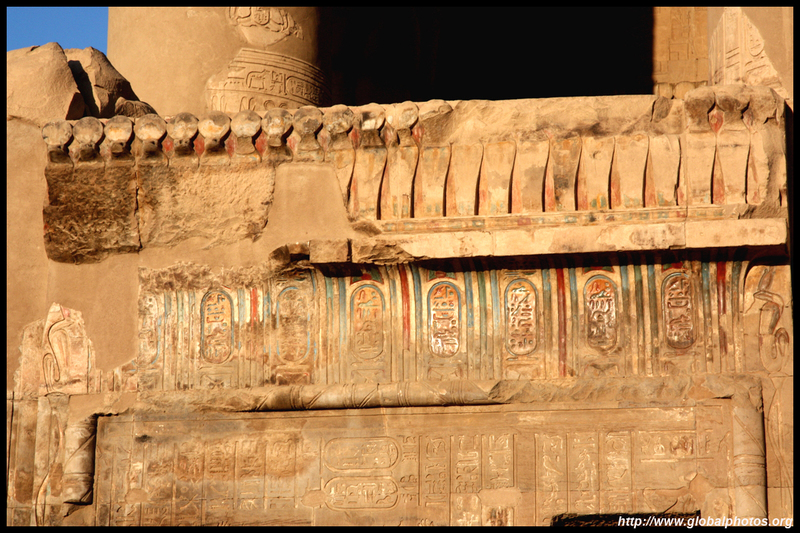 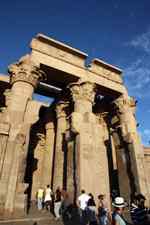 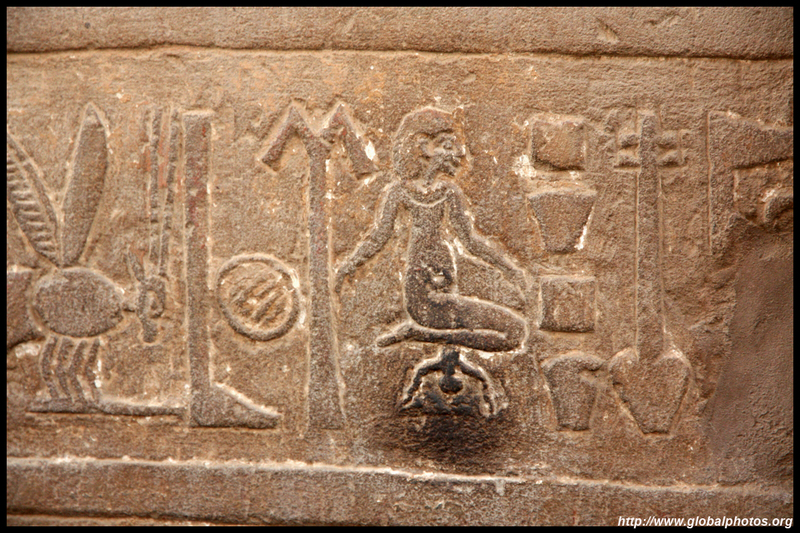 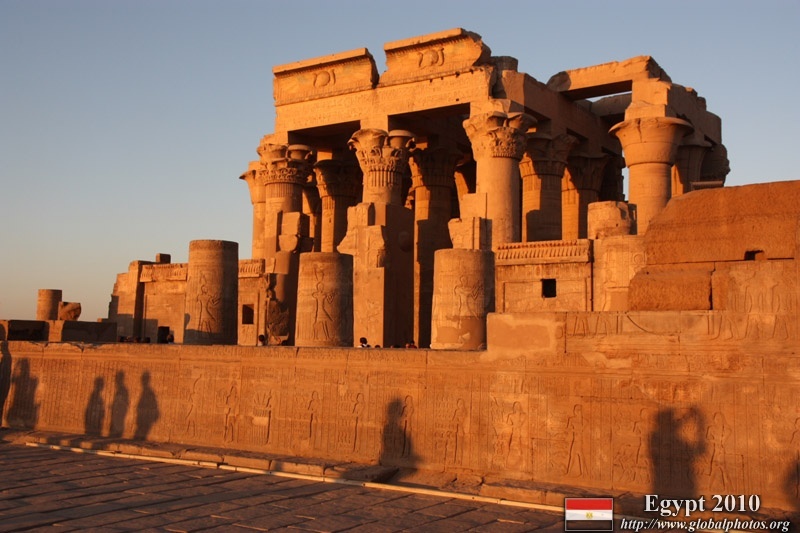 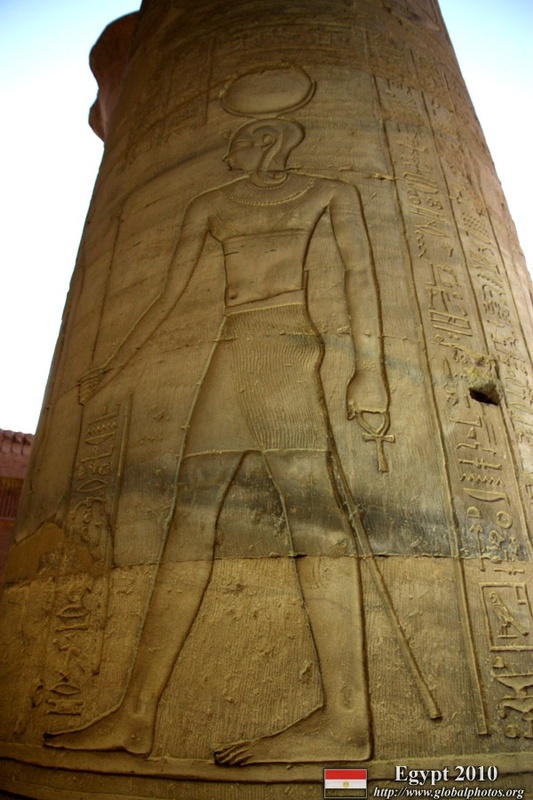 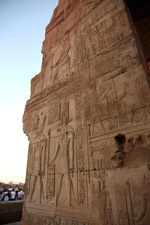 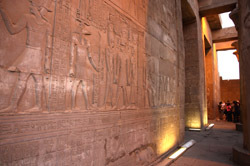 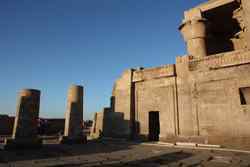 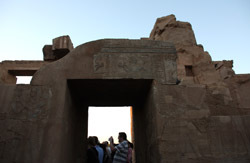 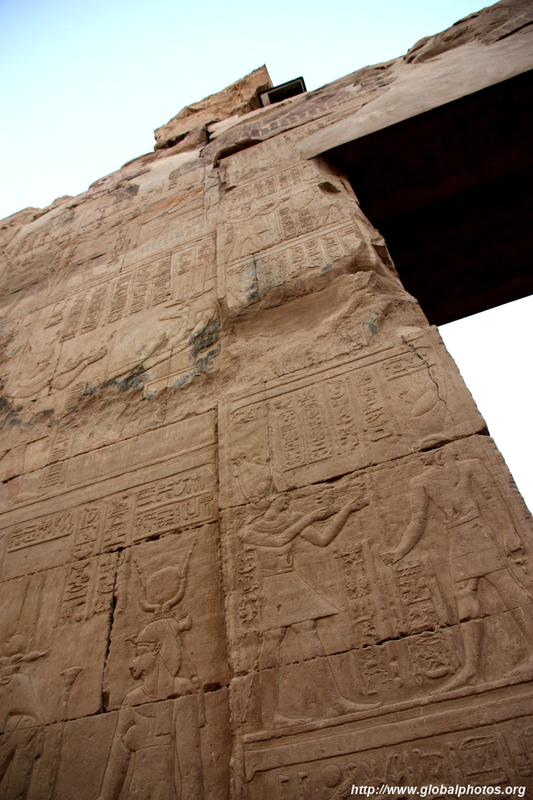 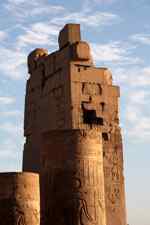 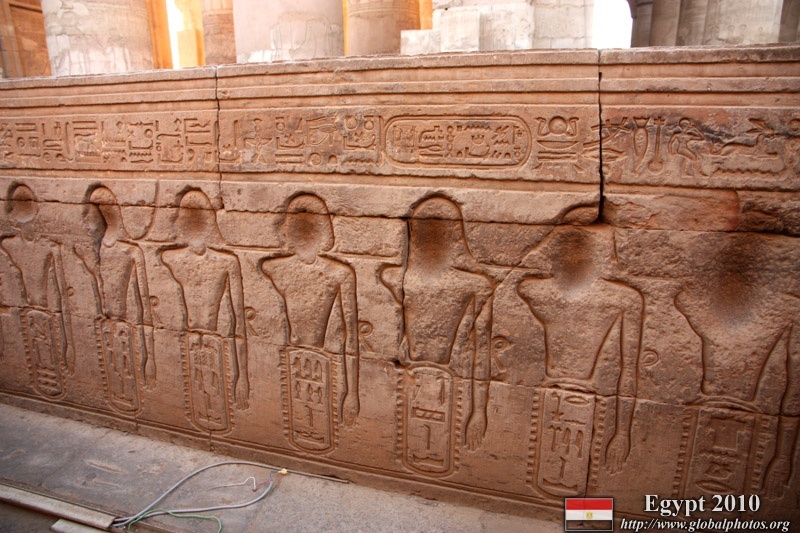 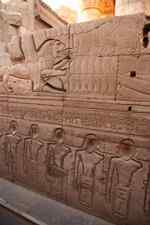 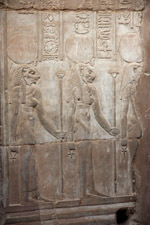 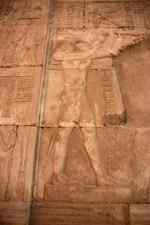 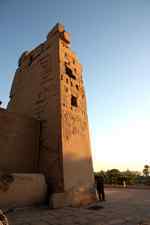 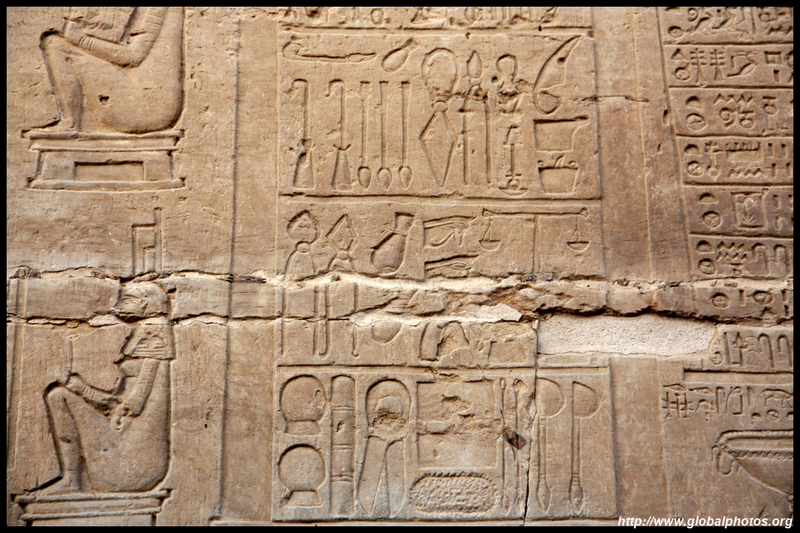 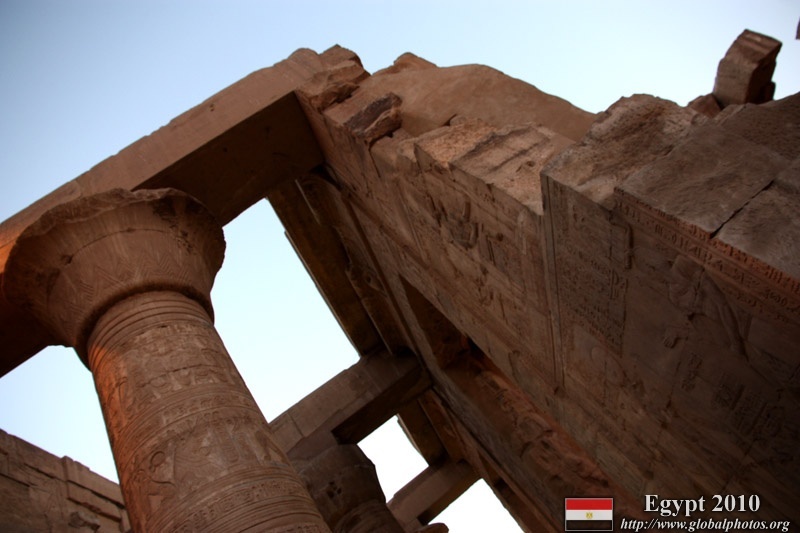 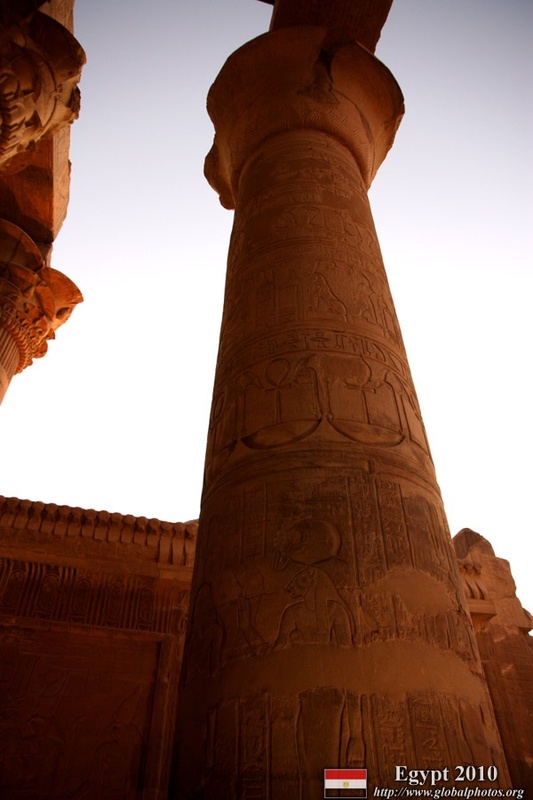 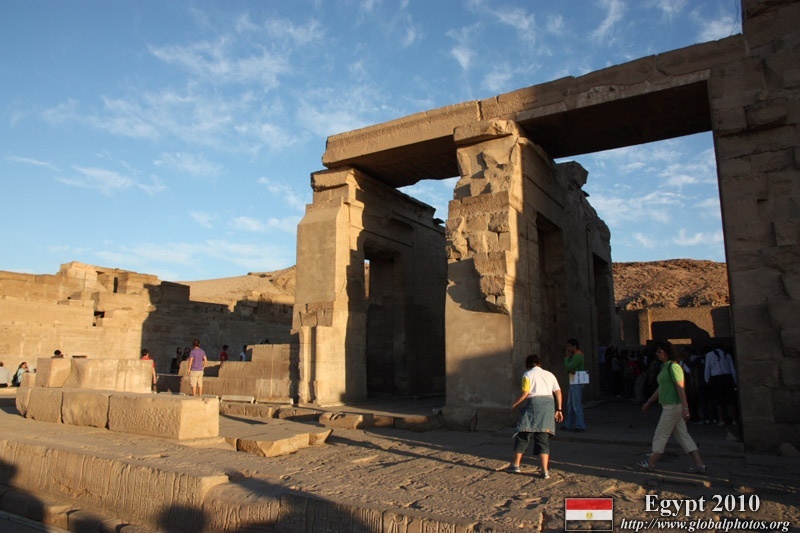 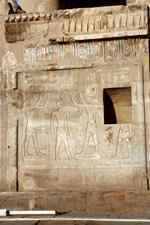 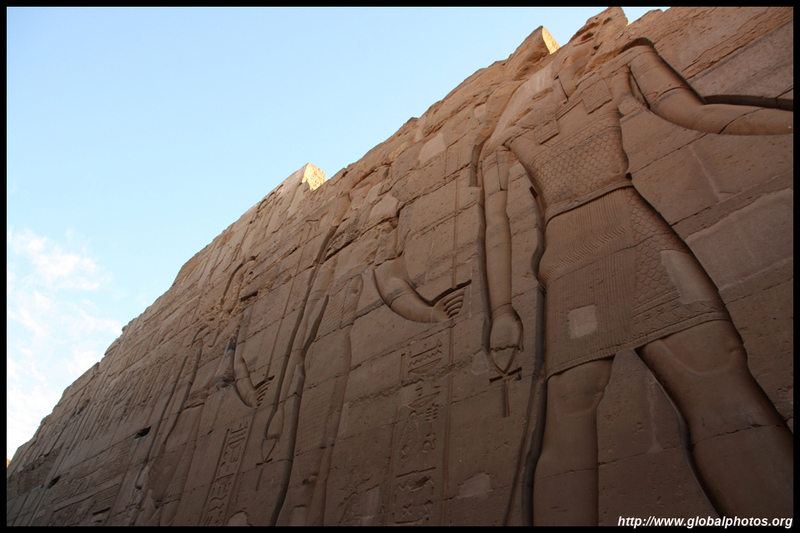 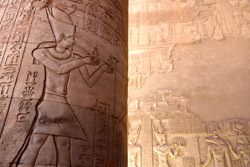 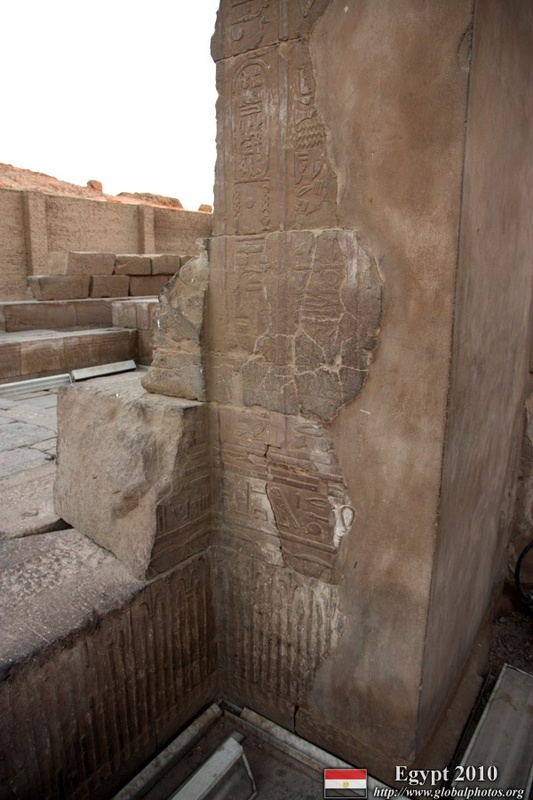 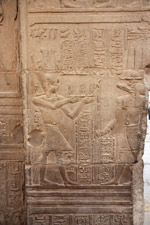 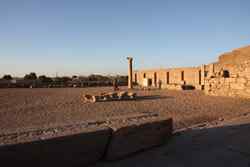 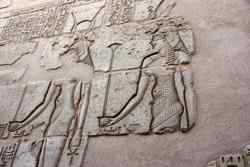 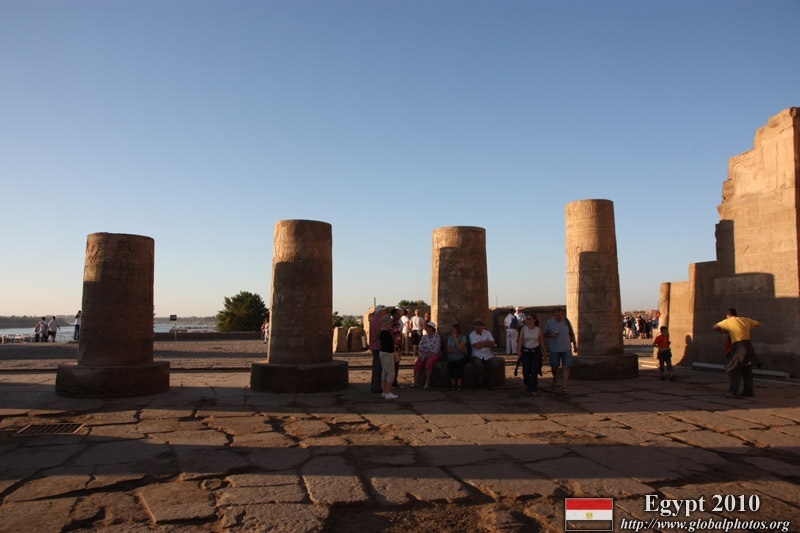 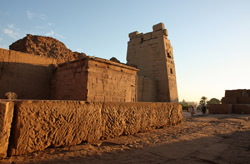 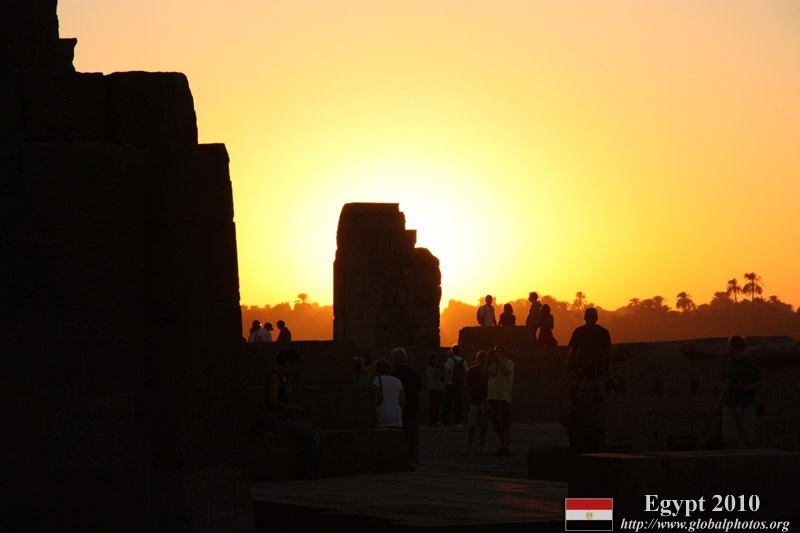 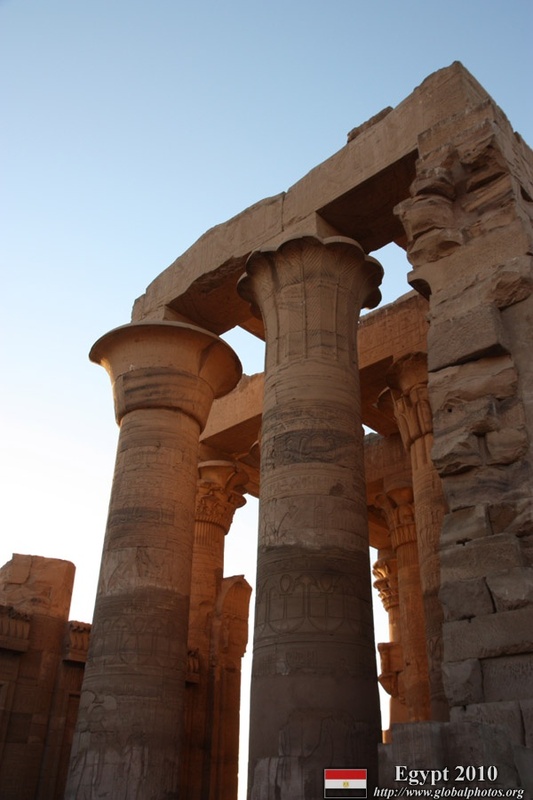 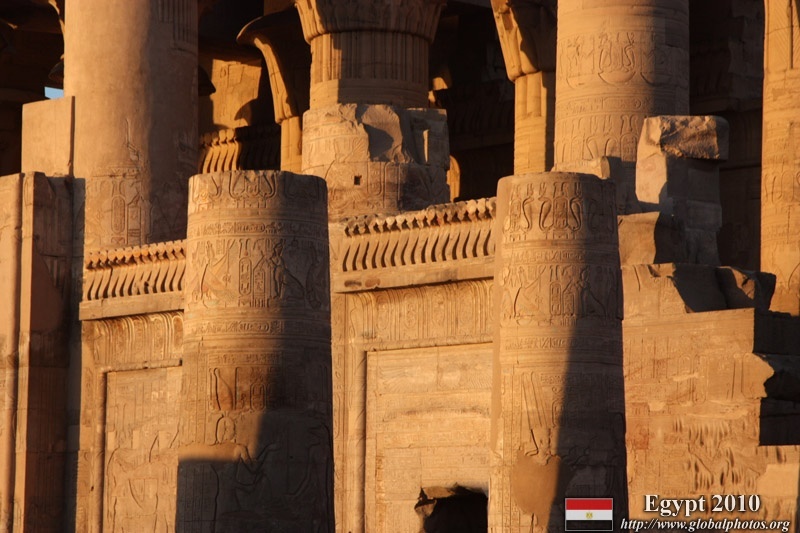 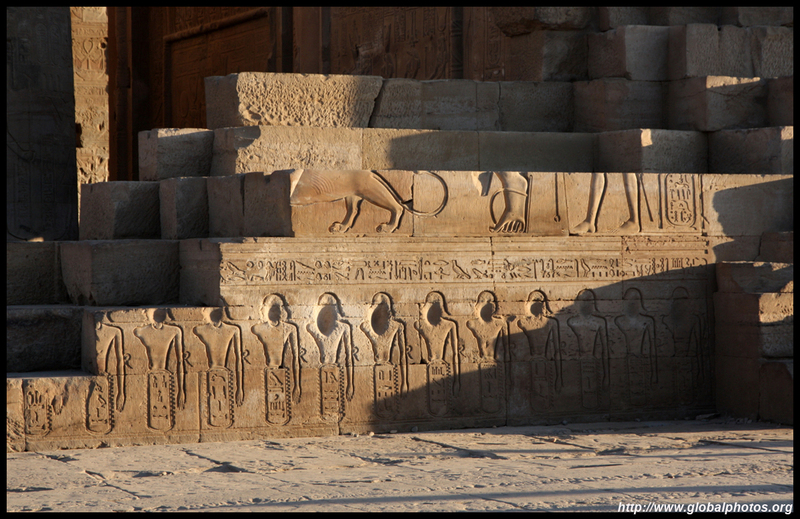 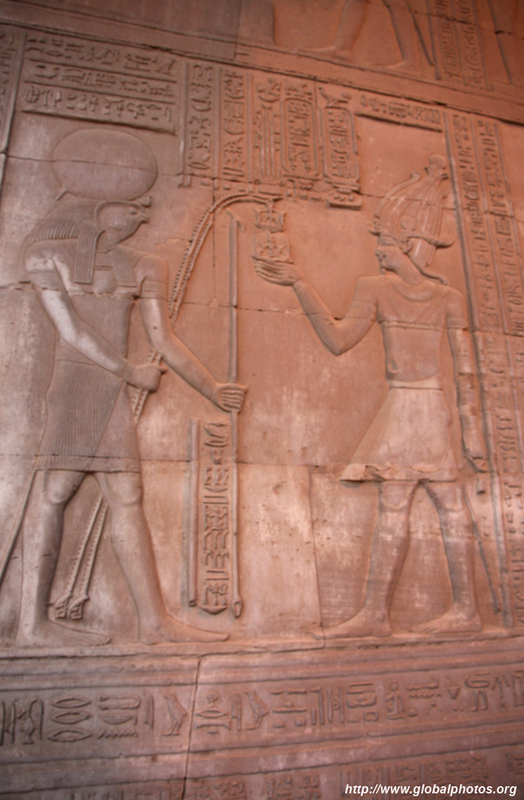 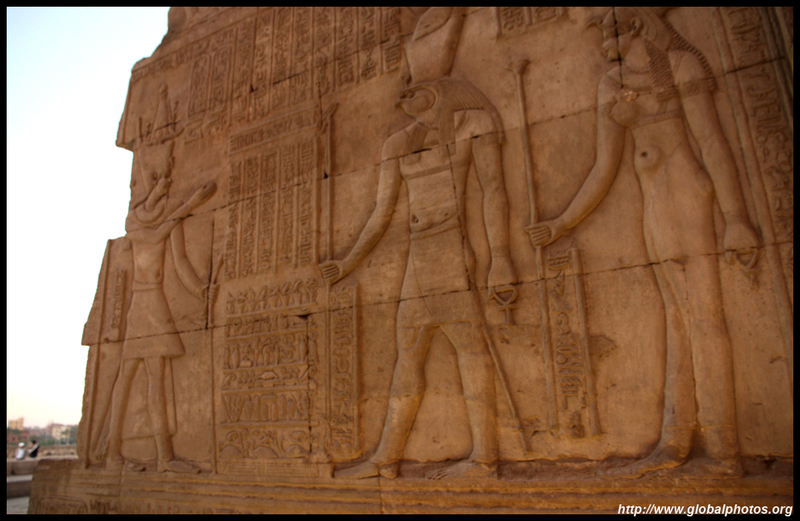 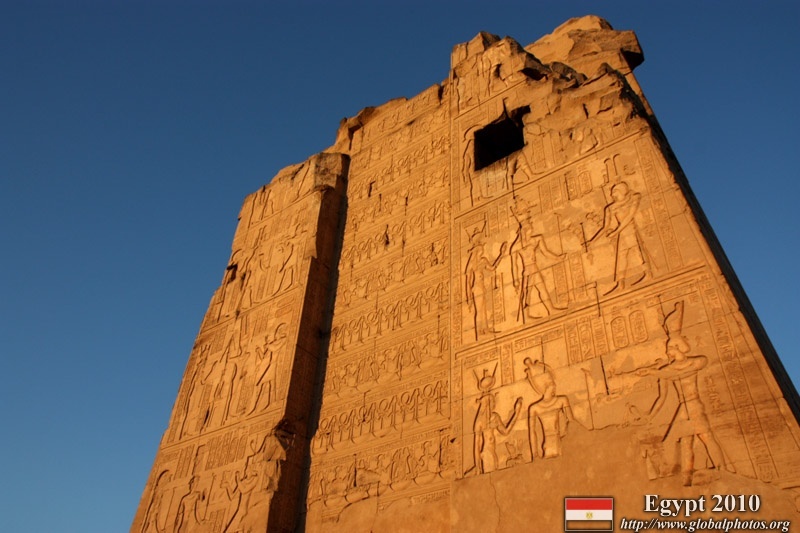 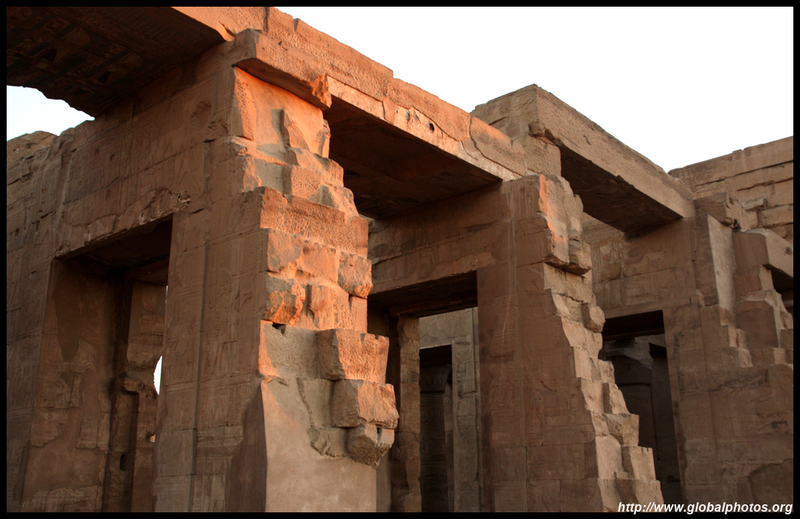 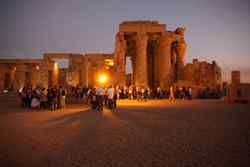 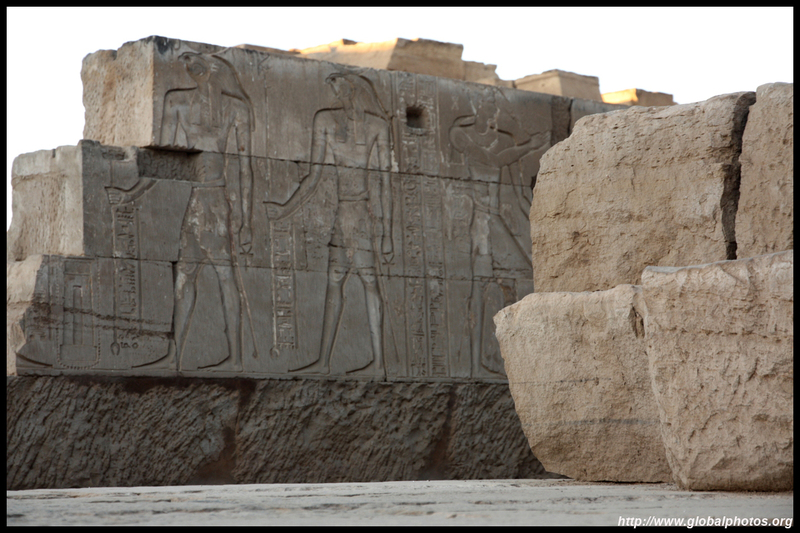 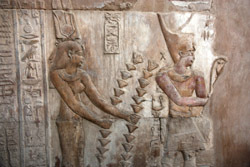 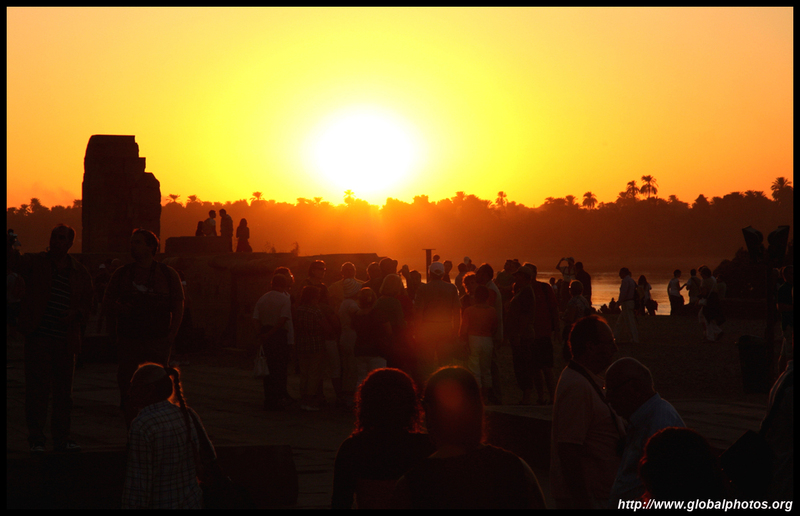 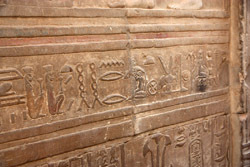 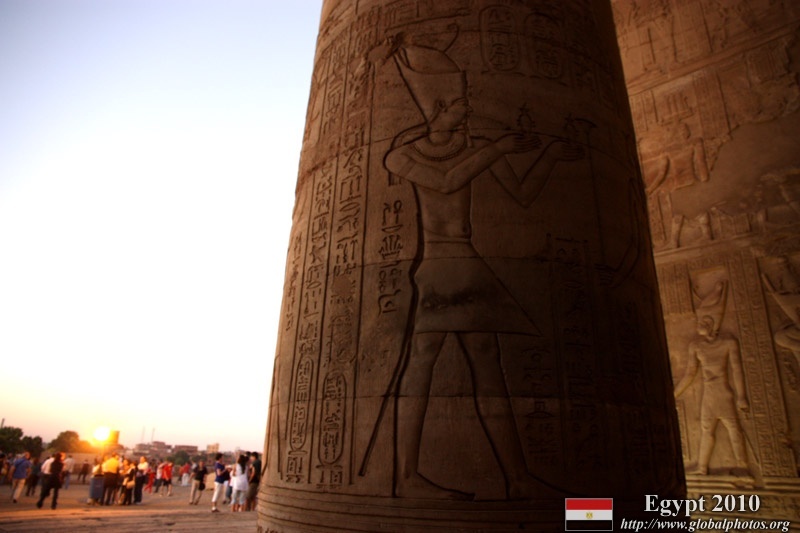 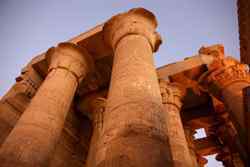 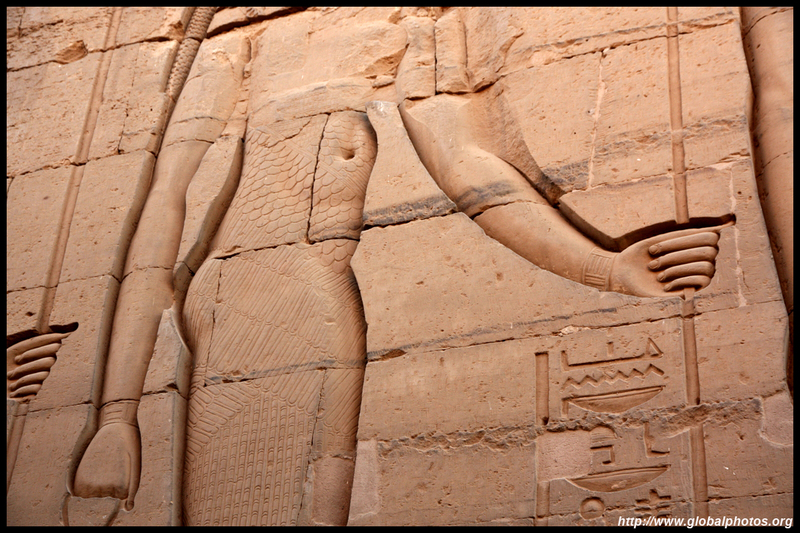 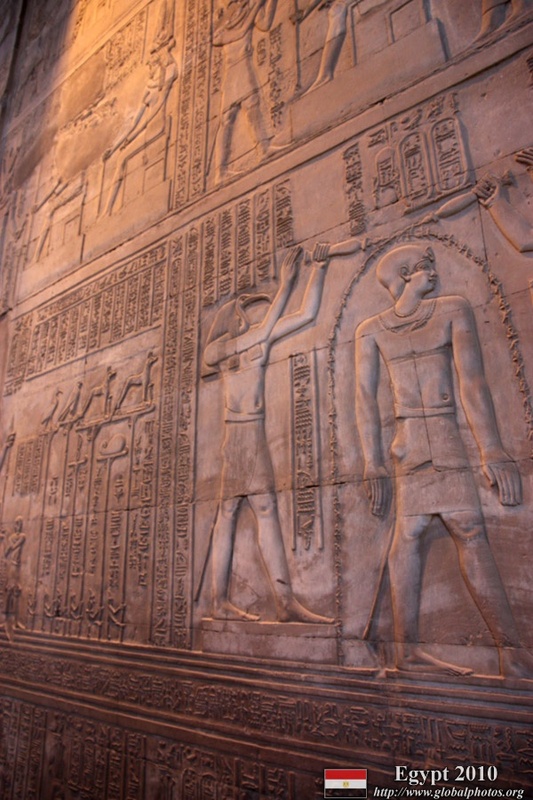 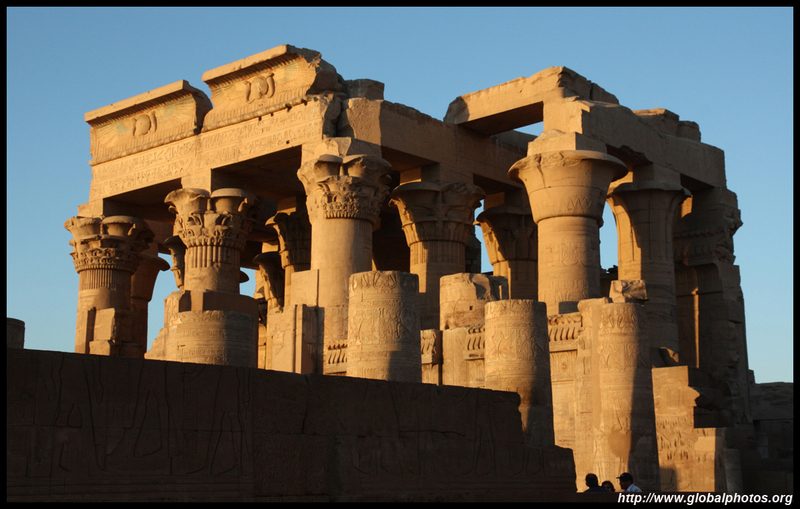 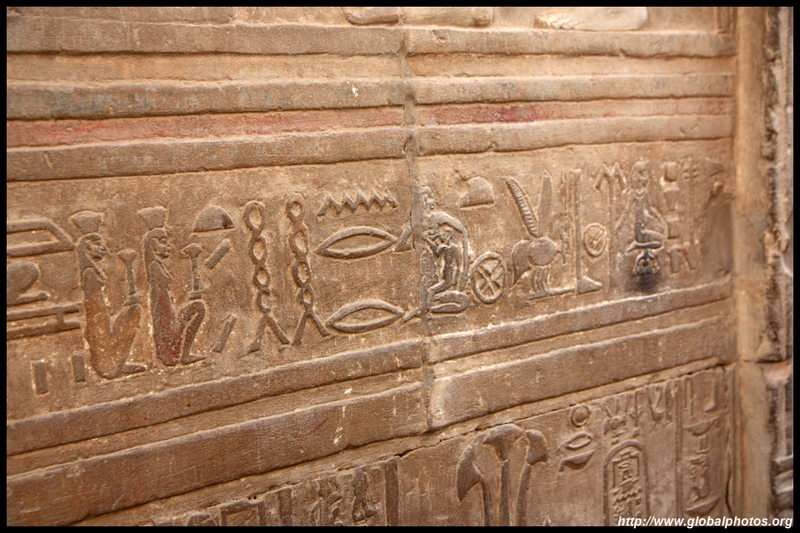 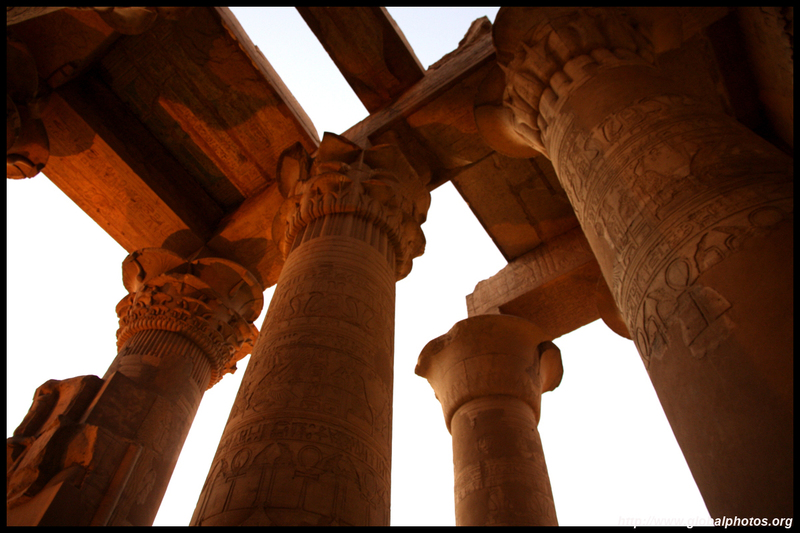 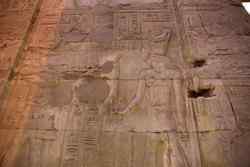 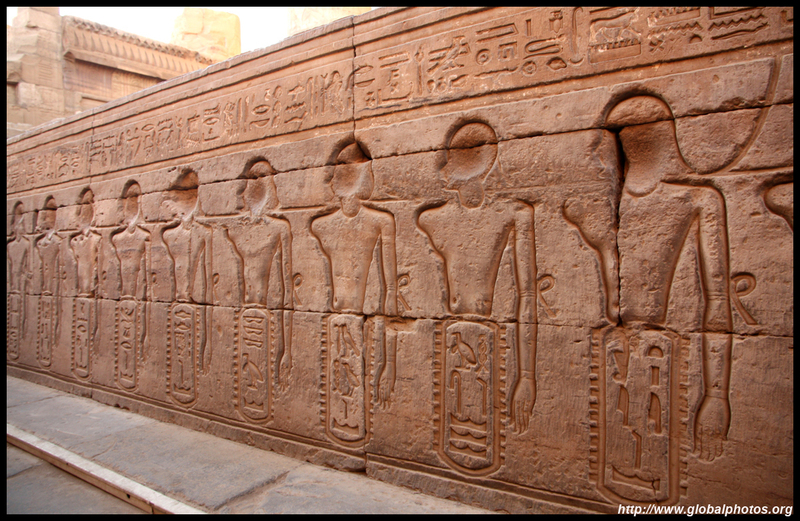 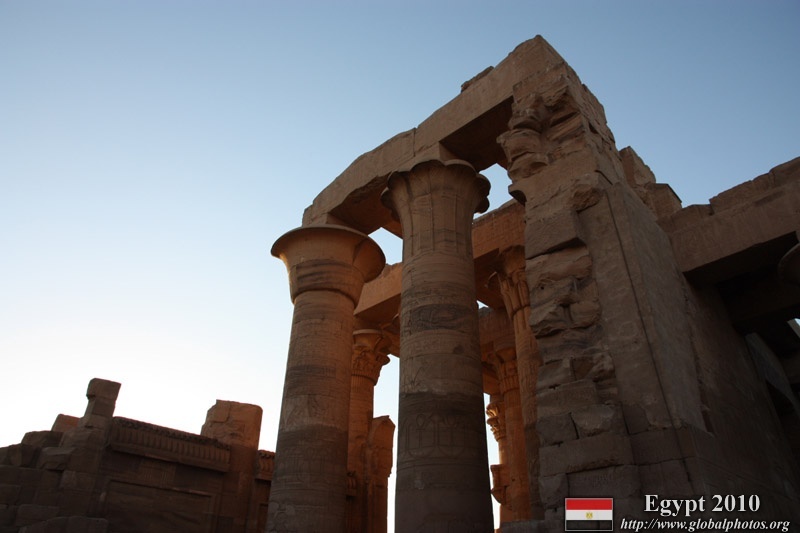 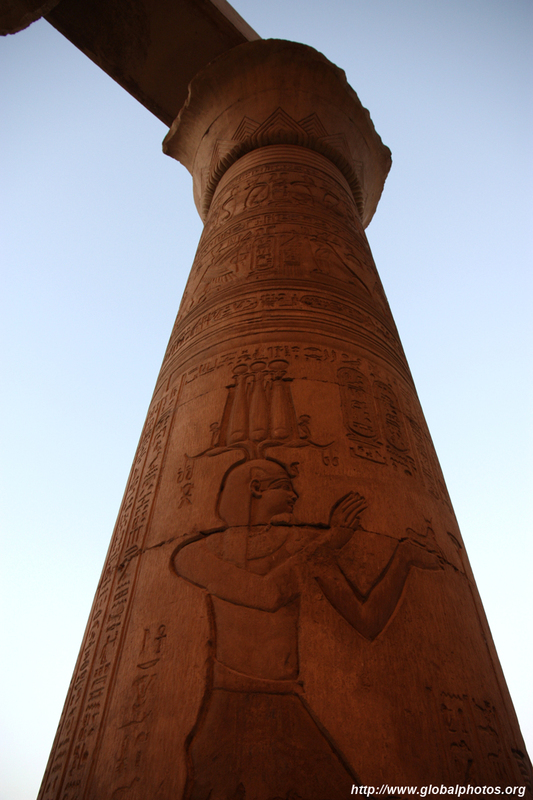 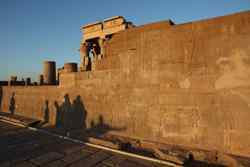 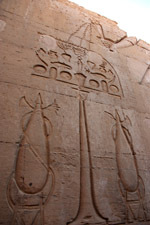 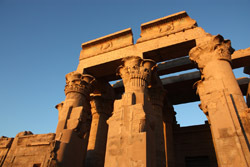 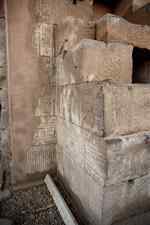 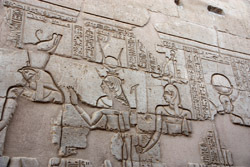 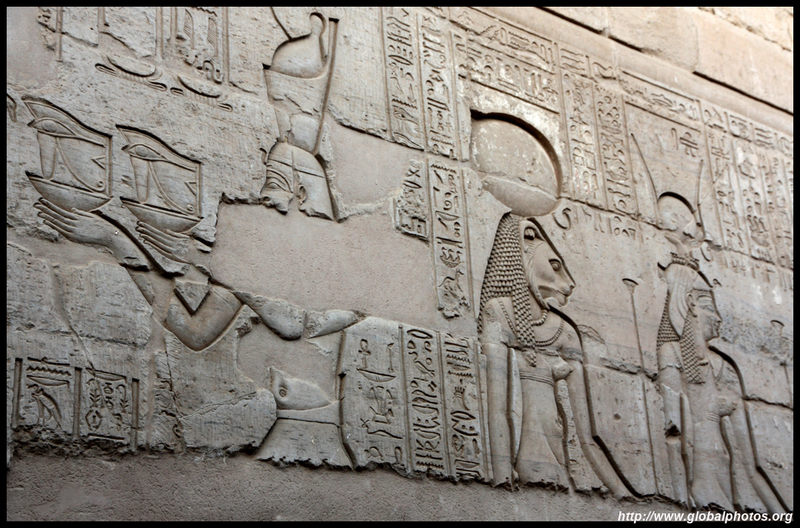 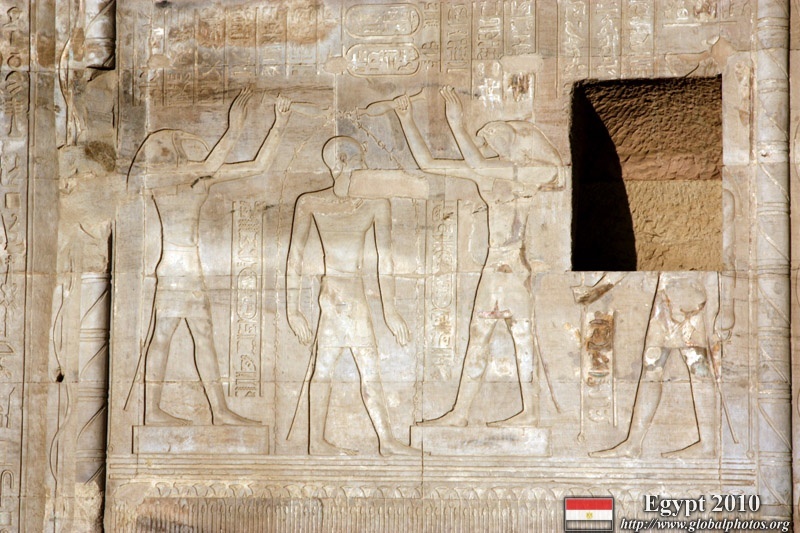 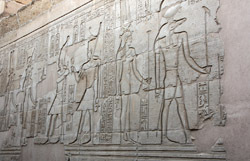 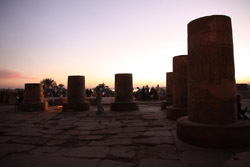 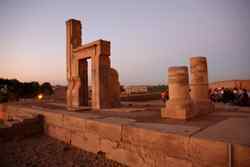 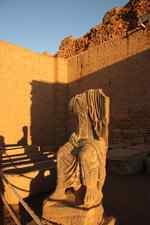 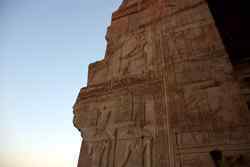 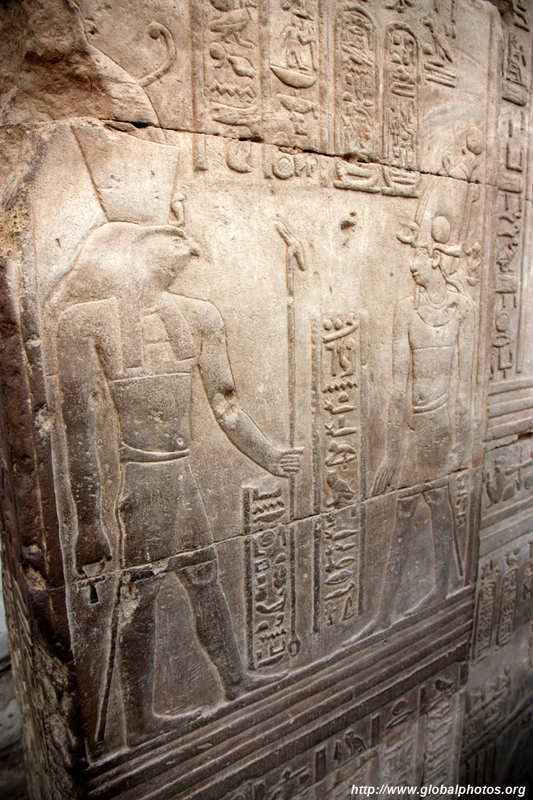 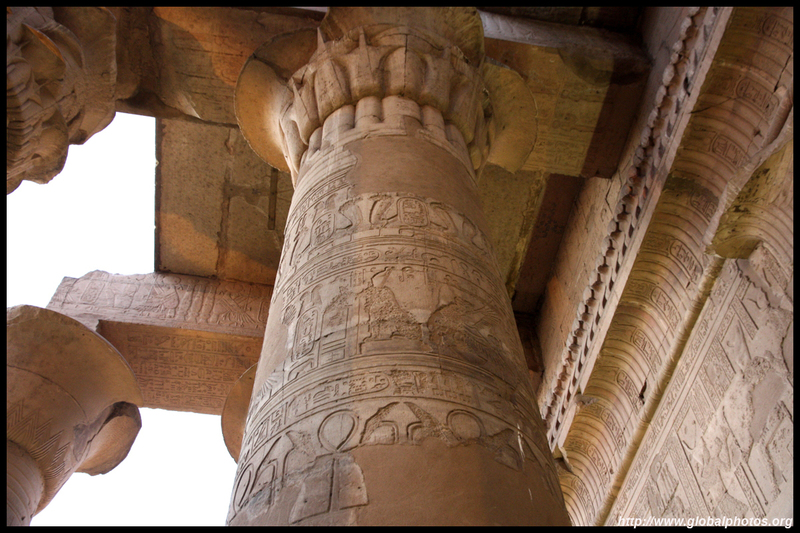 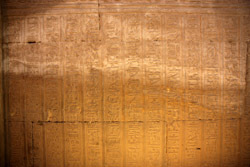 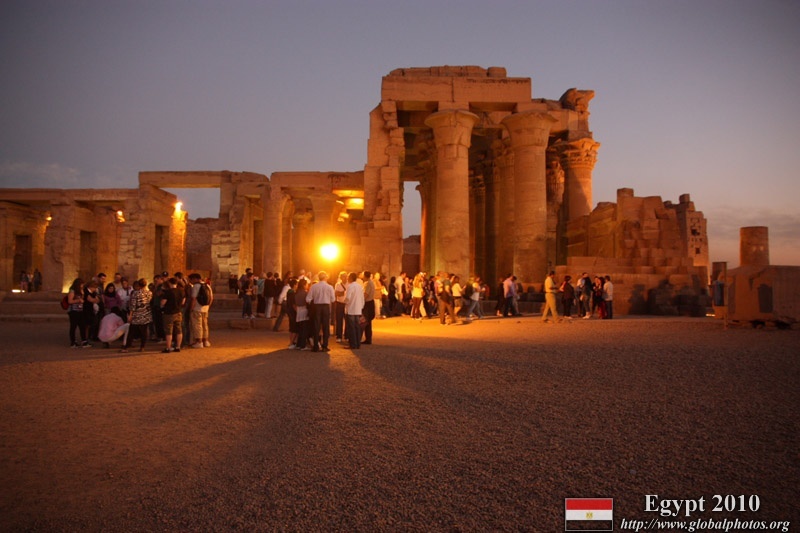 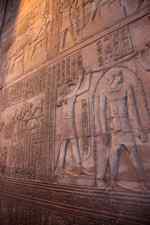 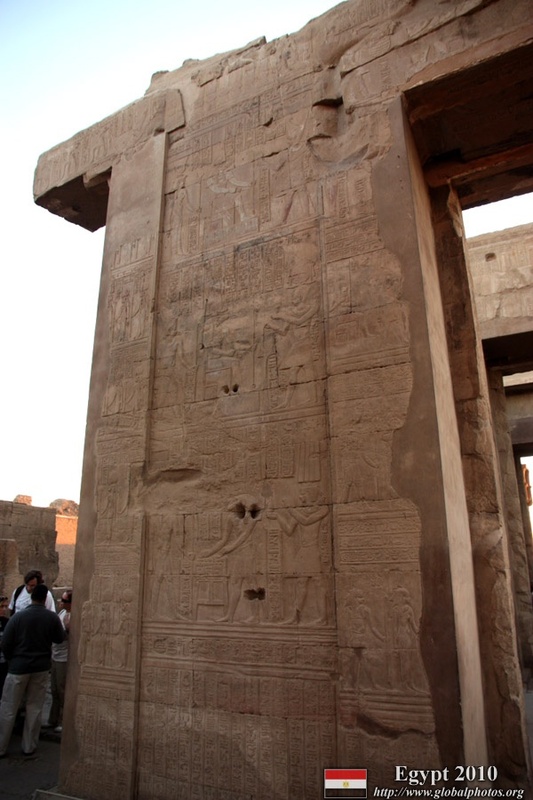 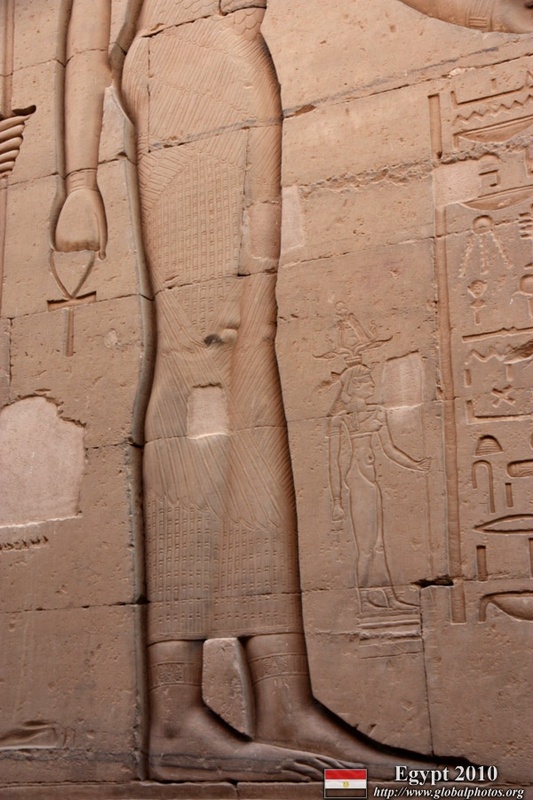 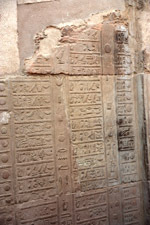 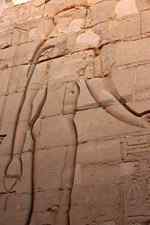 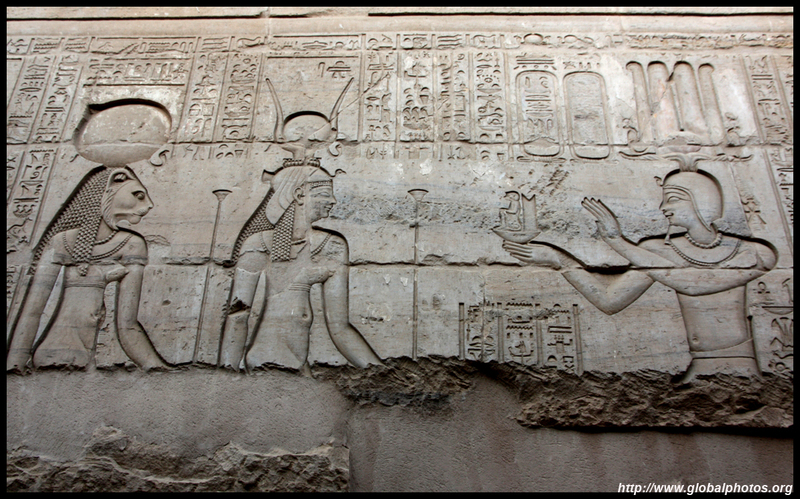 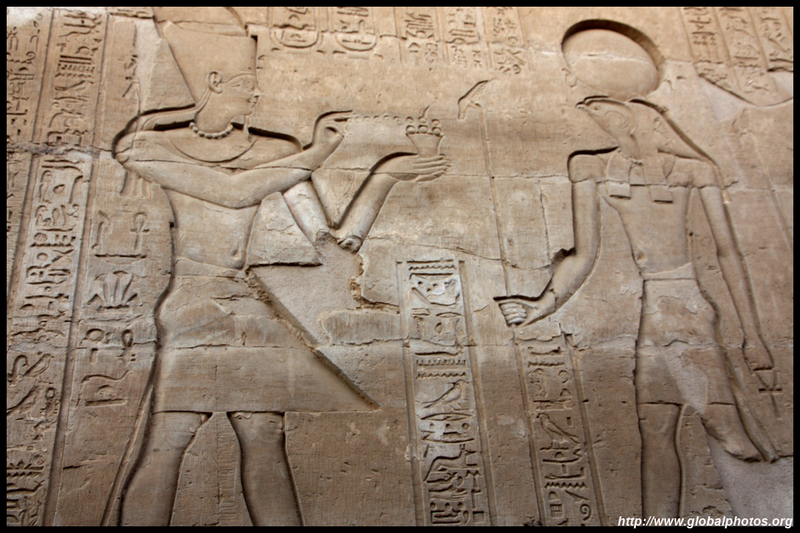 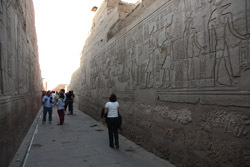 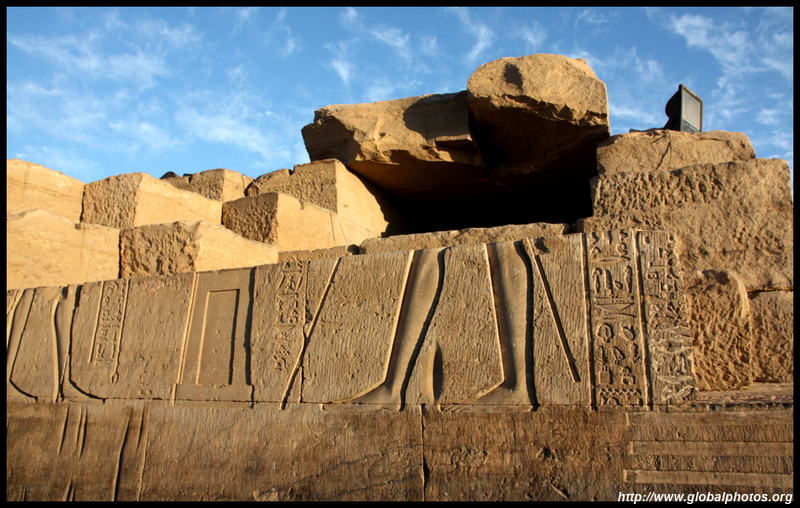 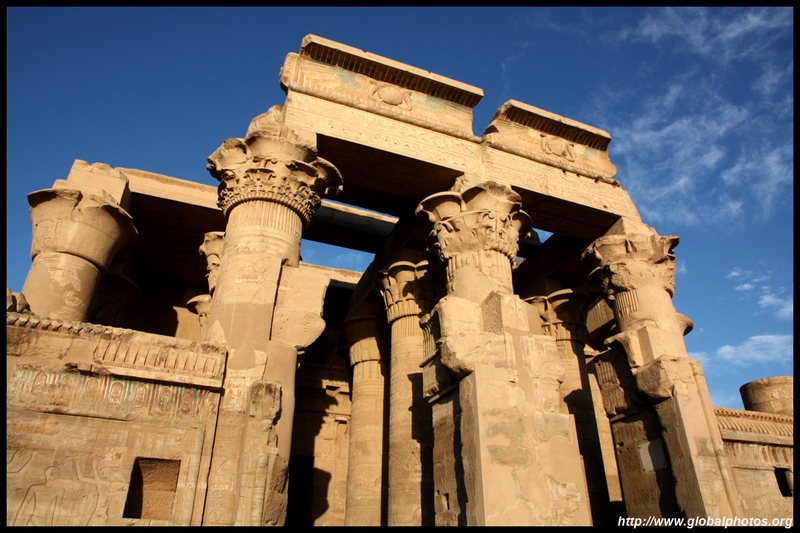 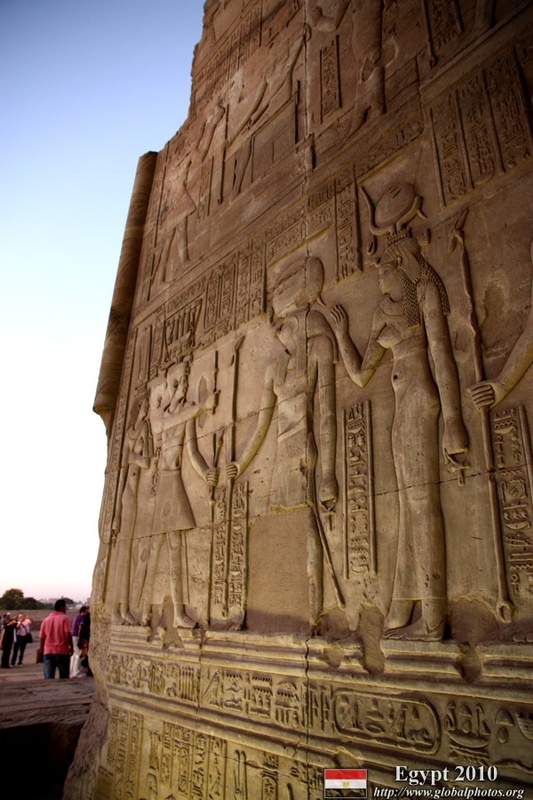 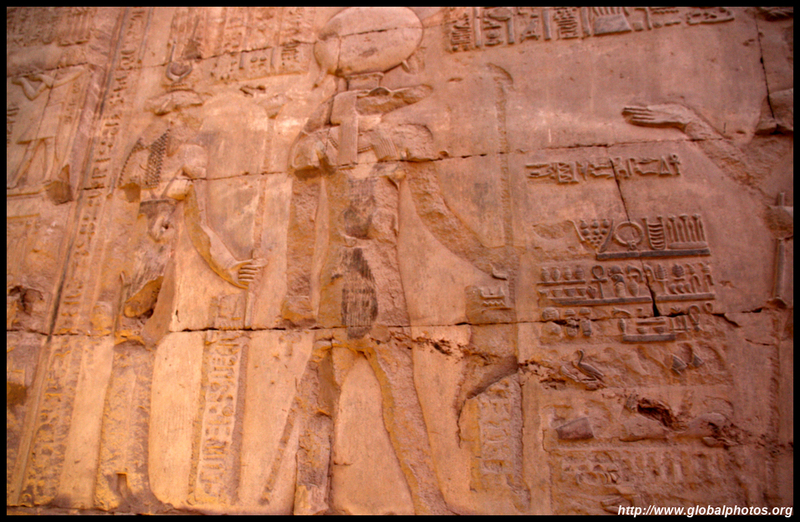 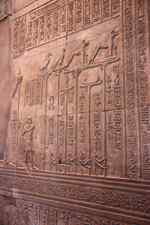 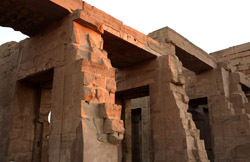 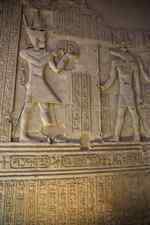 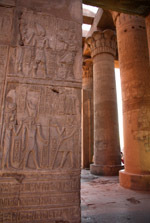 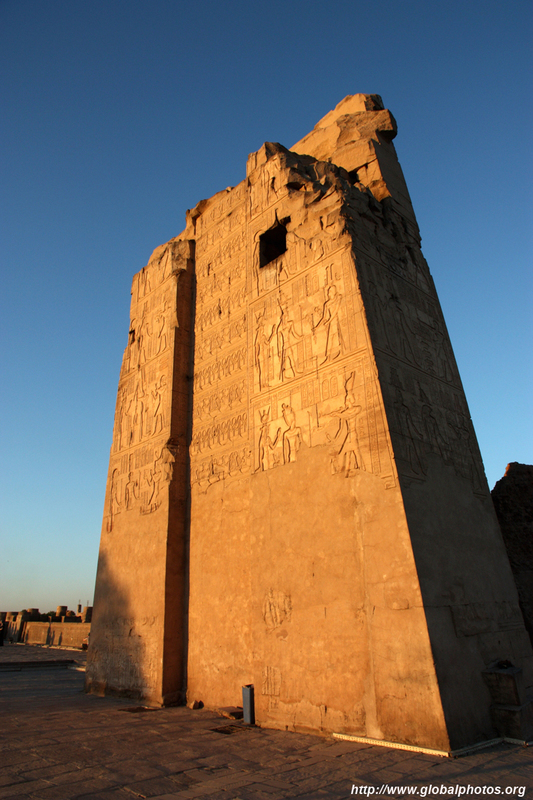 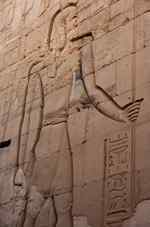 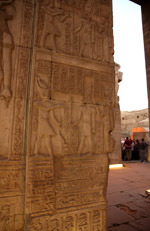 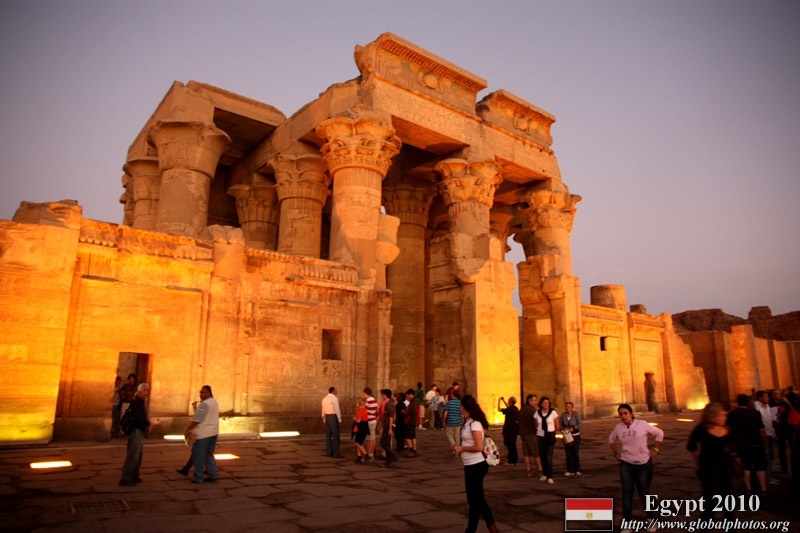 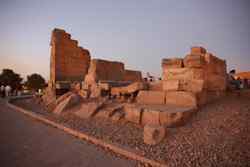 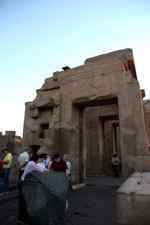 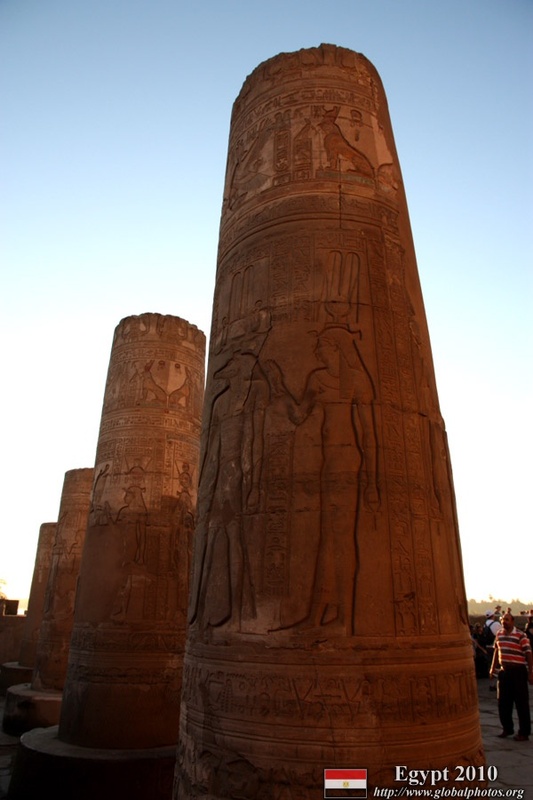 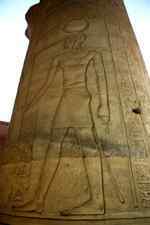 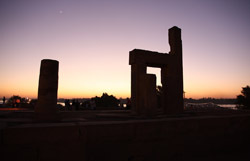 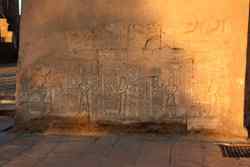 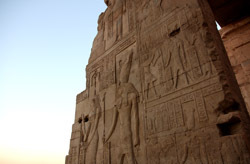 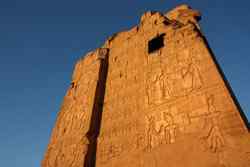 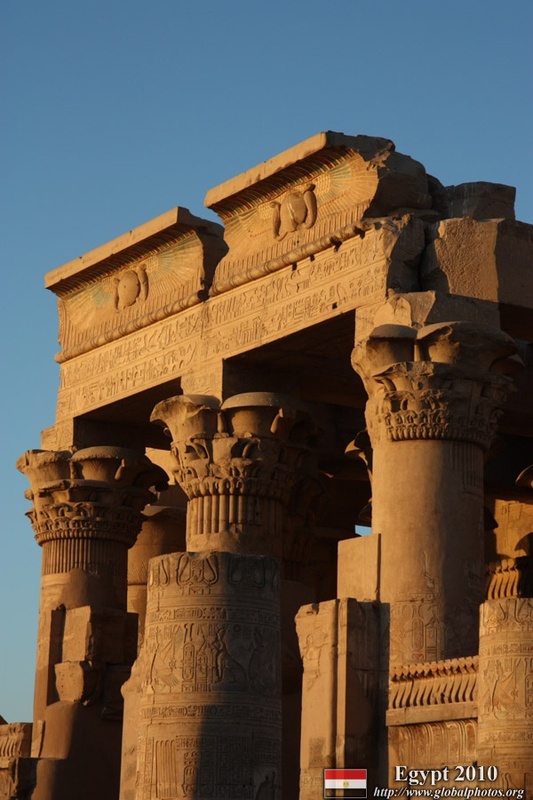 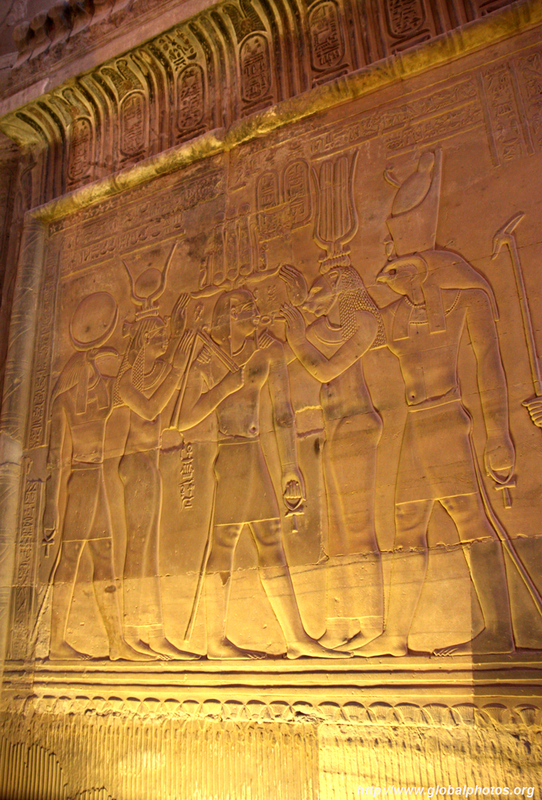 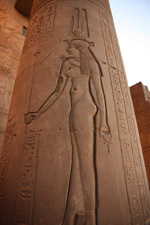 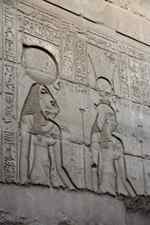 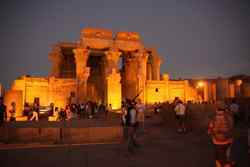 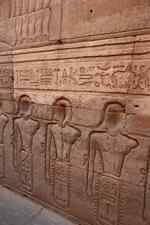 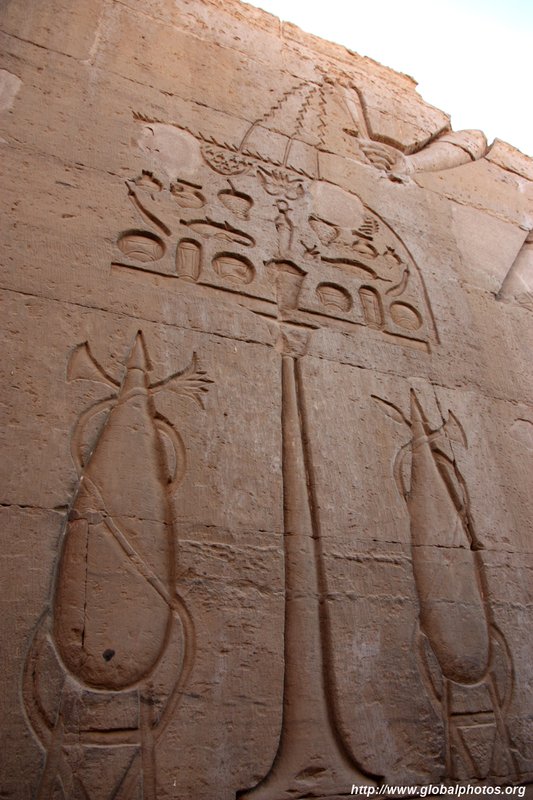 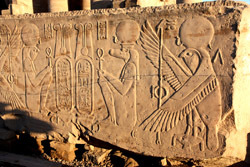 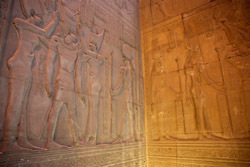 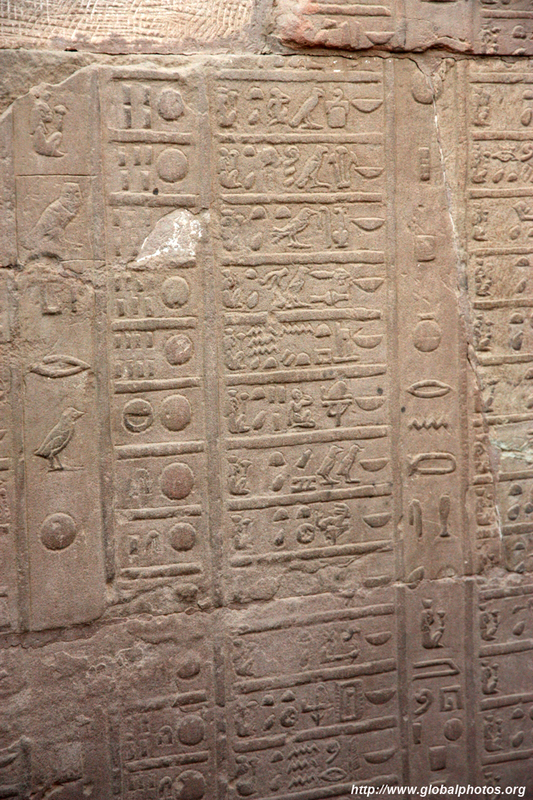 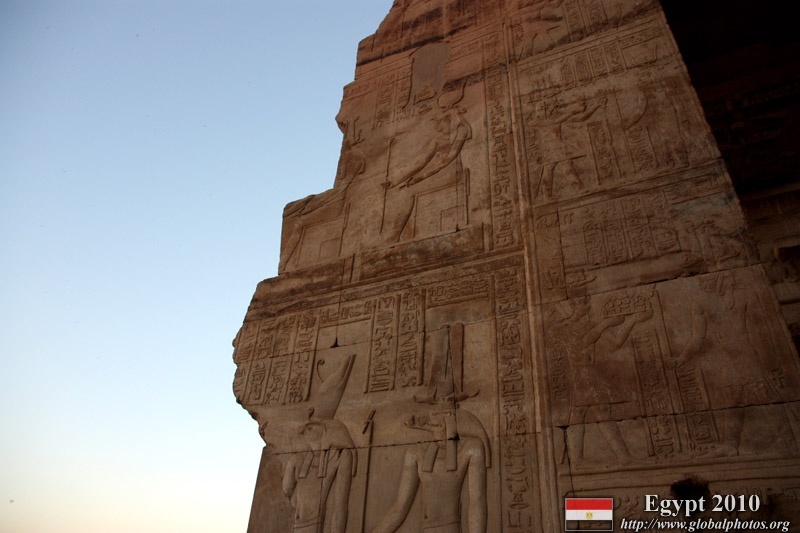 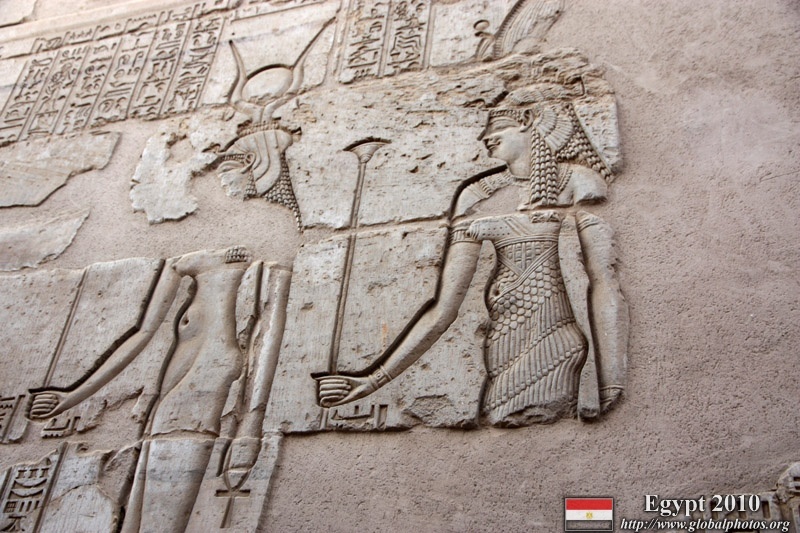 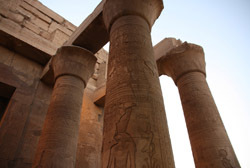 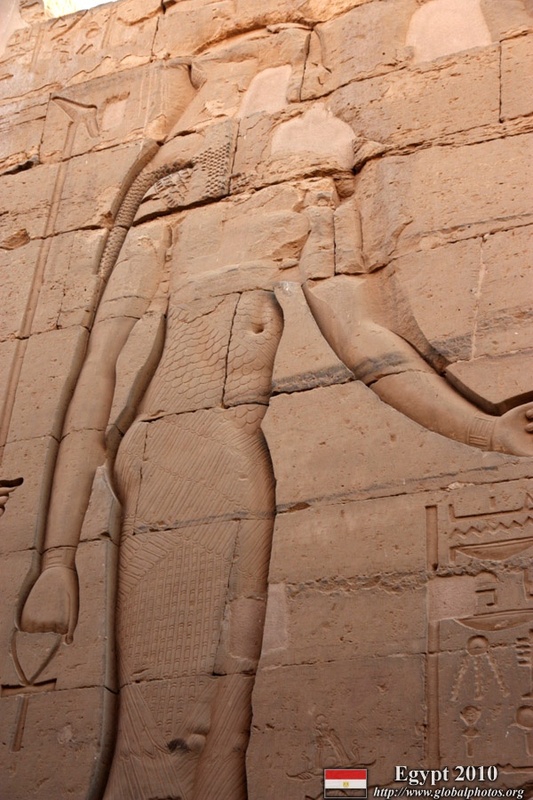 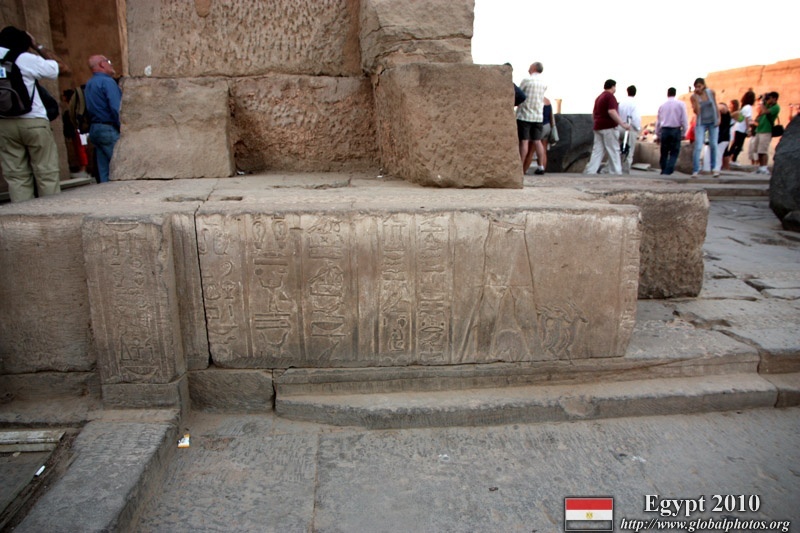 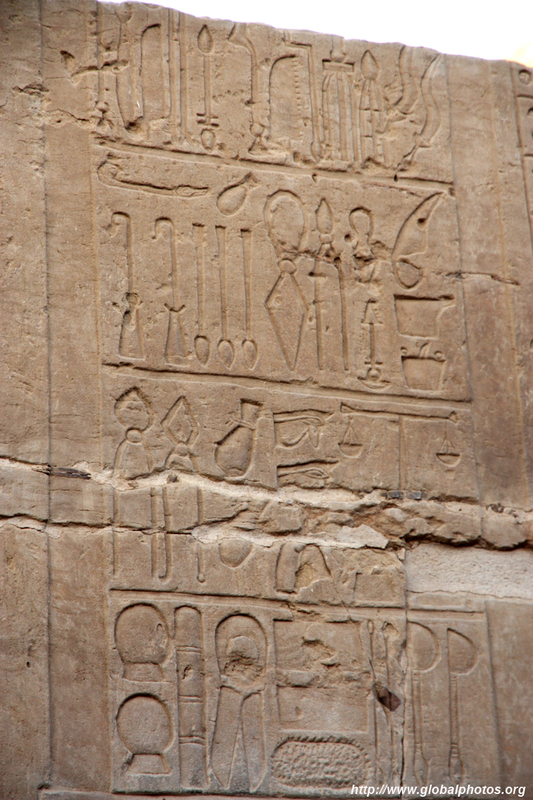 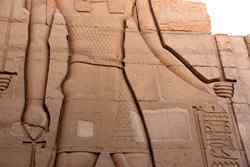 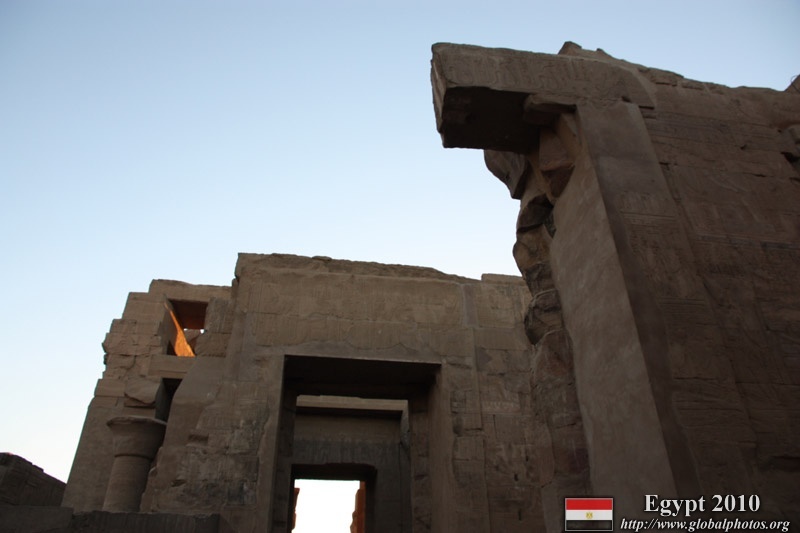 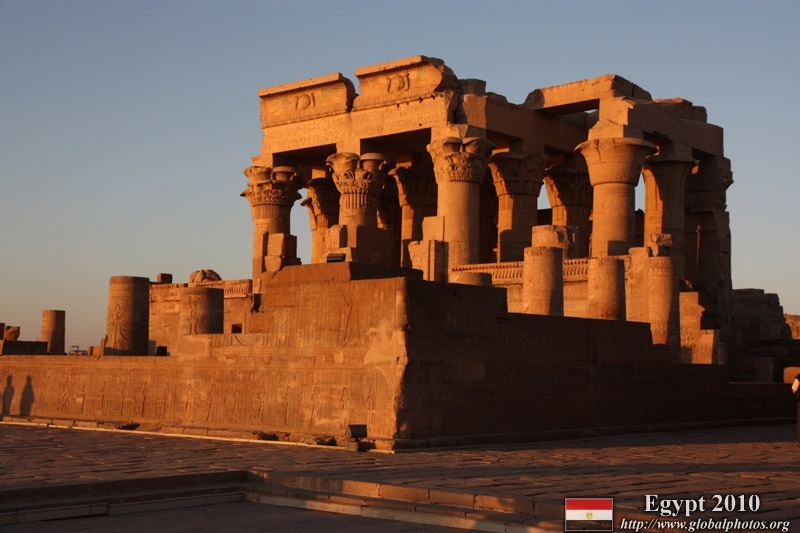 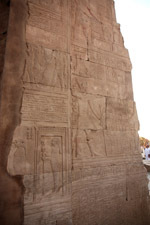 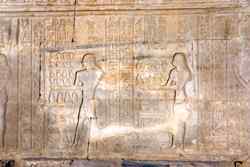 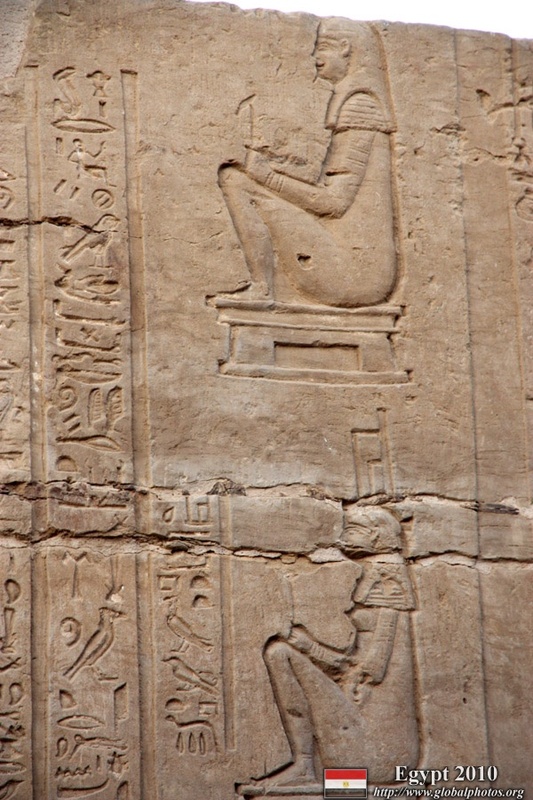 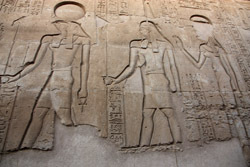 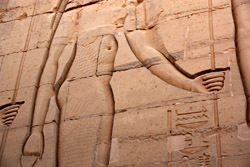 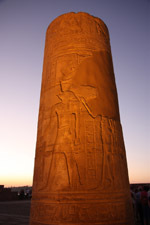 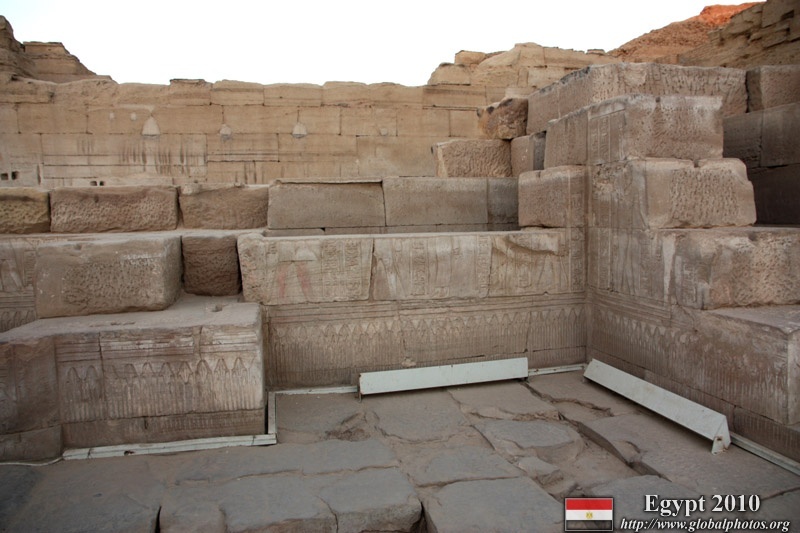 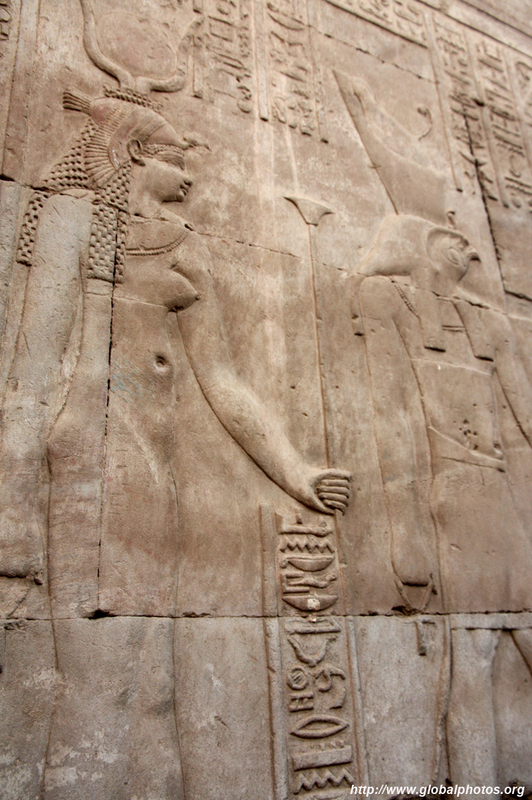 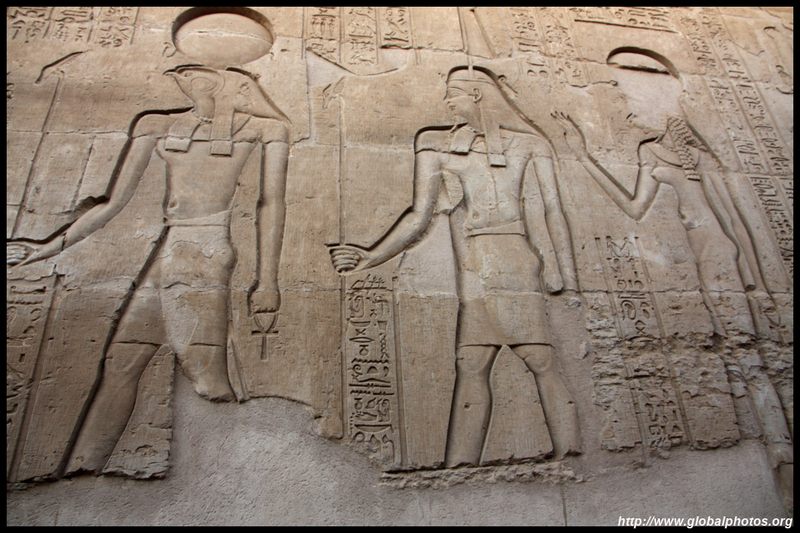 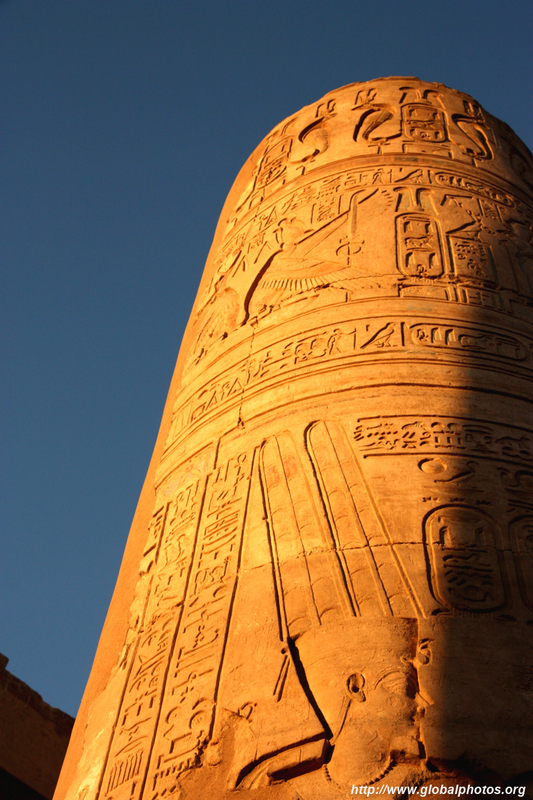 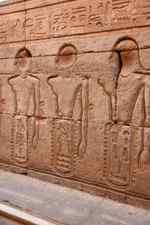 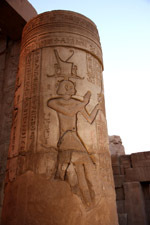 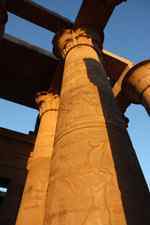 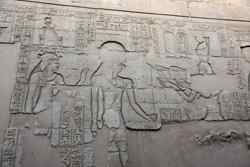 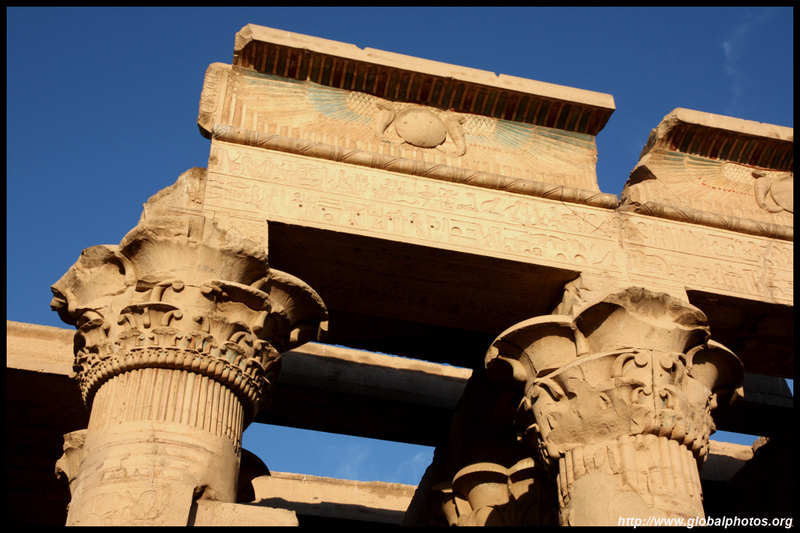 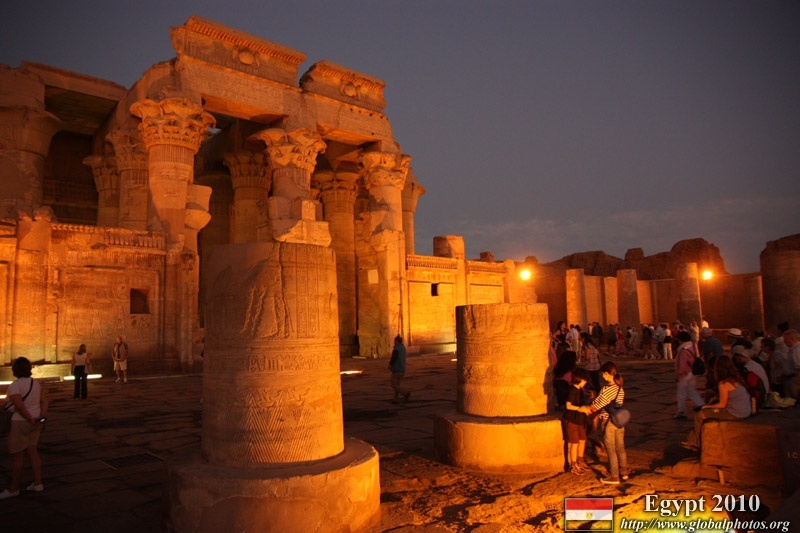 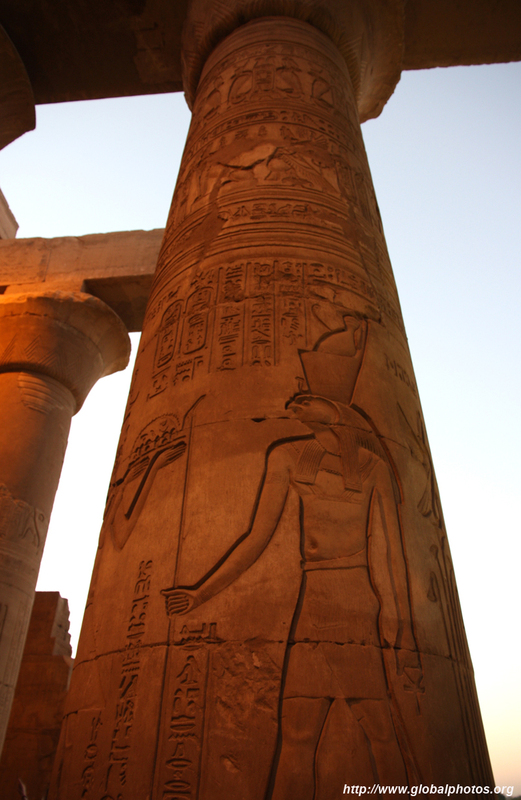 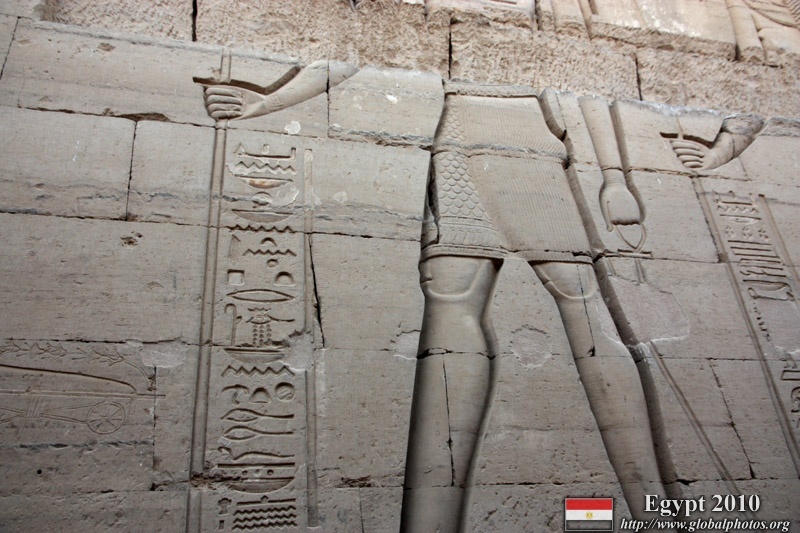 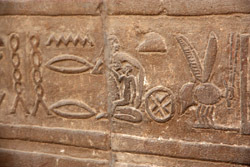 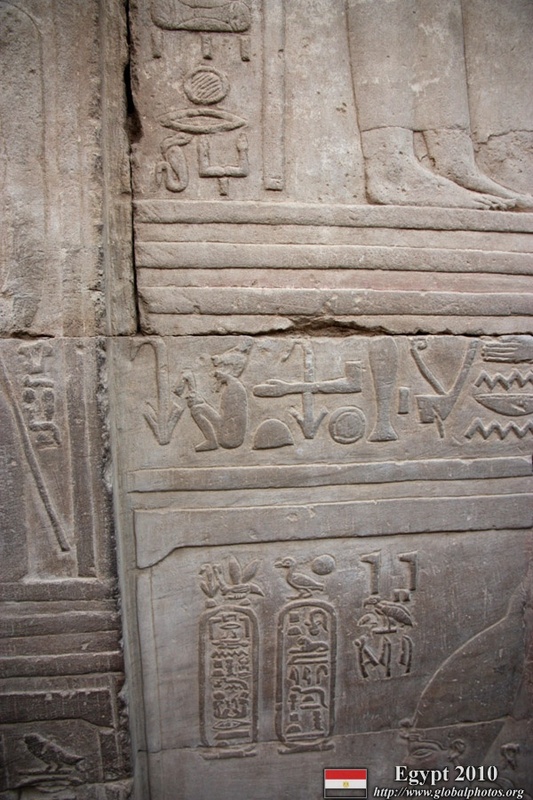 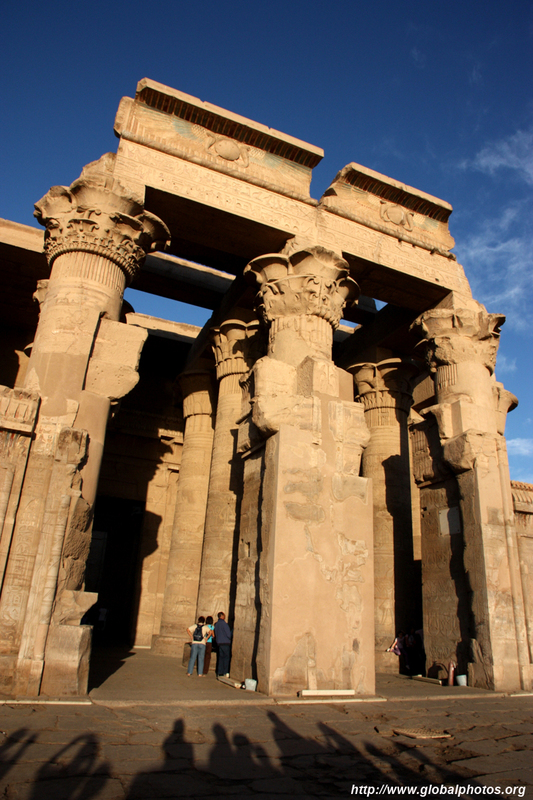 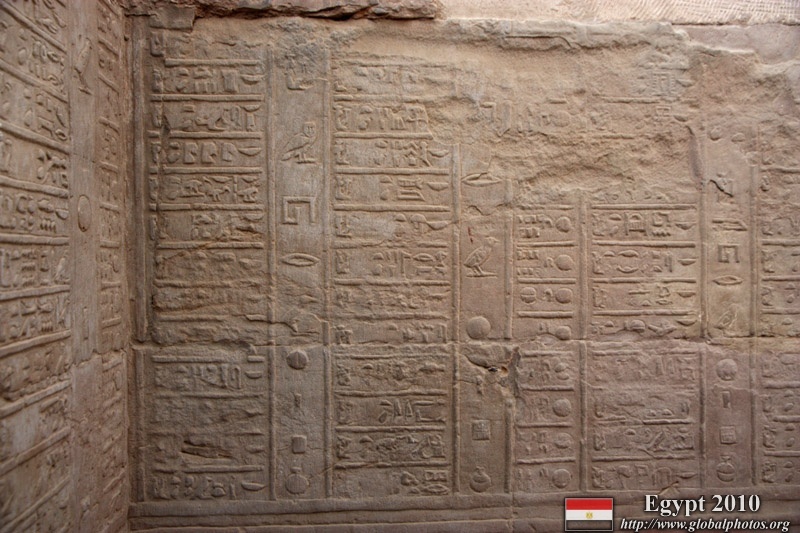 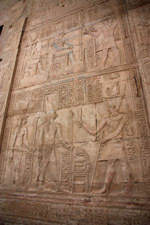 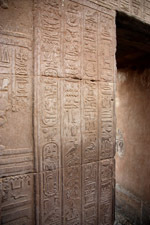 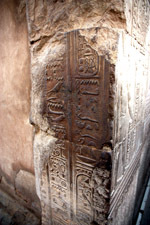 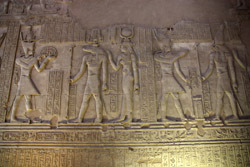 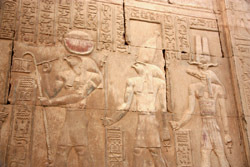 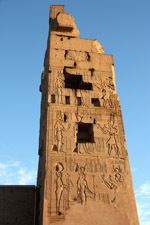 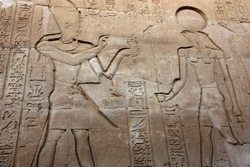 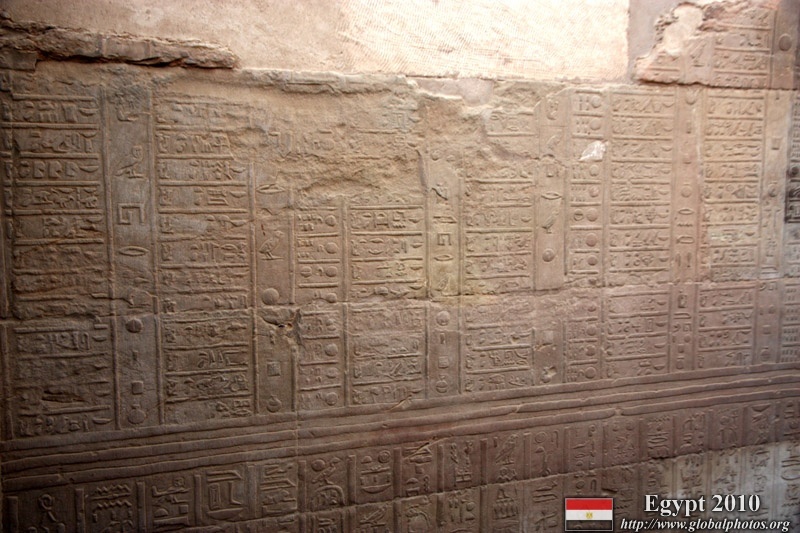 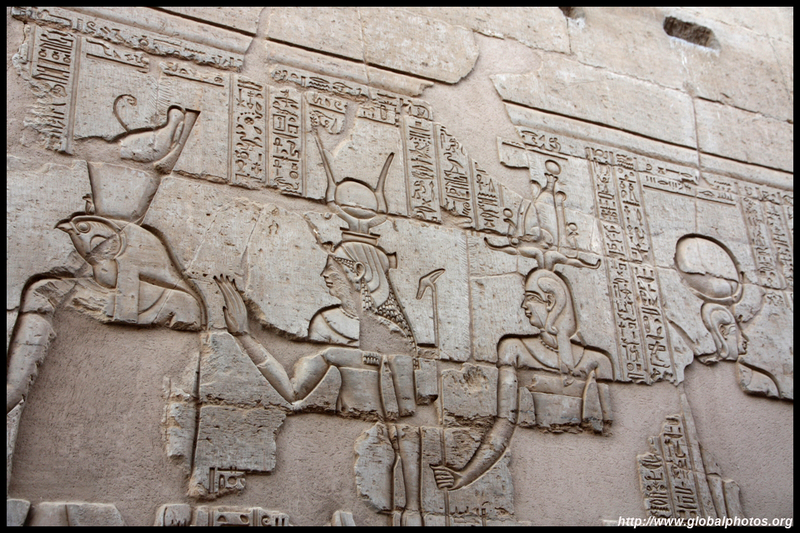 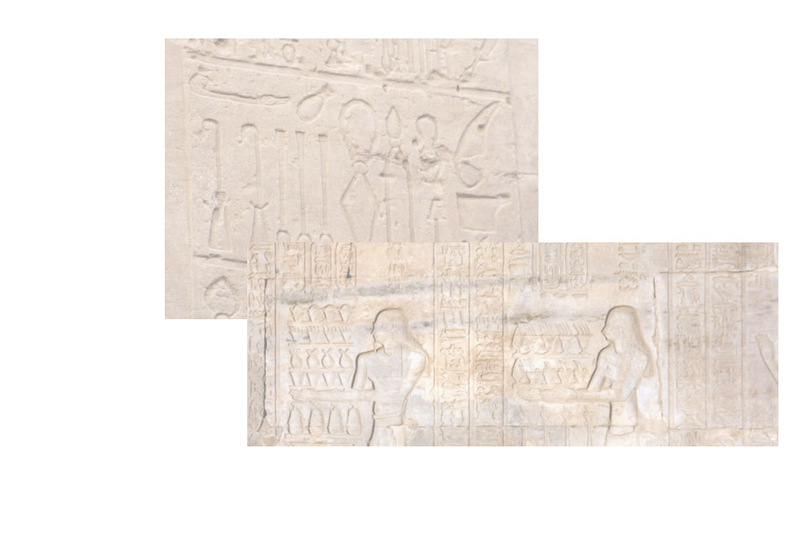 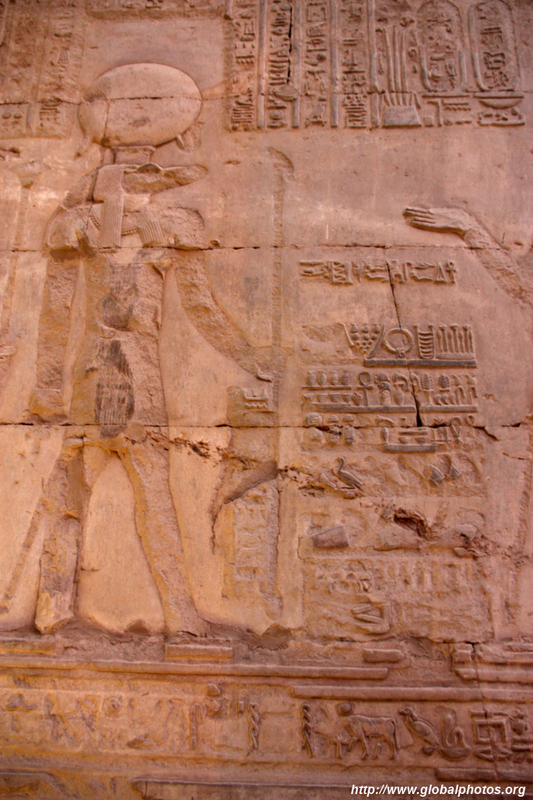 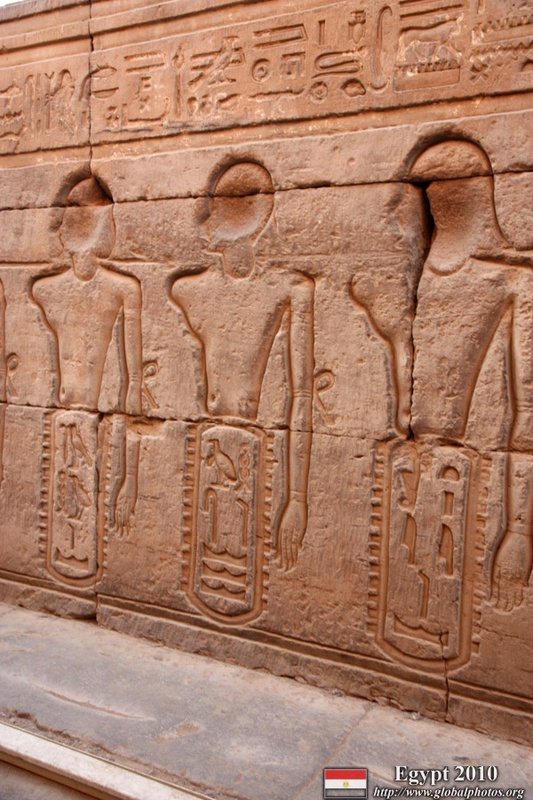 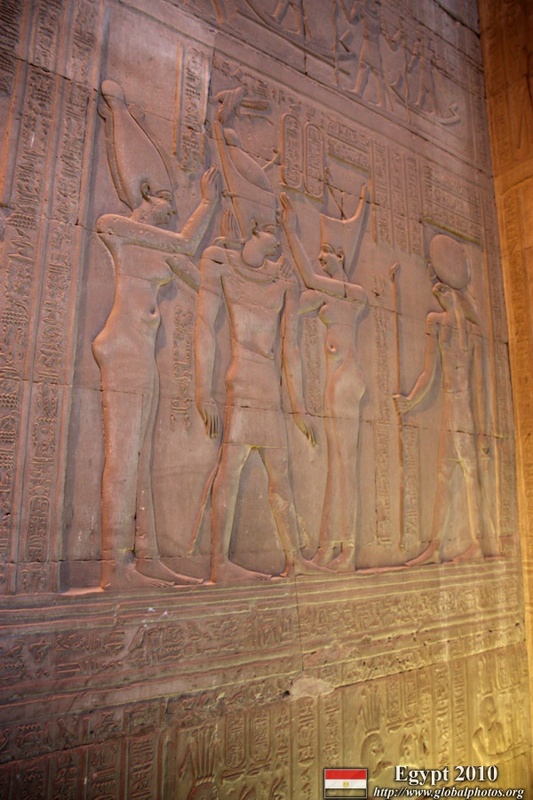 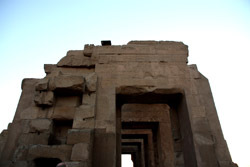 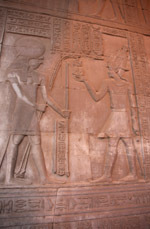 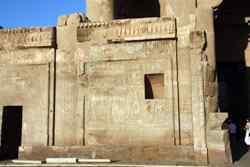 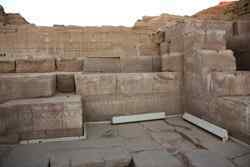 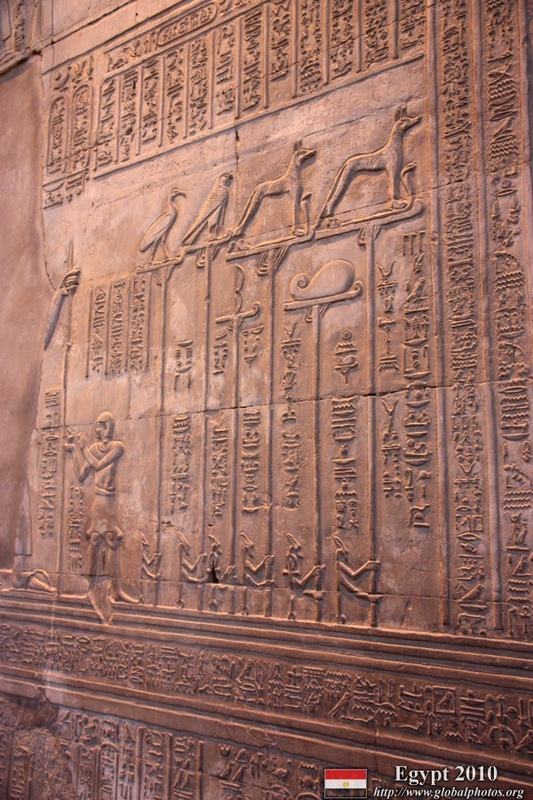 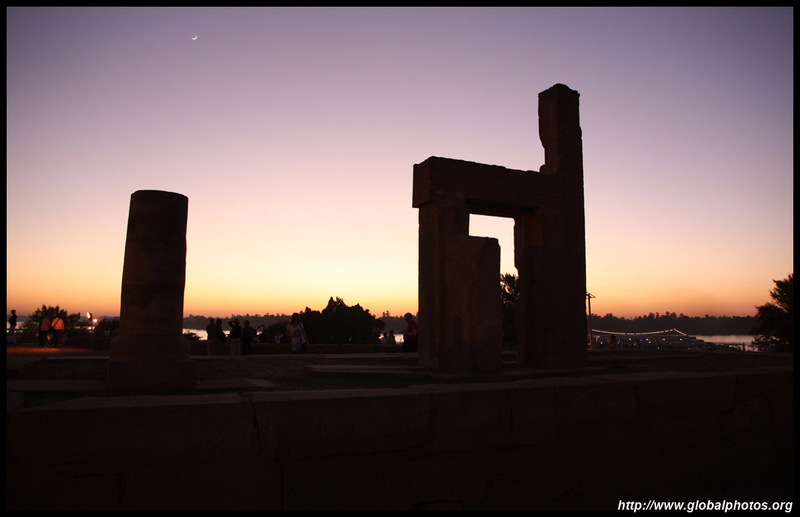 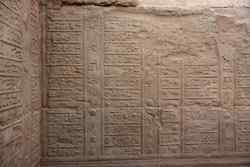 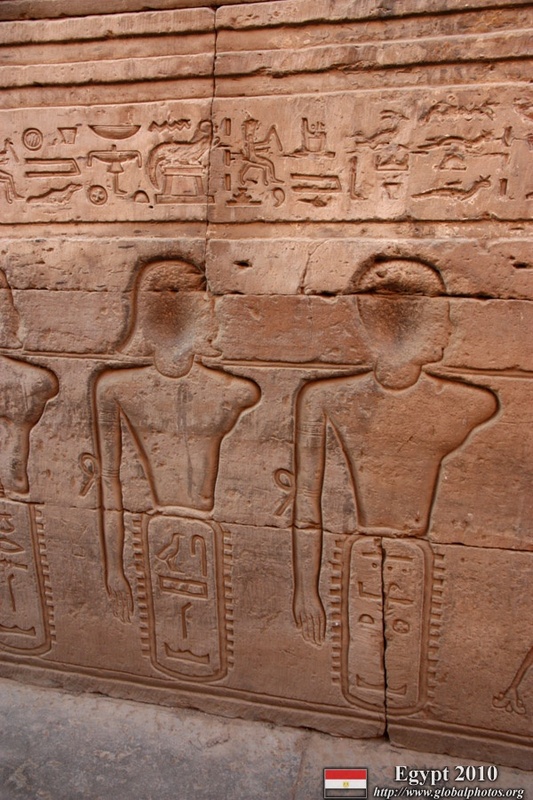 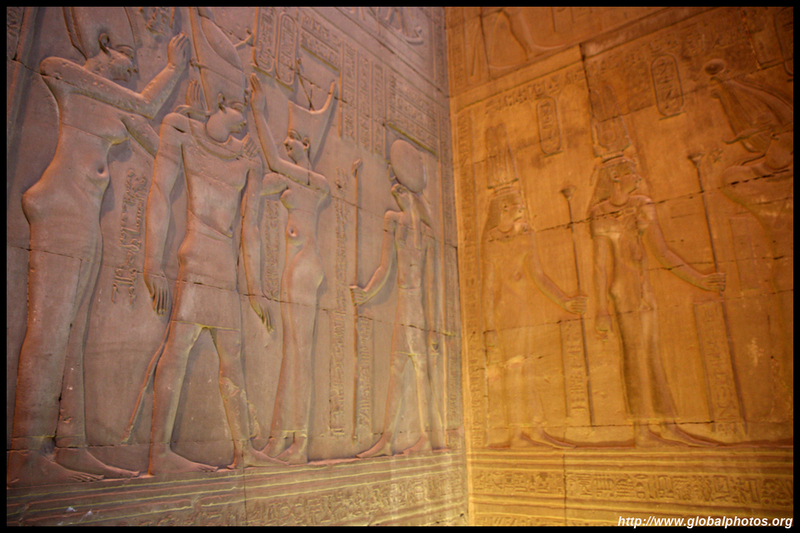 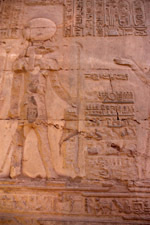 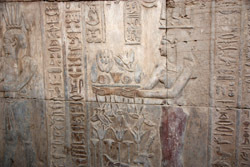 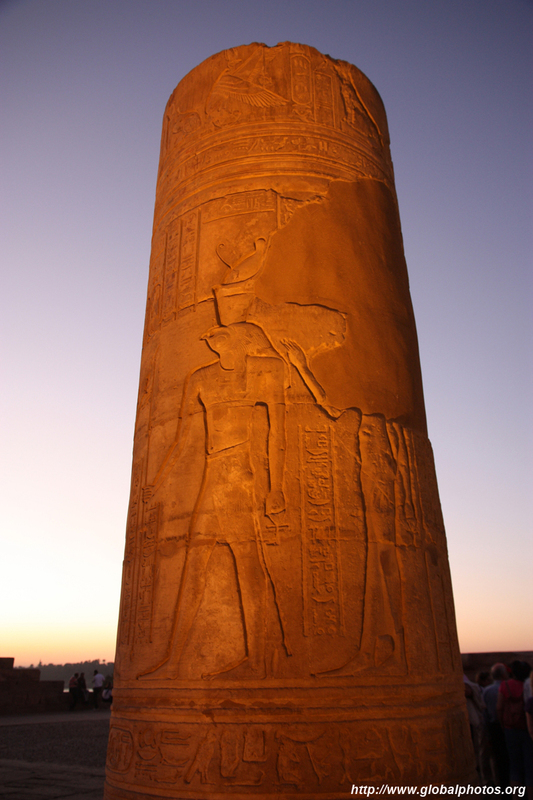 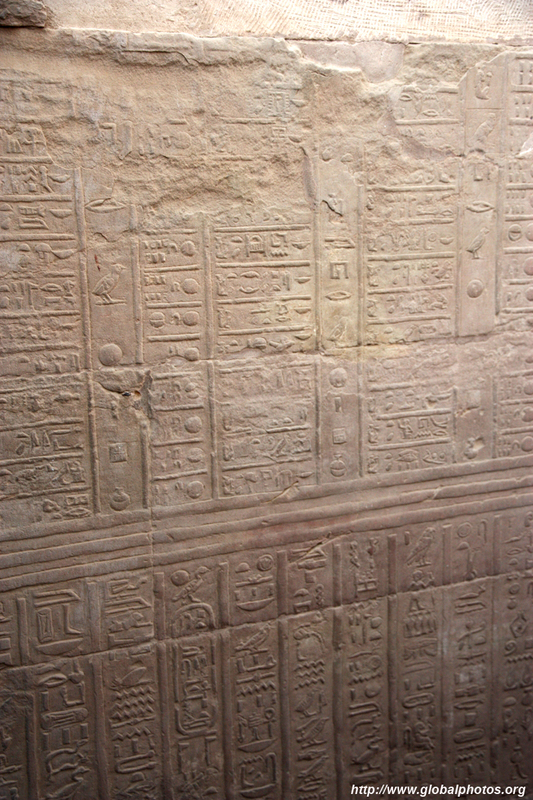 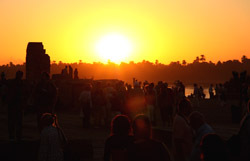 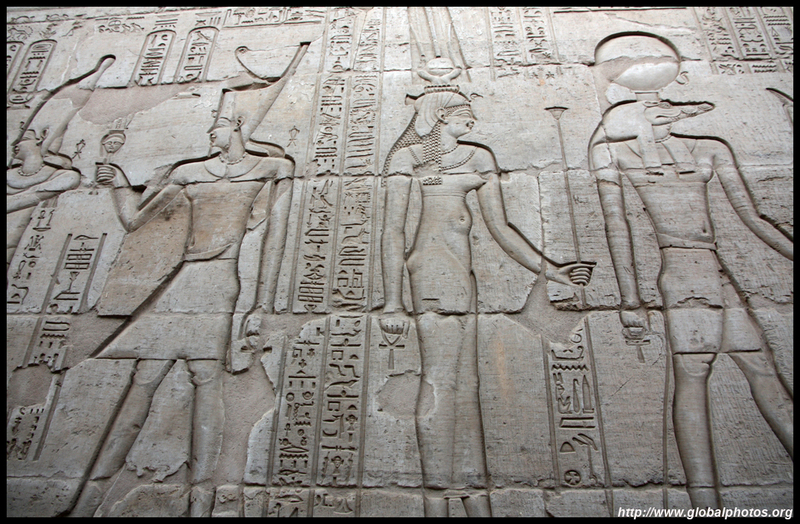 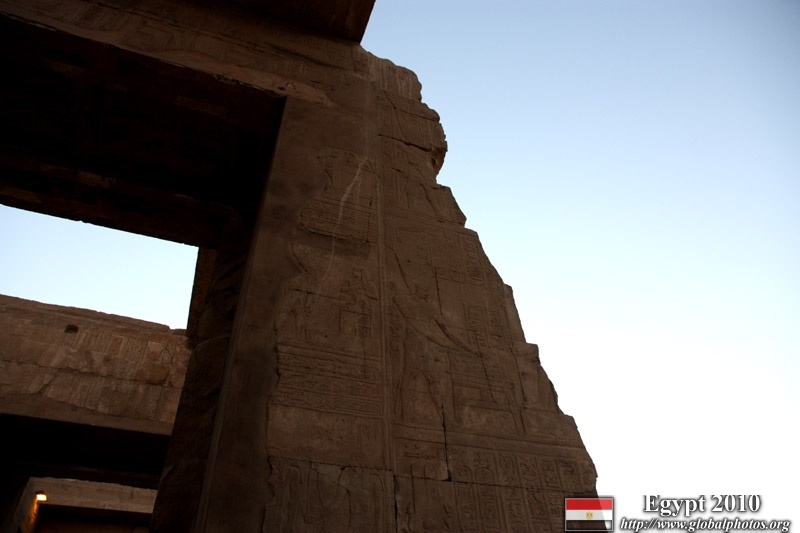 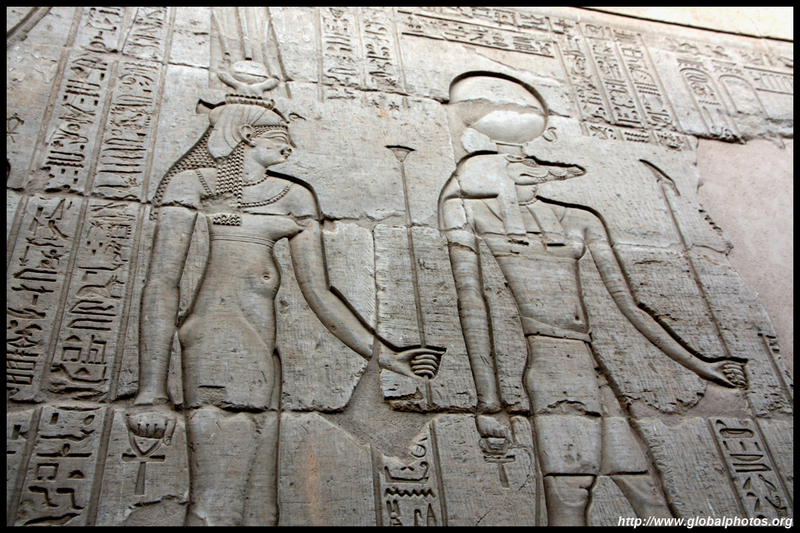 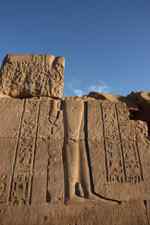 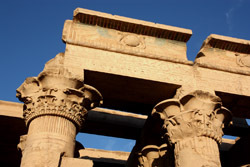 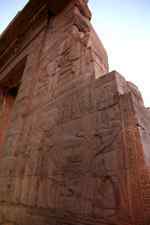 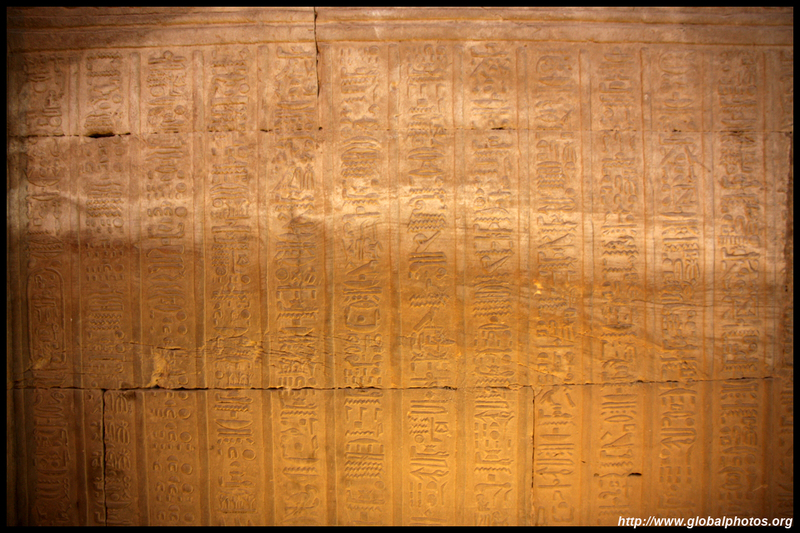 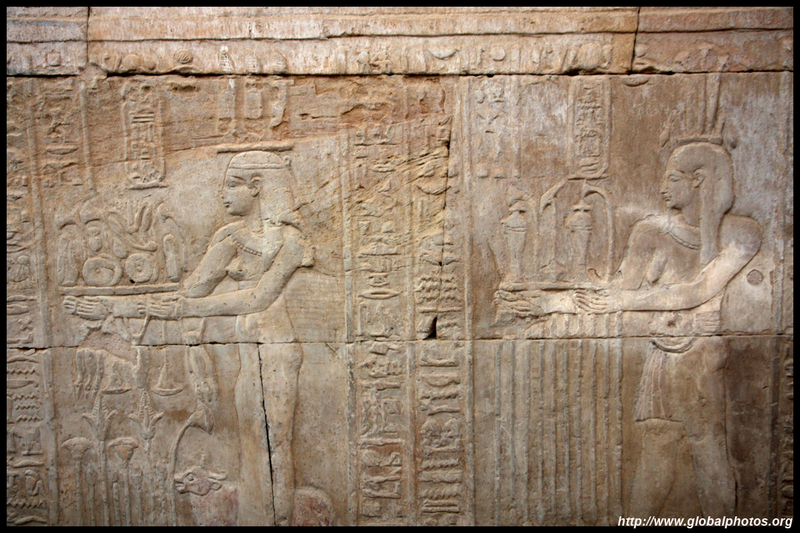 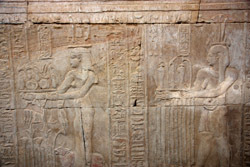 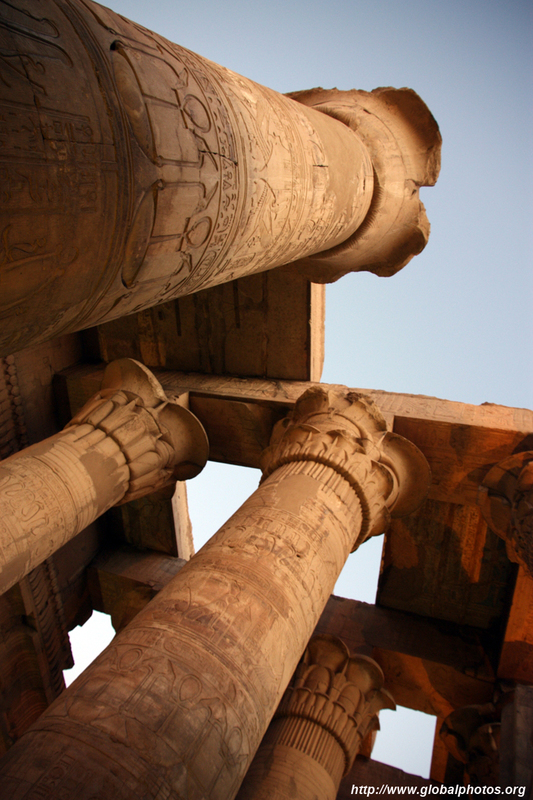 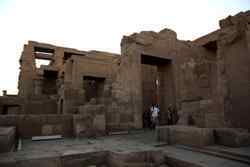 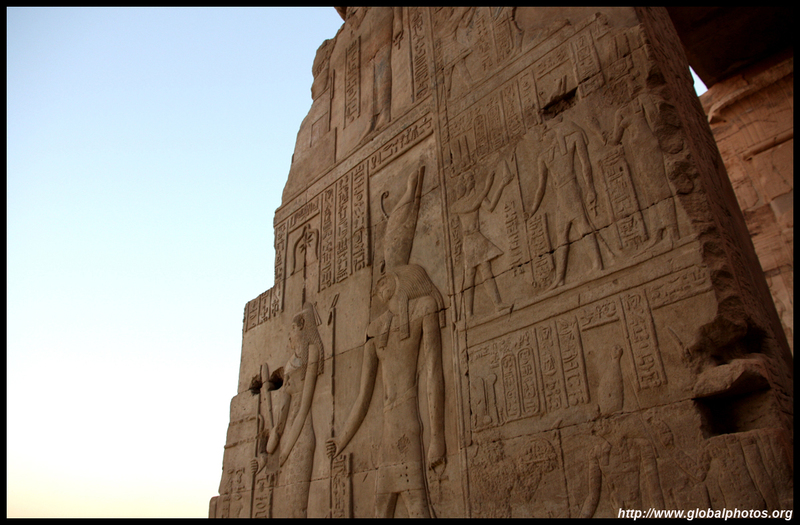 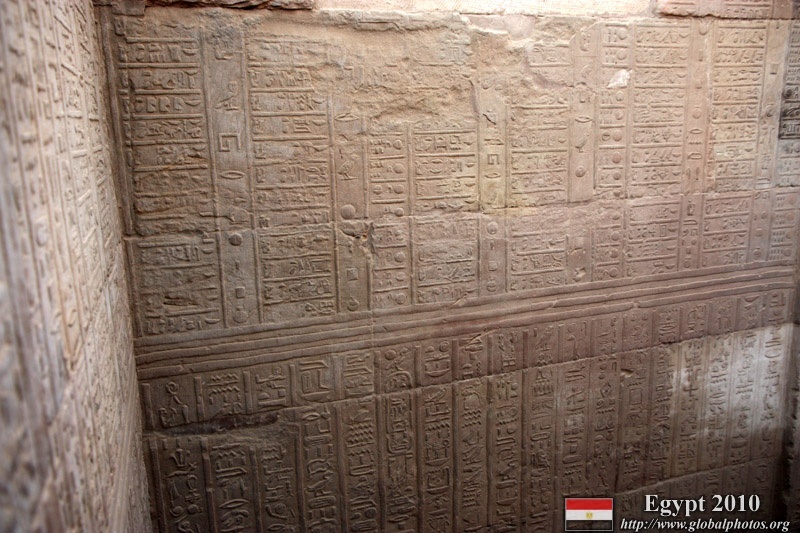 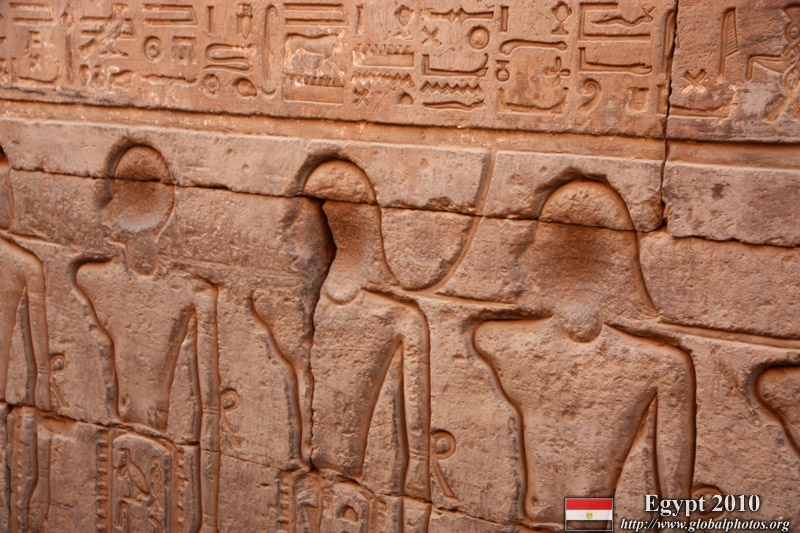 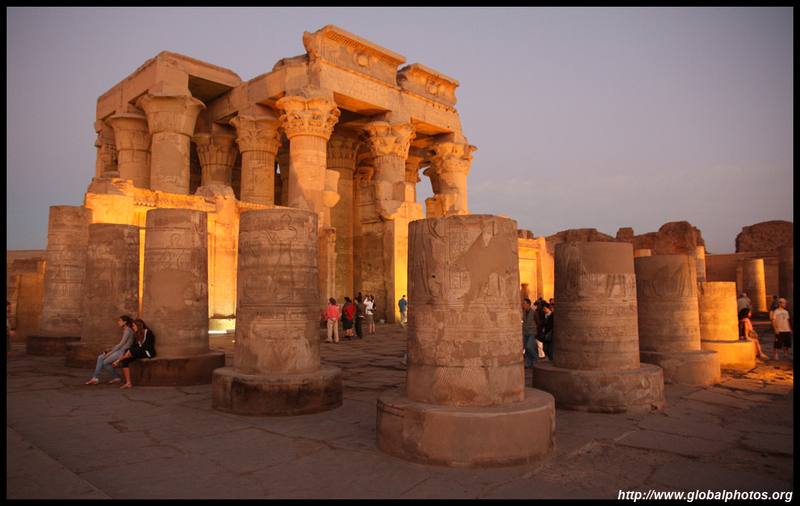 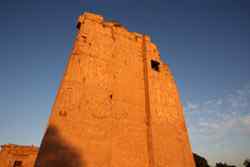 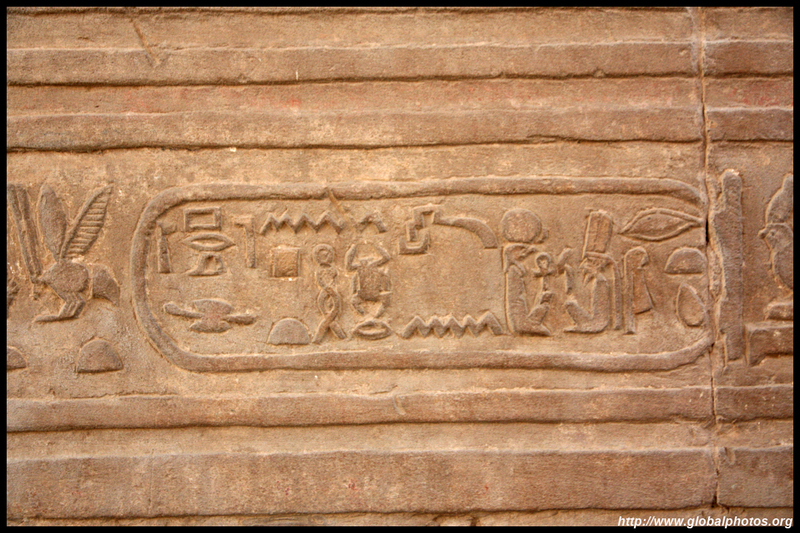 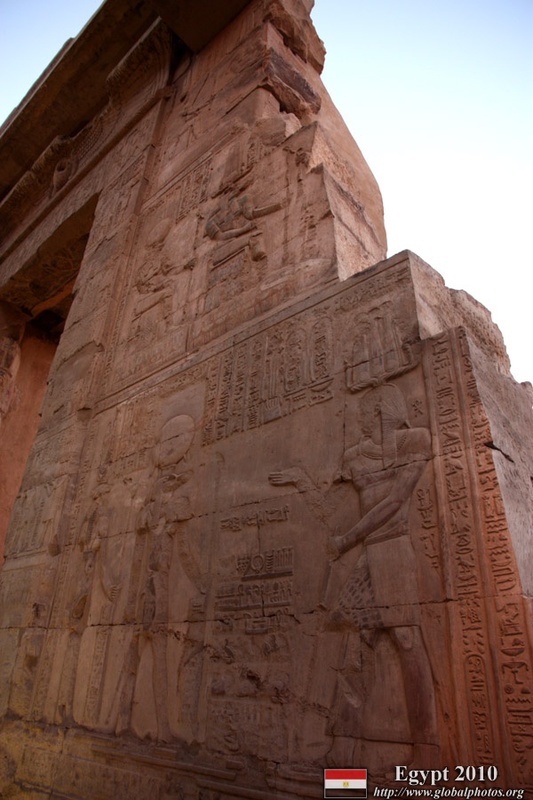 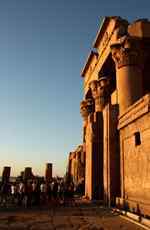 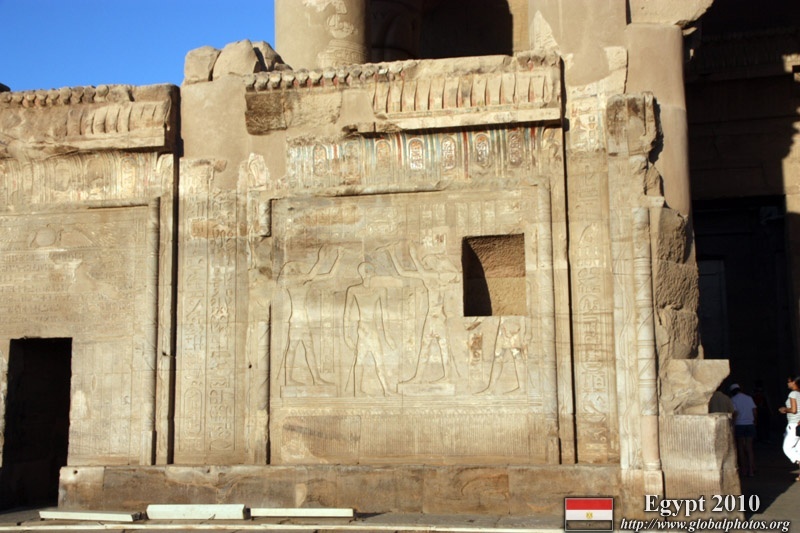 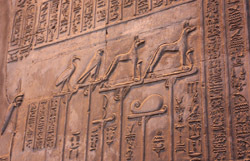 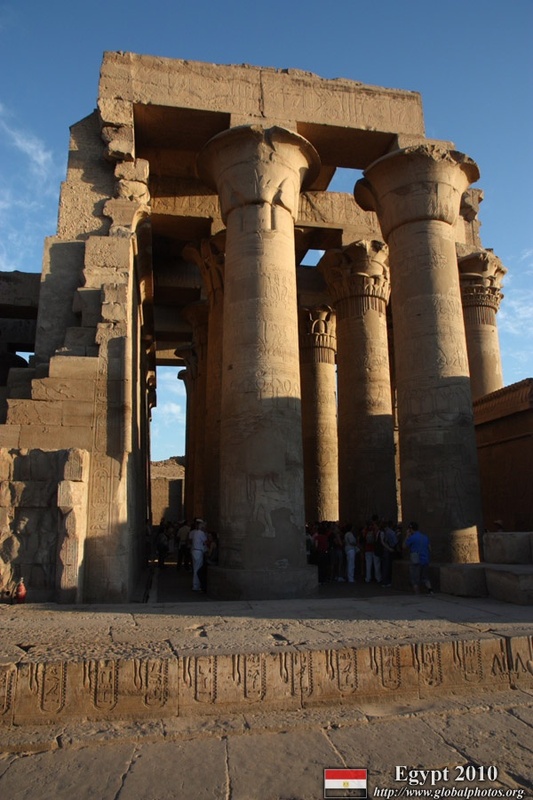 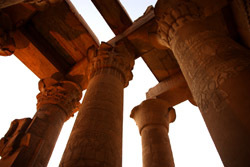 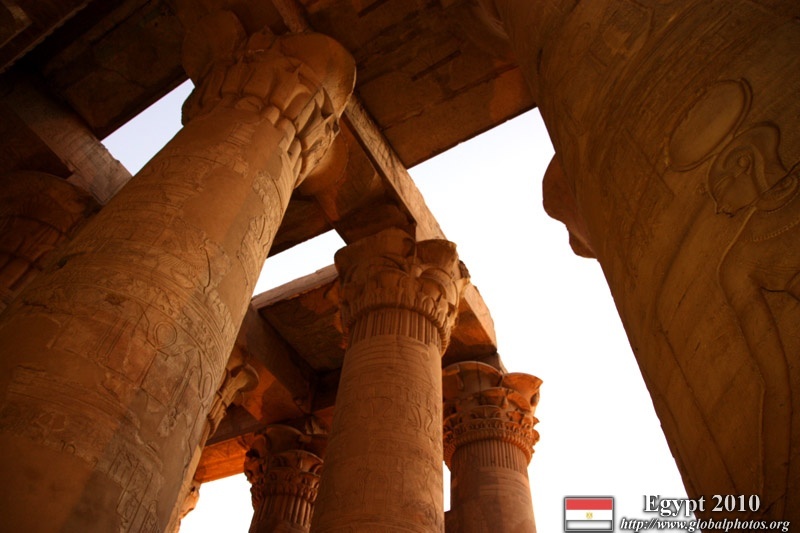 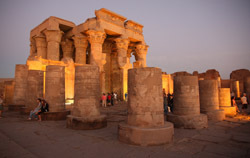 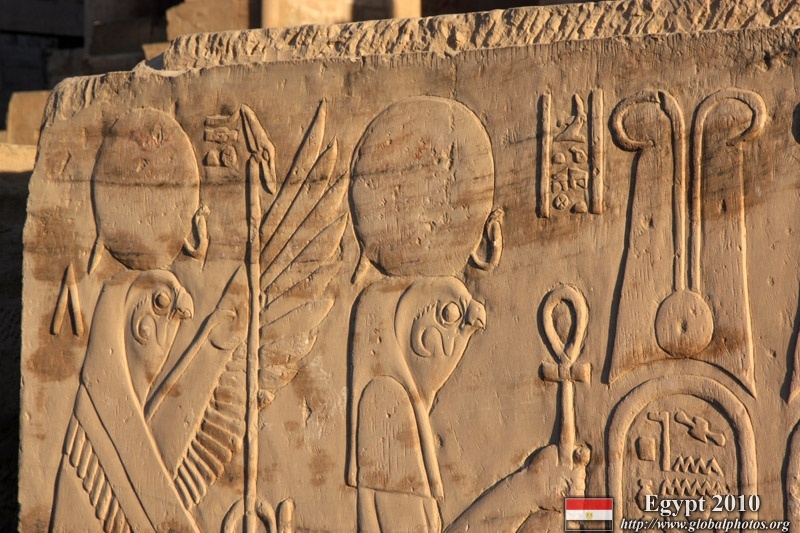 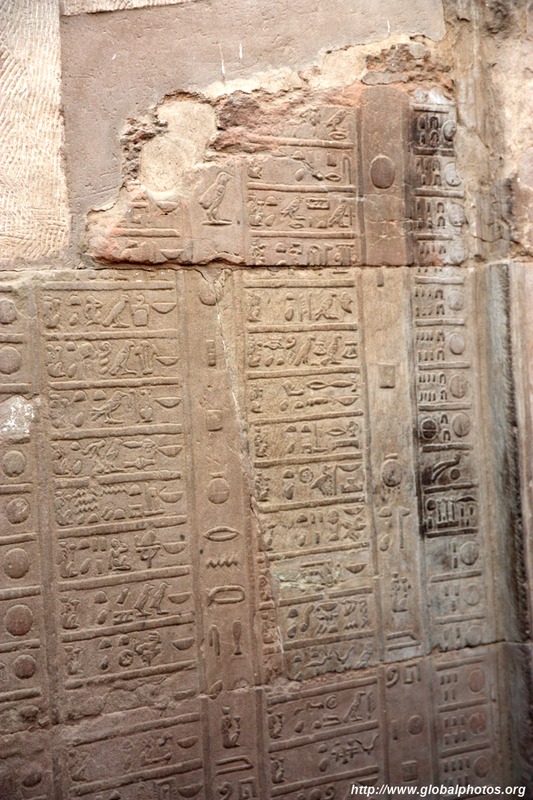 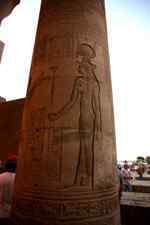 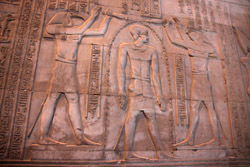 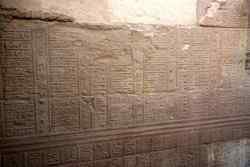 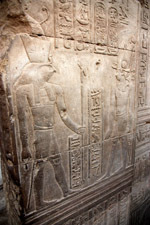 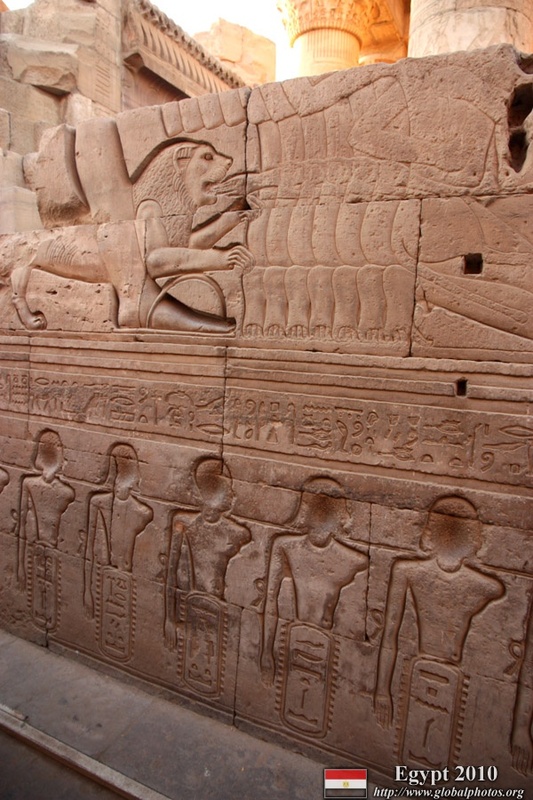 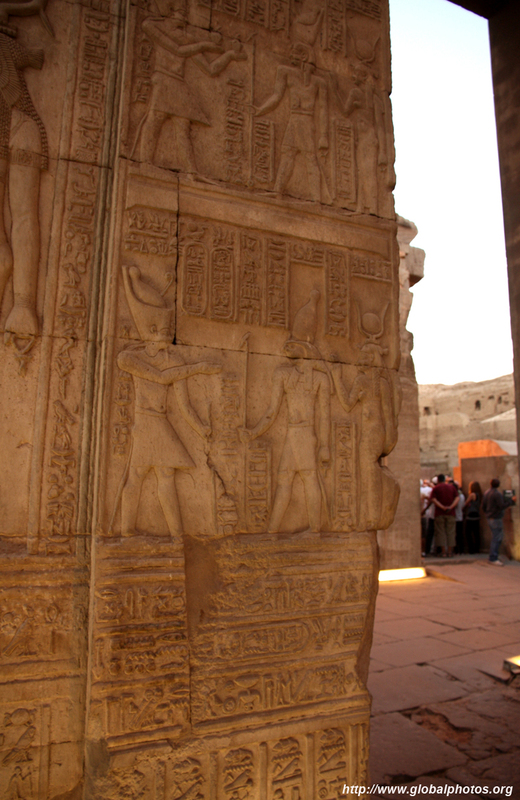 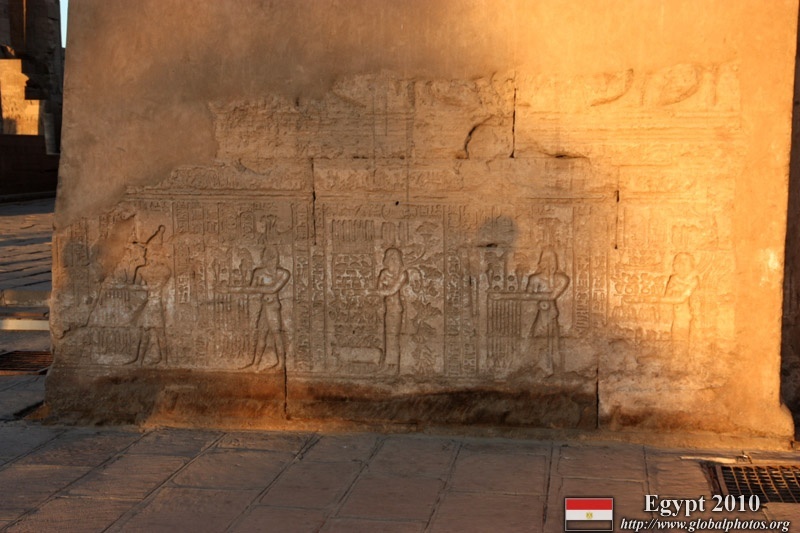 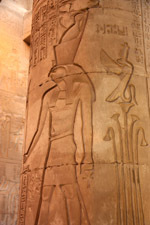 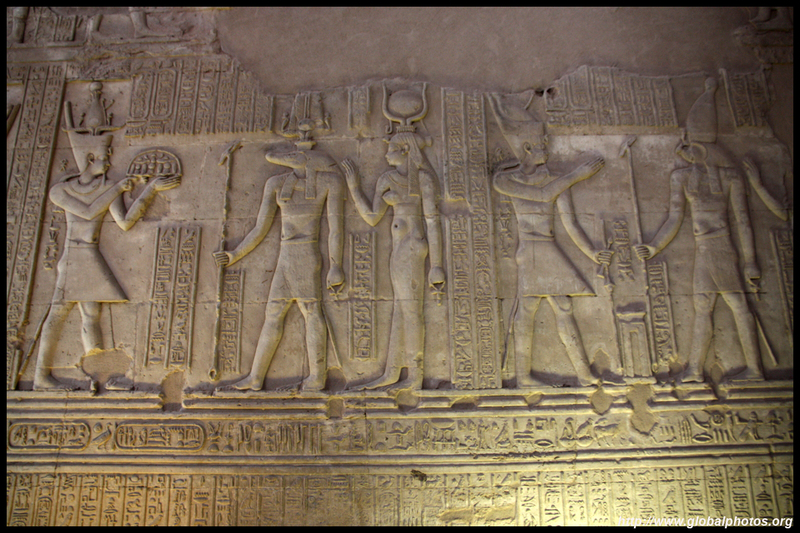 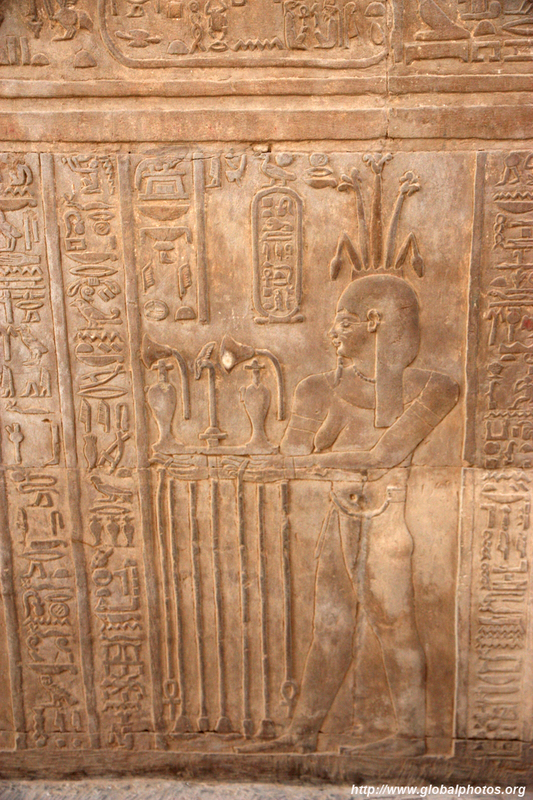 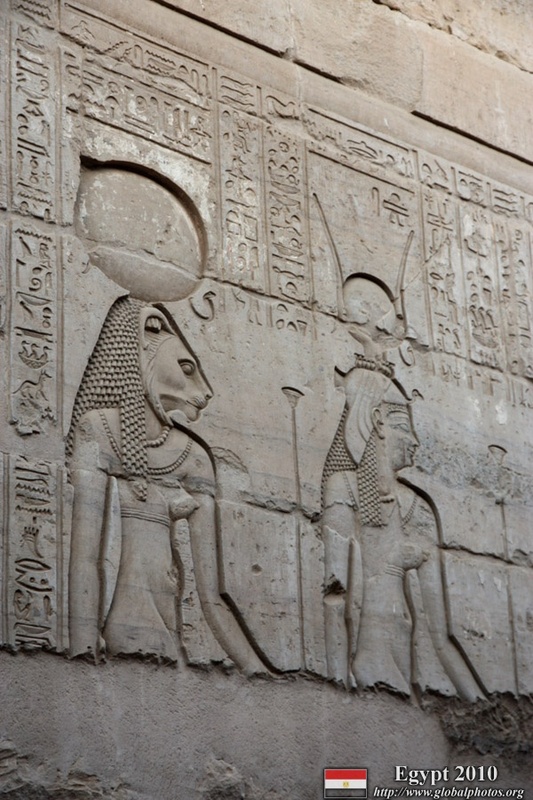 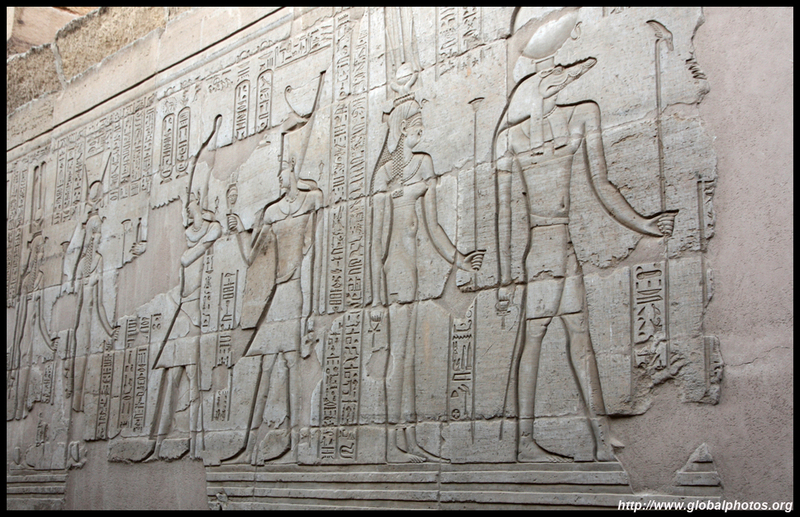 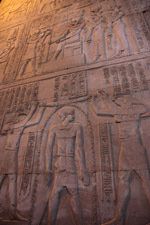 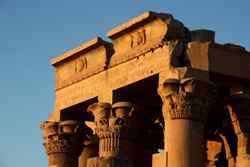 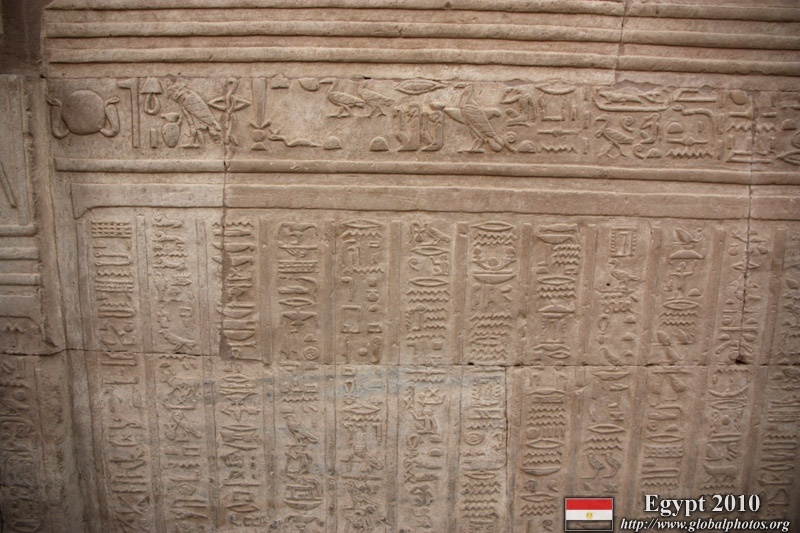 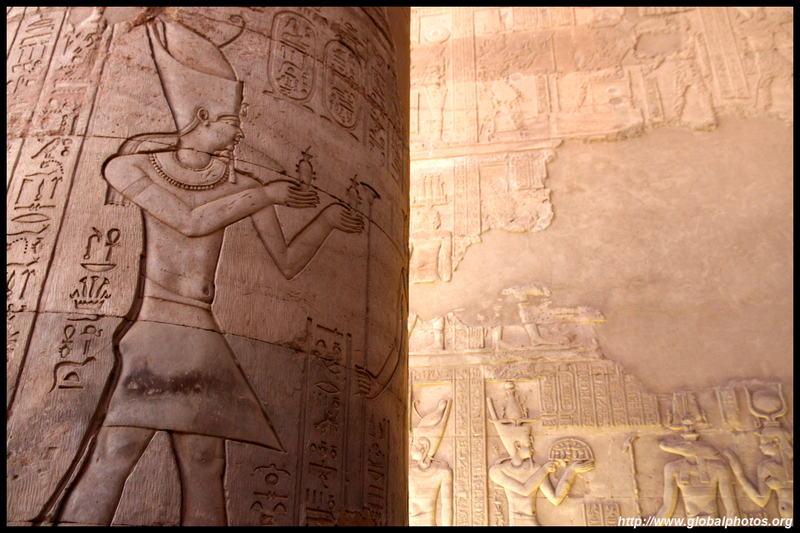 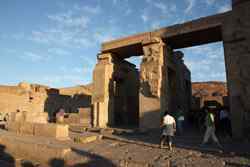 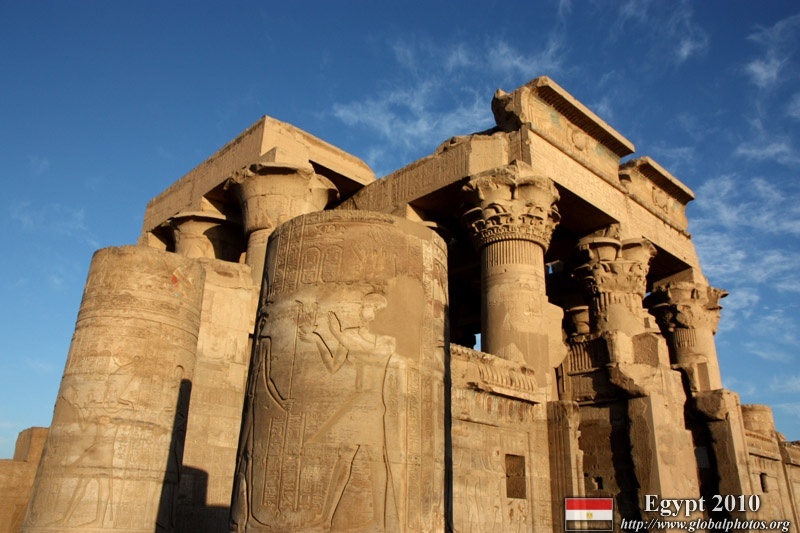 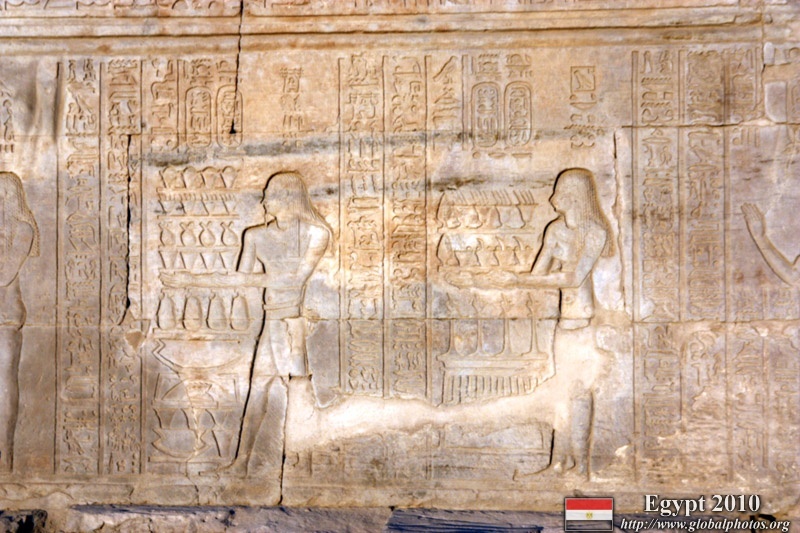 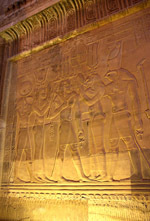 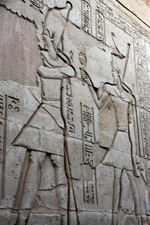 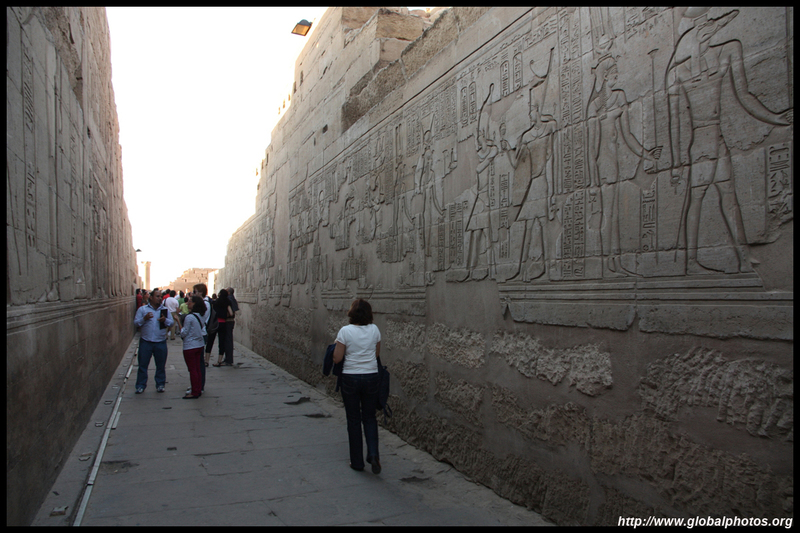 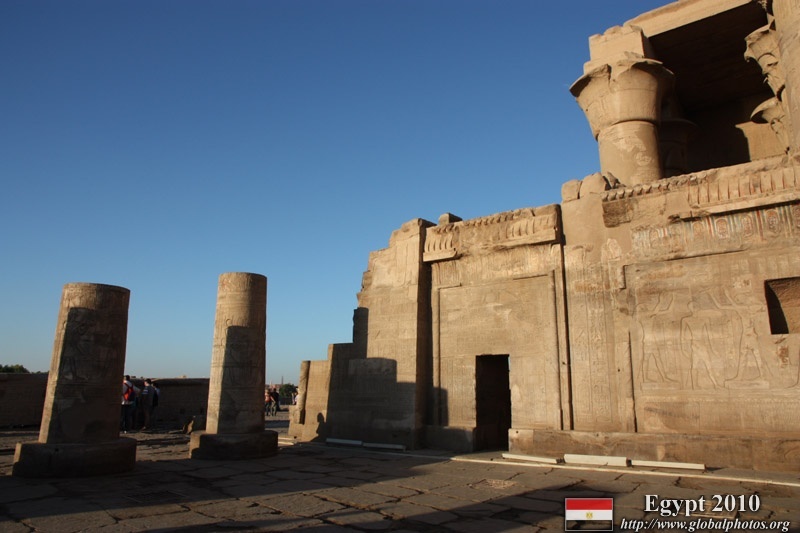 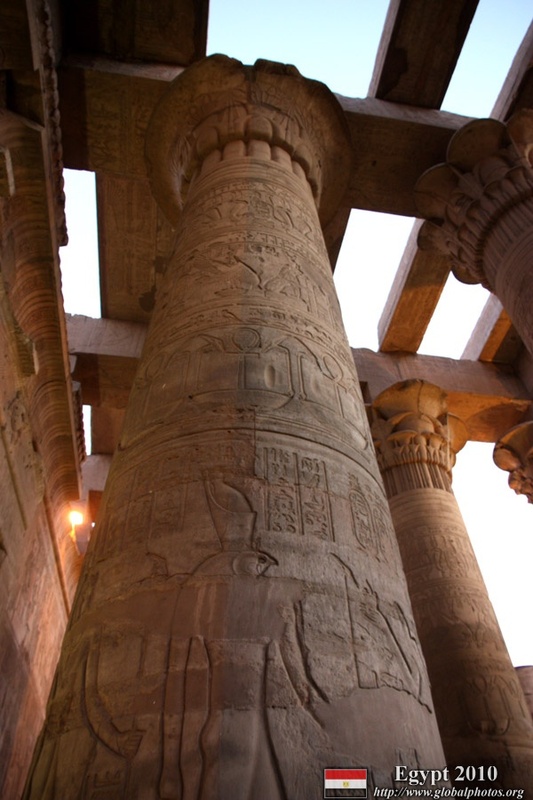 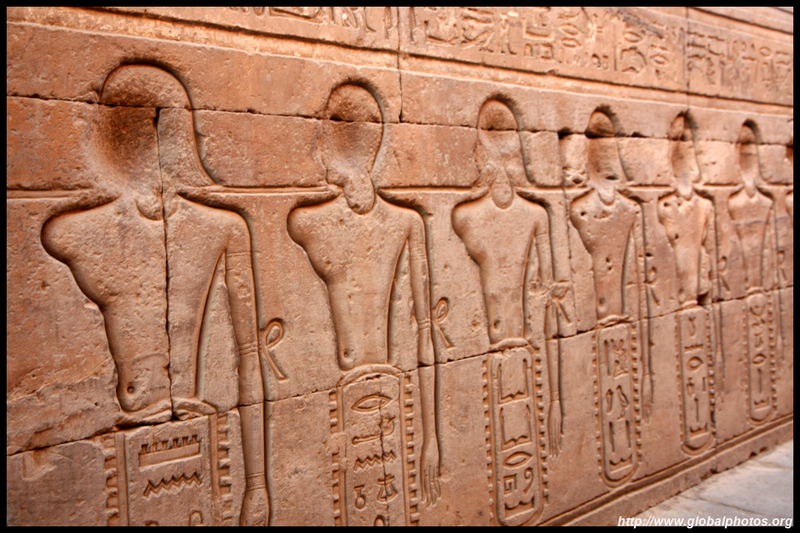 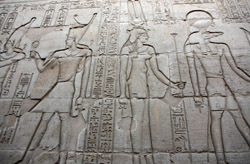 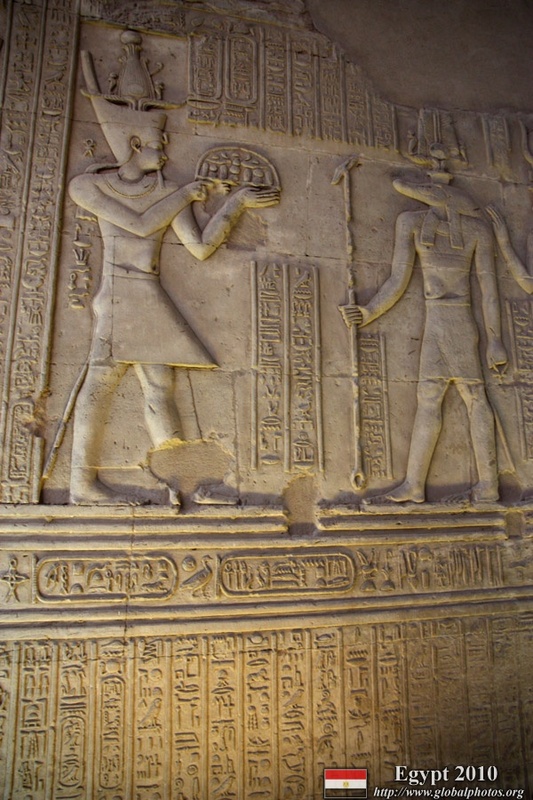 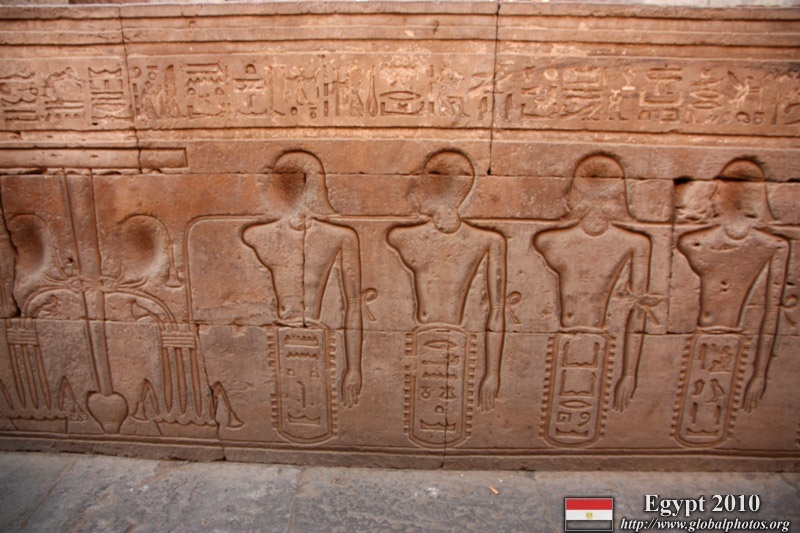 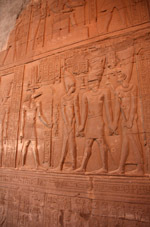 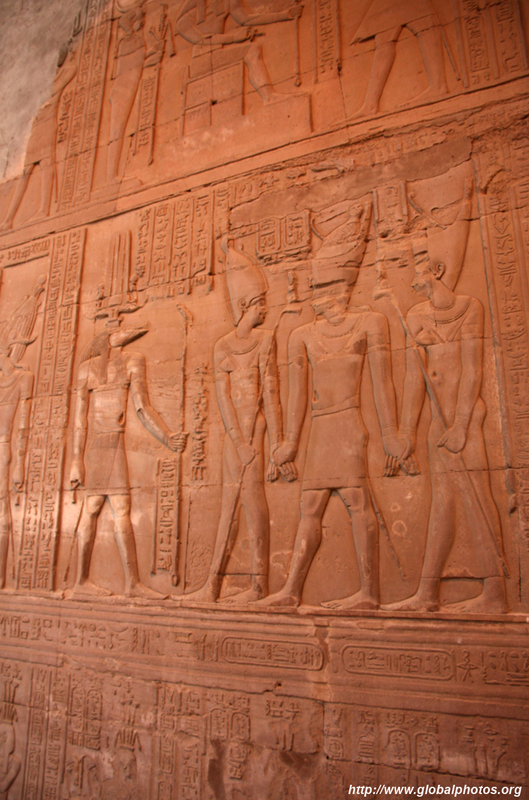 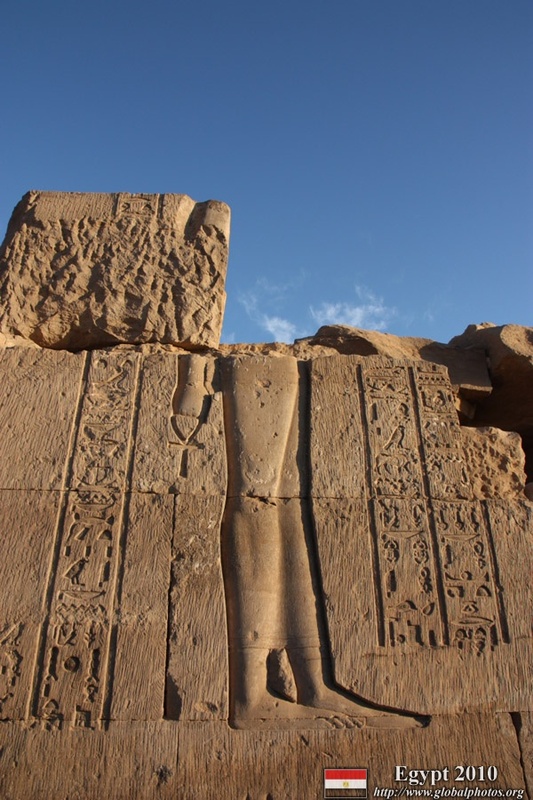 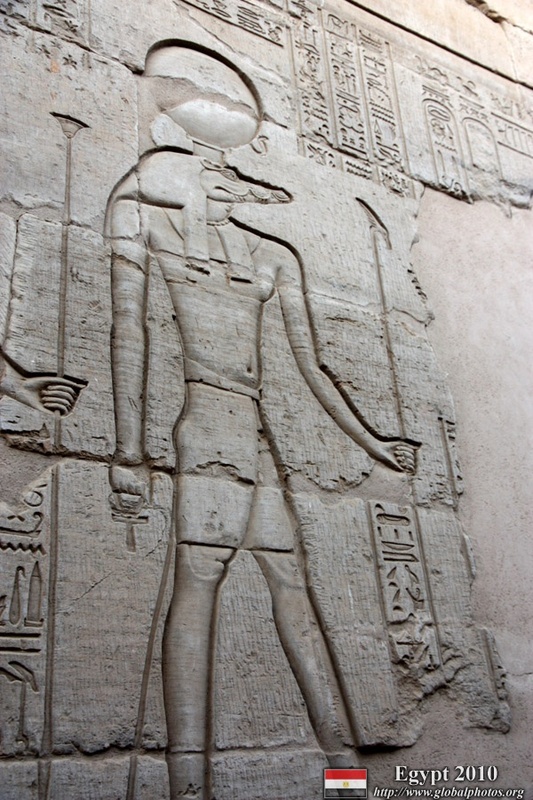 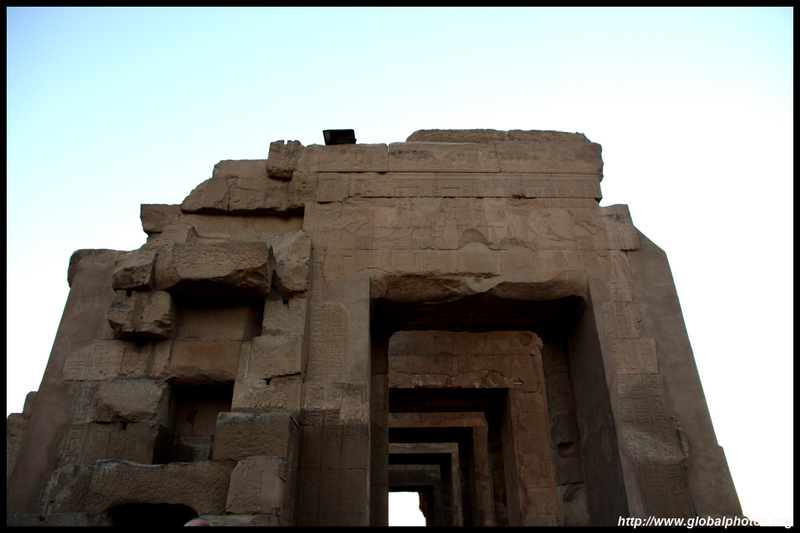 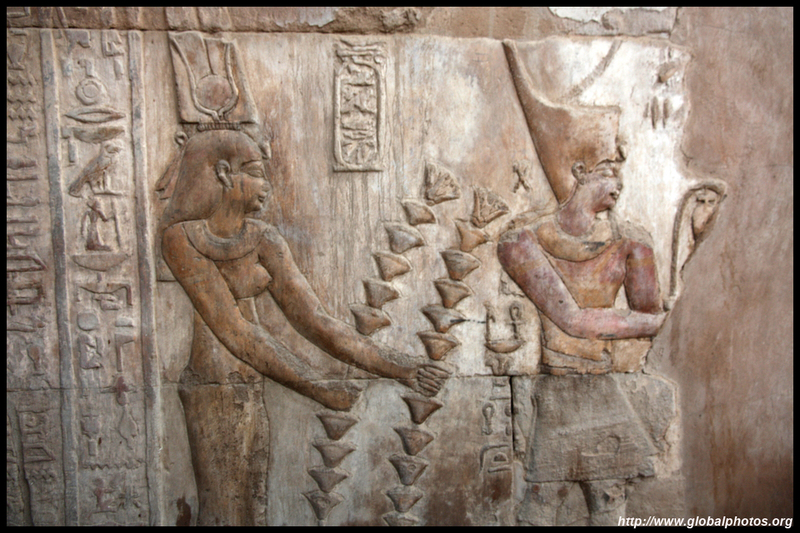 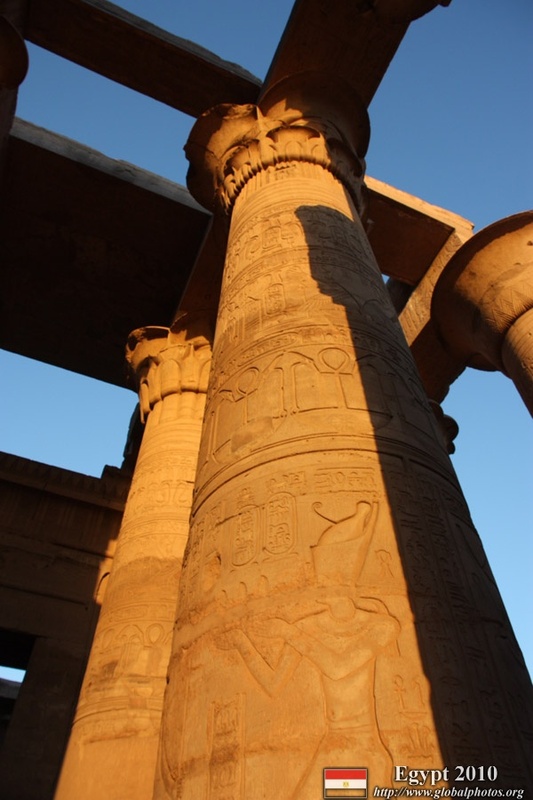 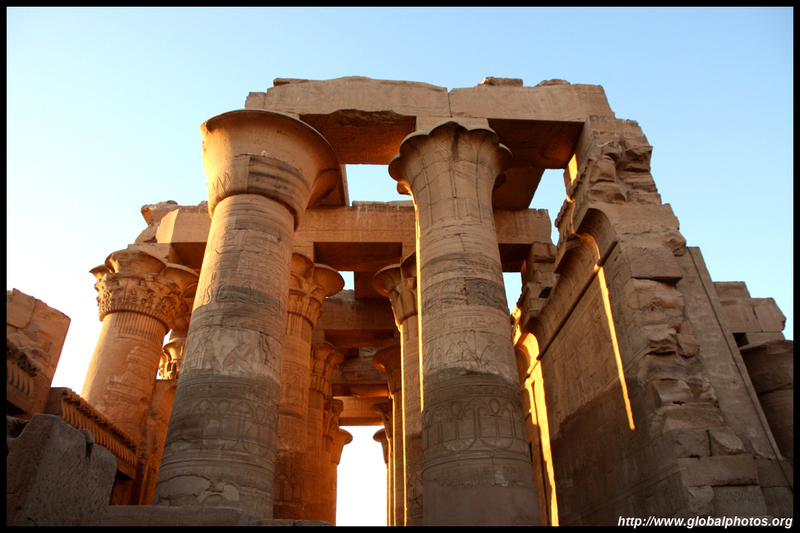 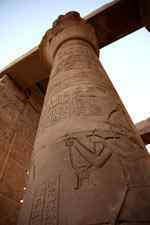 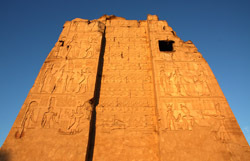 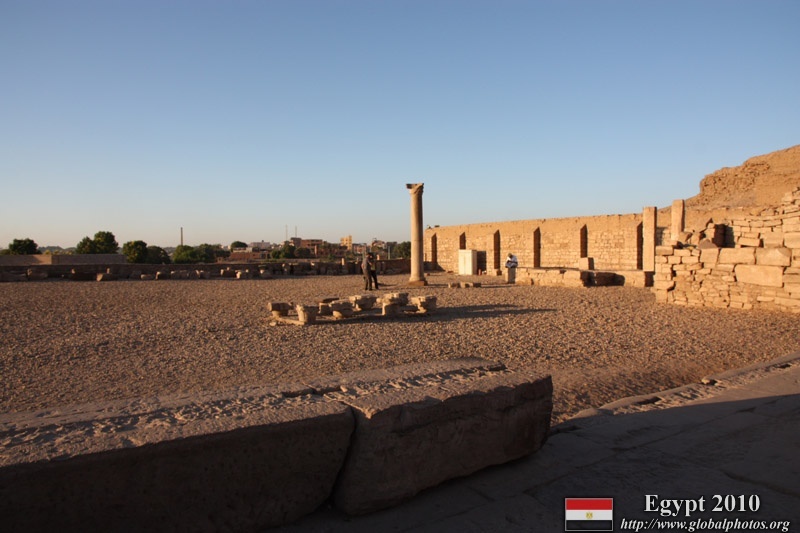 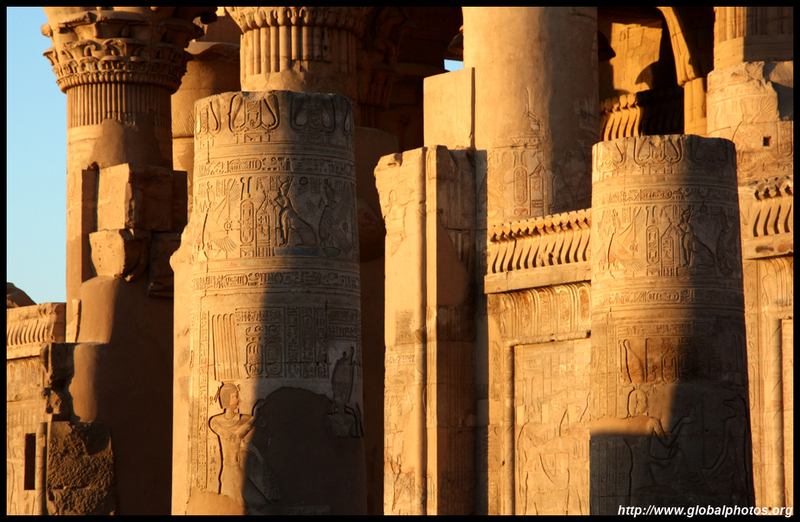 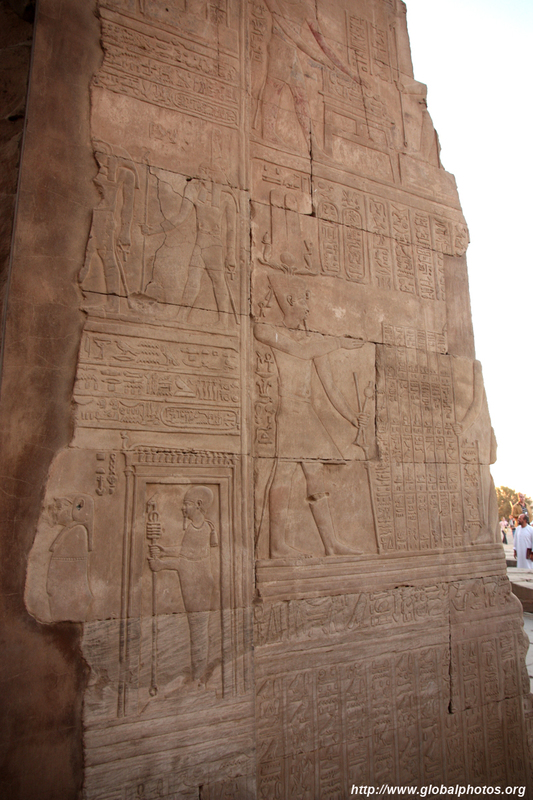 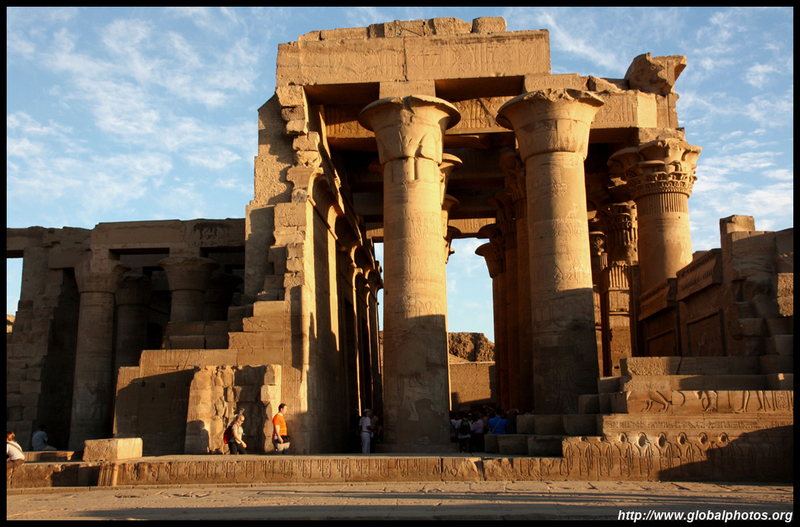 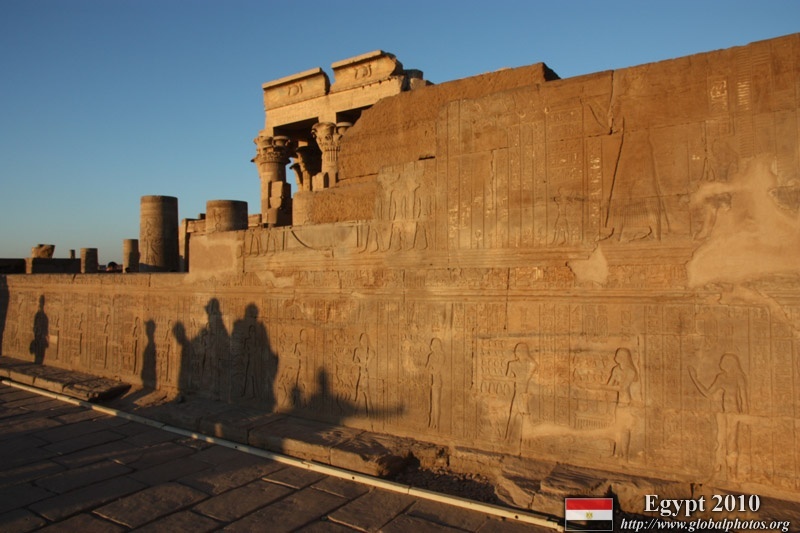 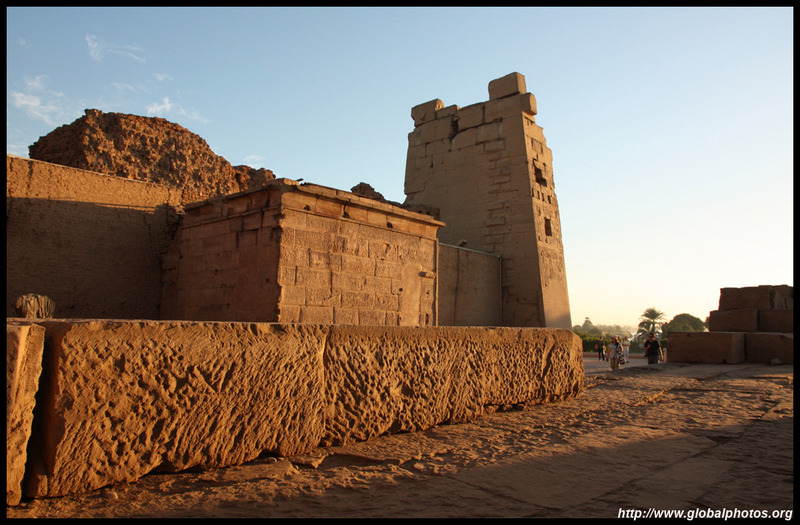 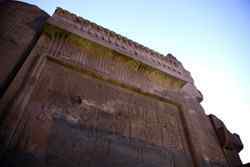 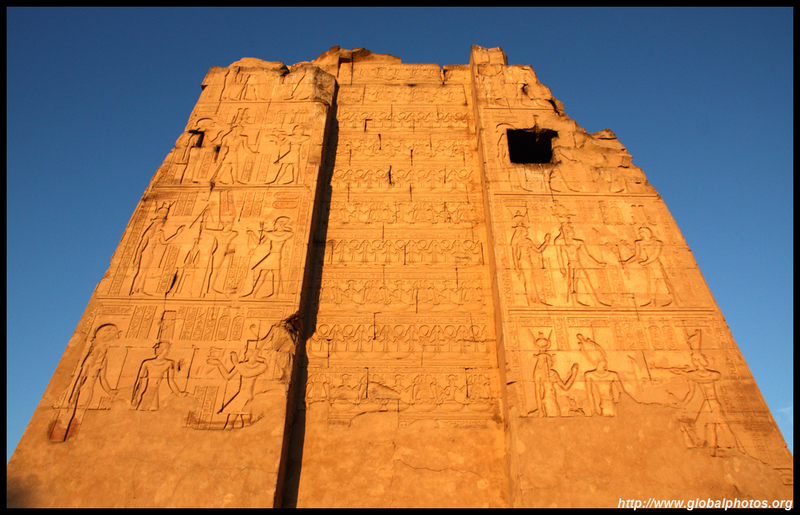 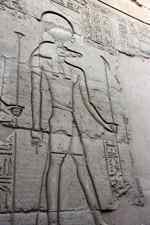 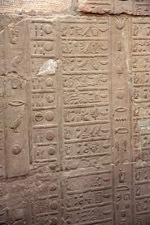 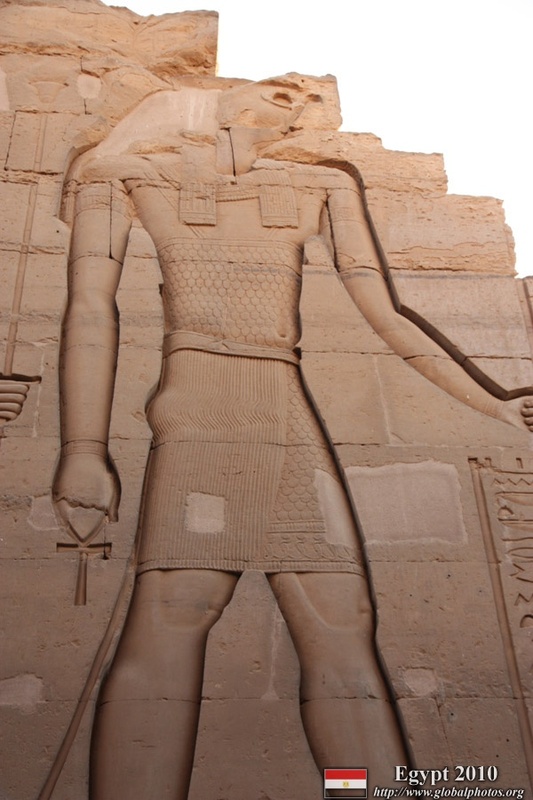 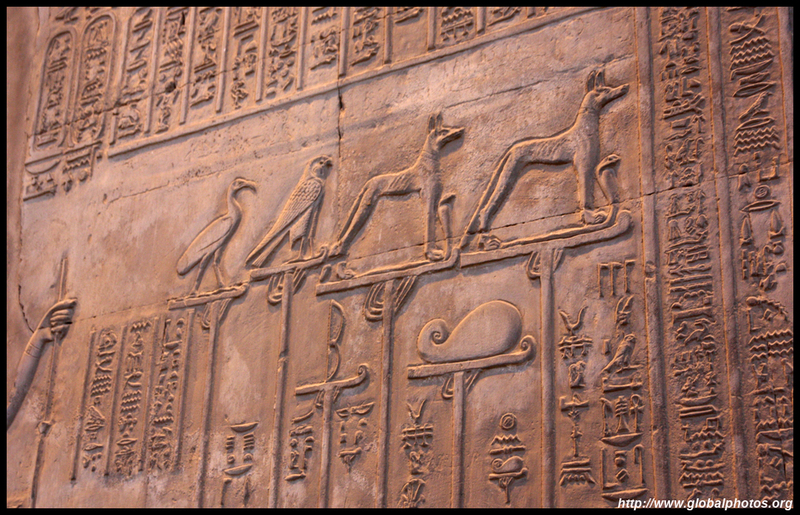 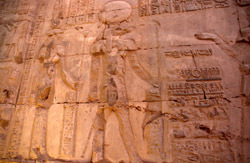 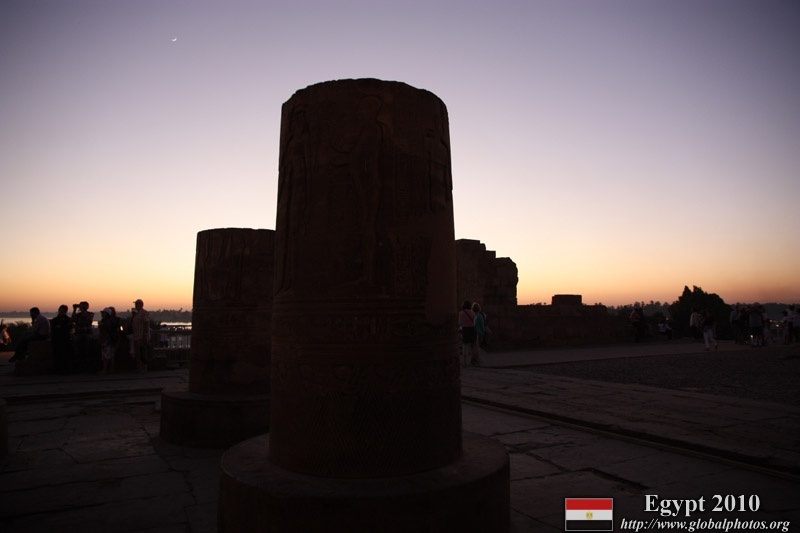 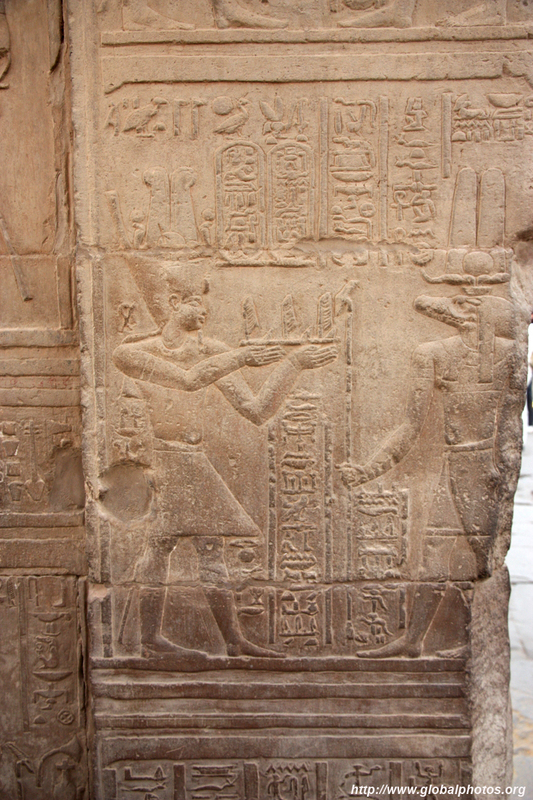 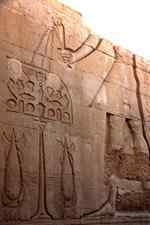 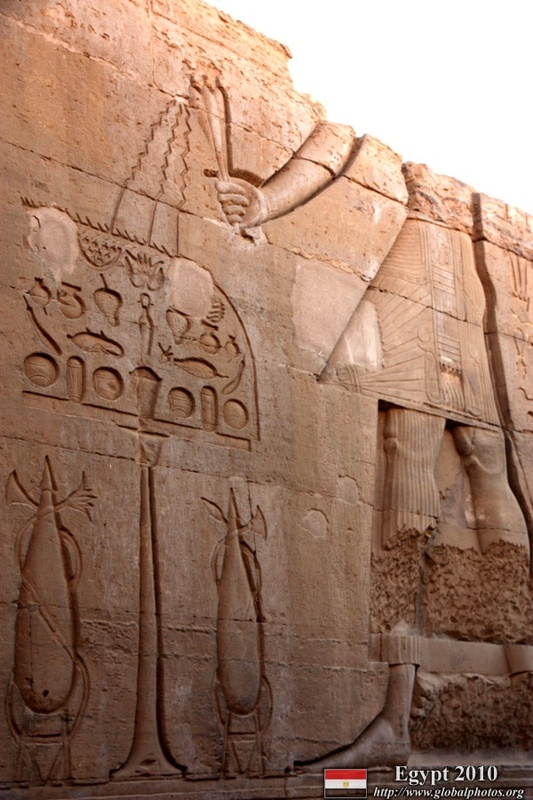 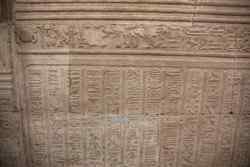 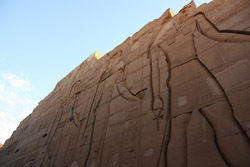 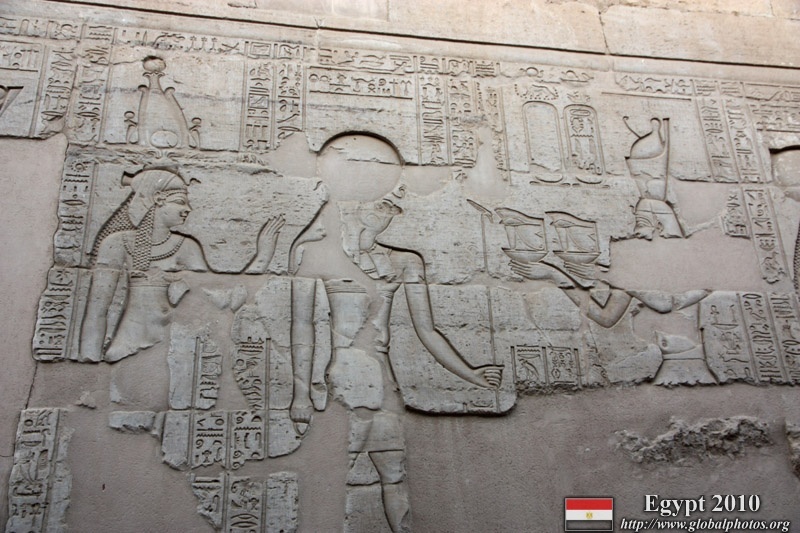 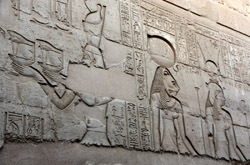 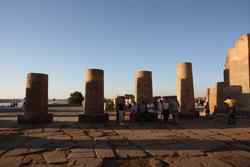 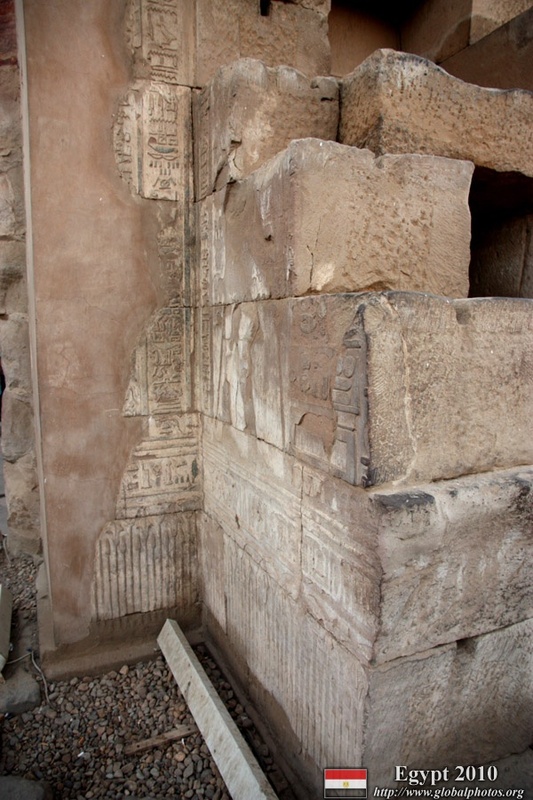 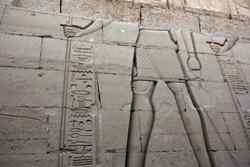 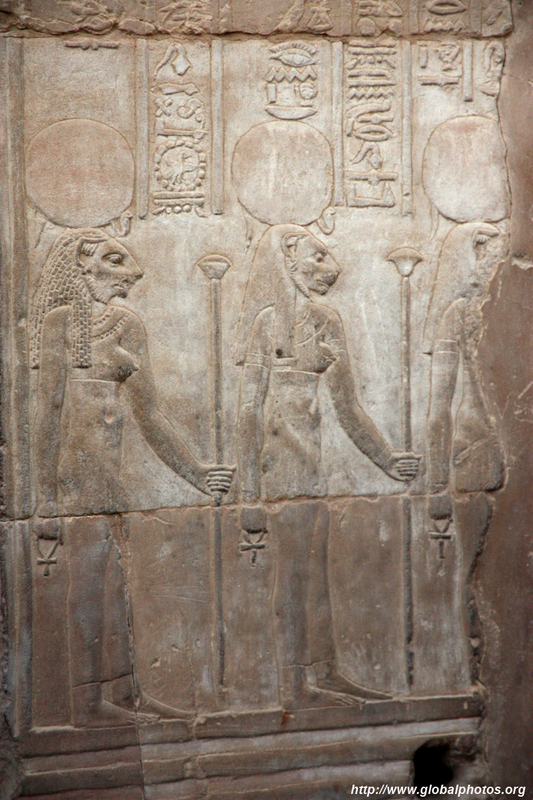 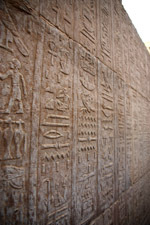 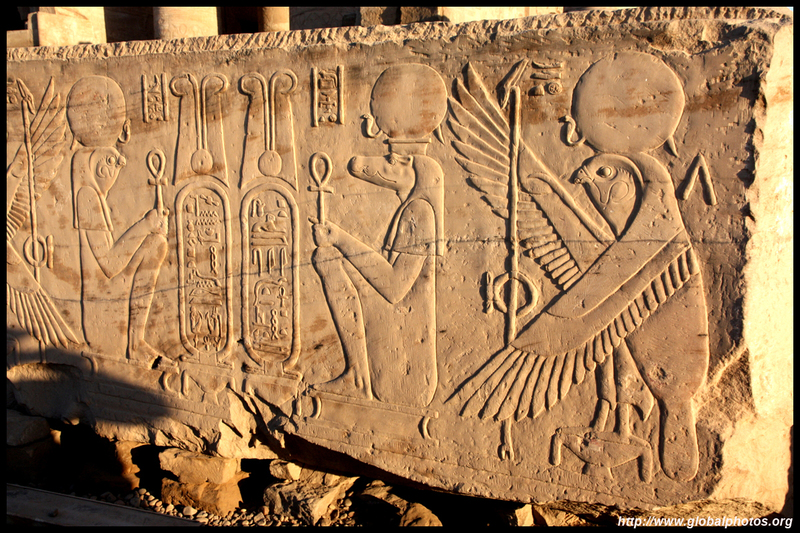 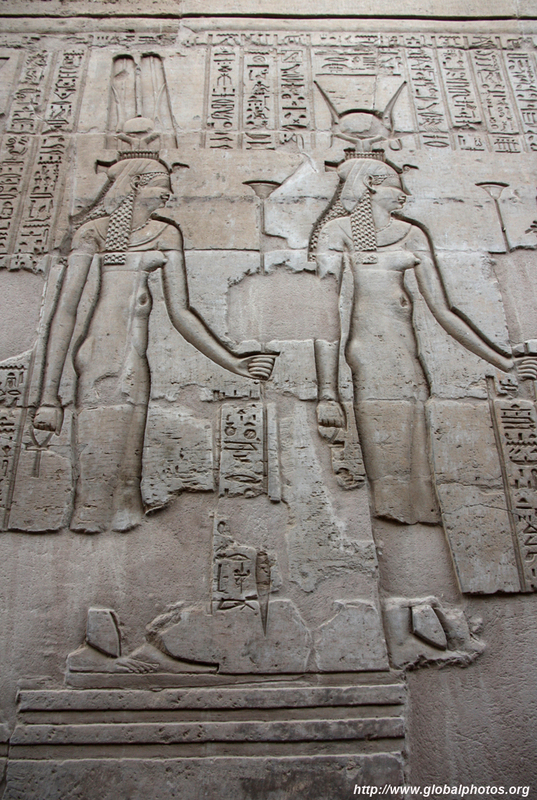 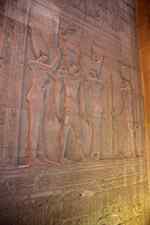 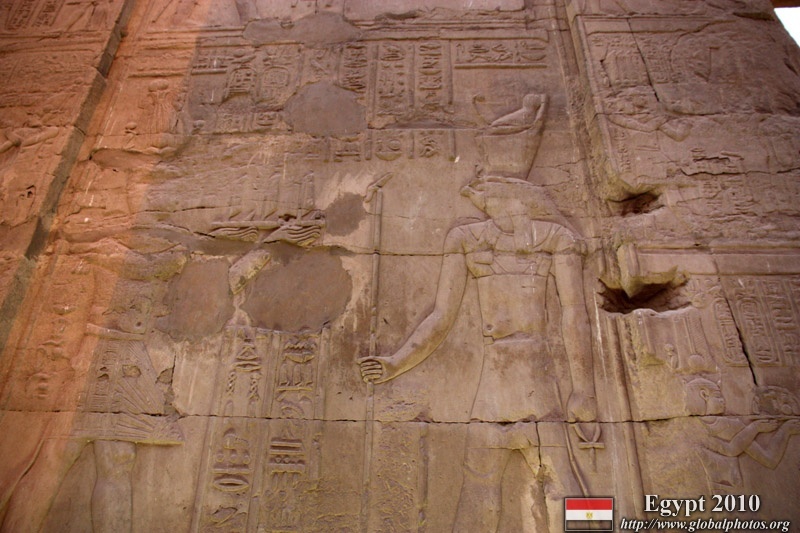 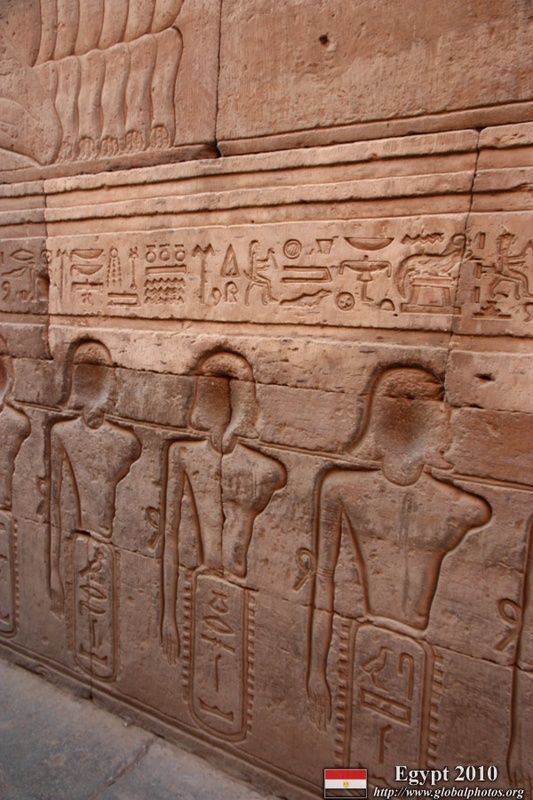 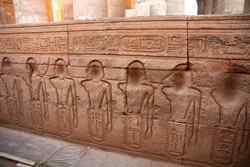 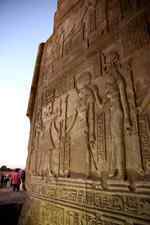 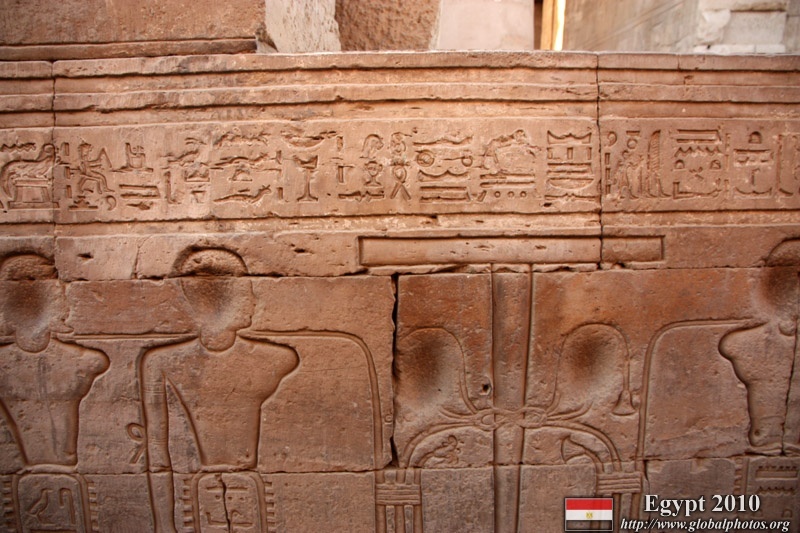 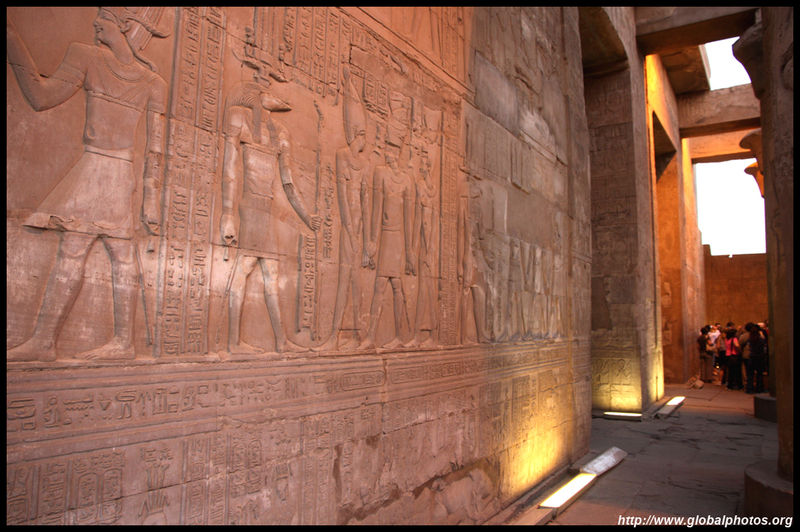 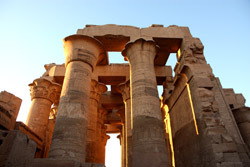 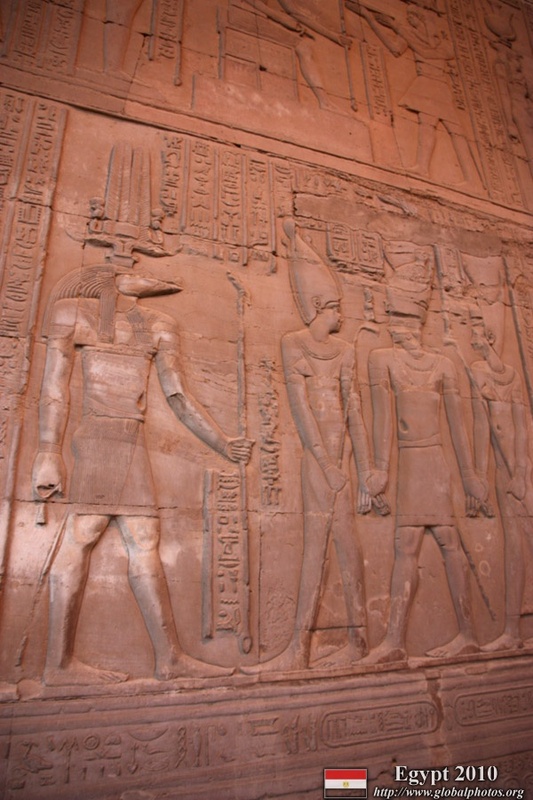 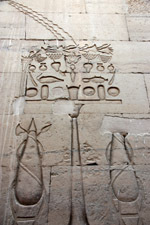 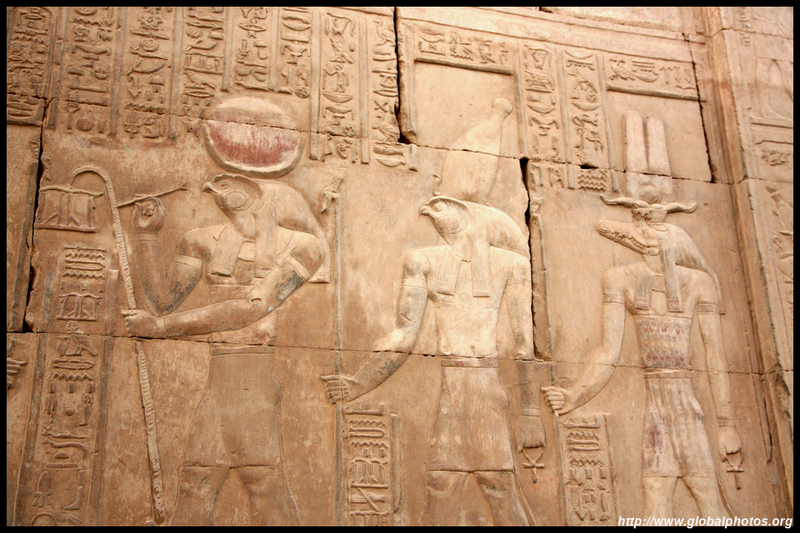 The Temple of Kom Ombo is dedicated to two gods - Sobek and Horus. 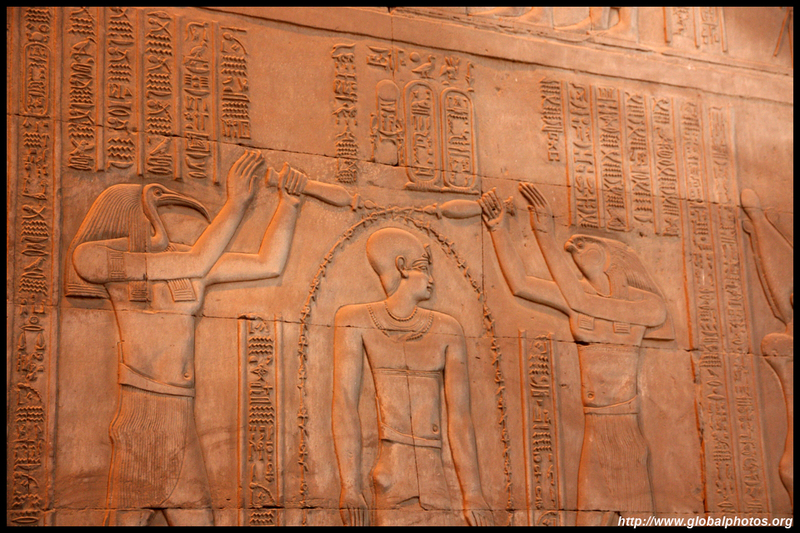 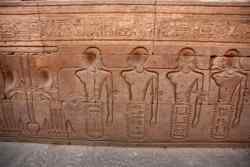 There was a lot of interest around these carvings, which depict medical tools that eeringly resemble those at the operating table today. 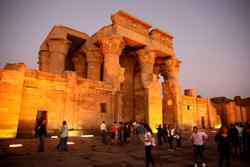 This temple is over 2000 years old though. 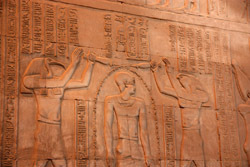 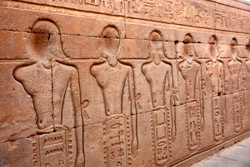 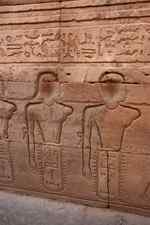 Unfortunately, the faces on these slaves appear to have been vandalized and wiped off the record. 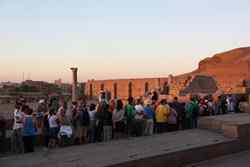 There was also another crowd gathered at this spot, looking at the calendar engraved on the wall. 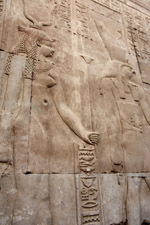 The belly buttons are very visibly carved. 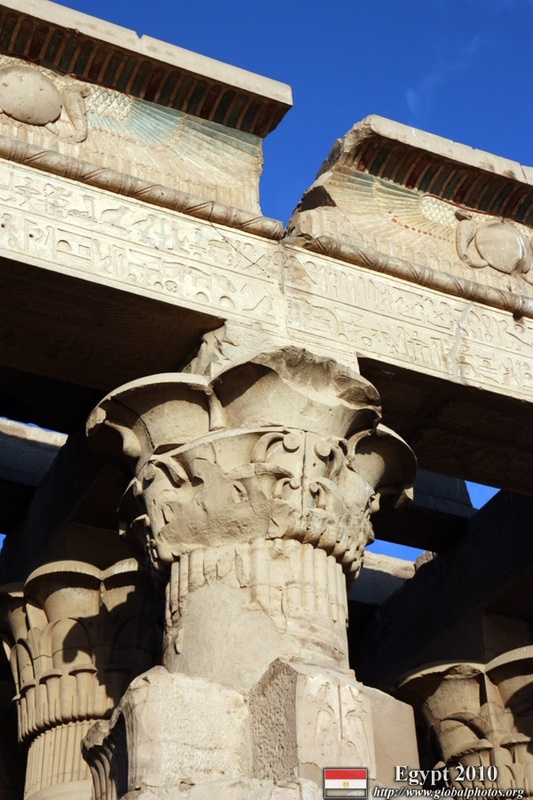 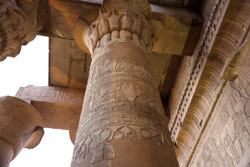 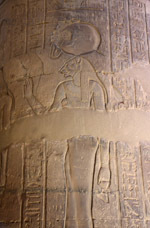 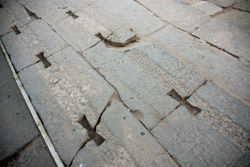 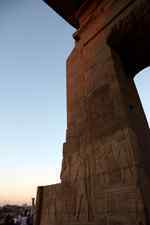 The columns are intricately-carved from bottom to top. 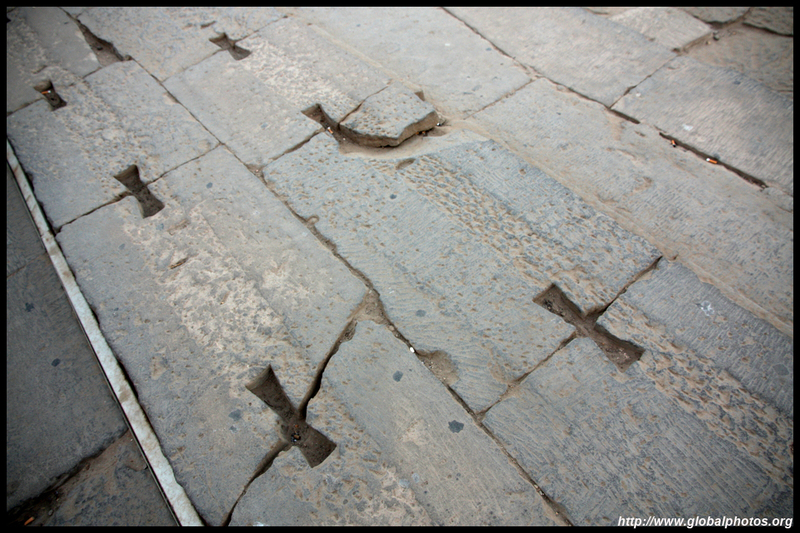 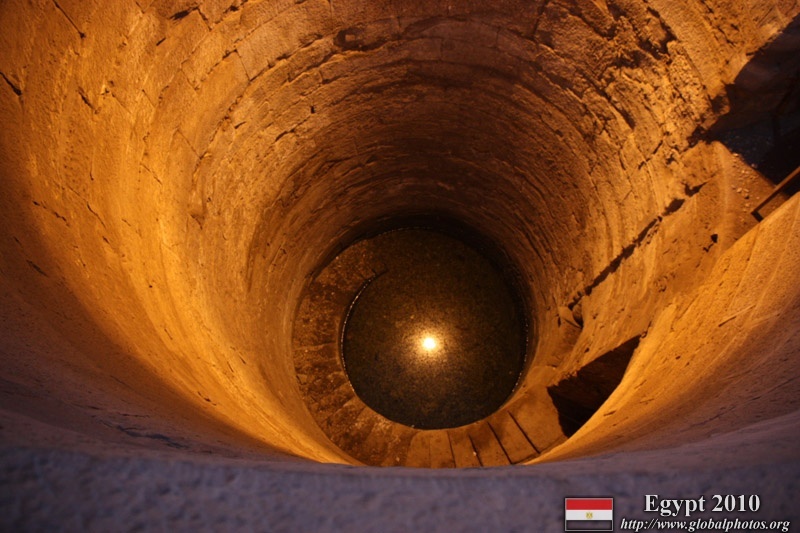 The Nilometer is used to measure flood levels, which determine the year's taxes. 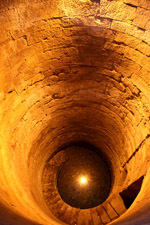 It's hard ot imagine this long shaft filling up.